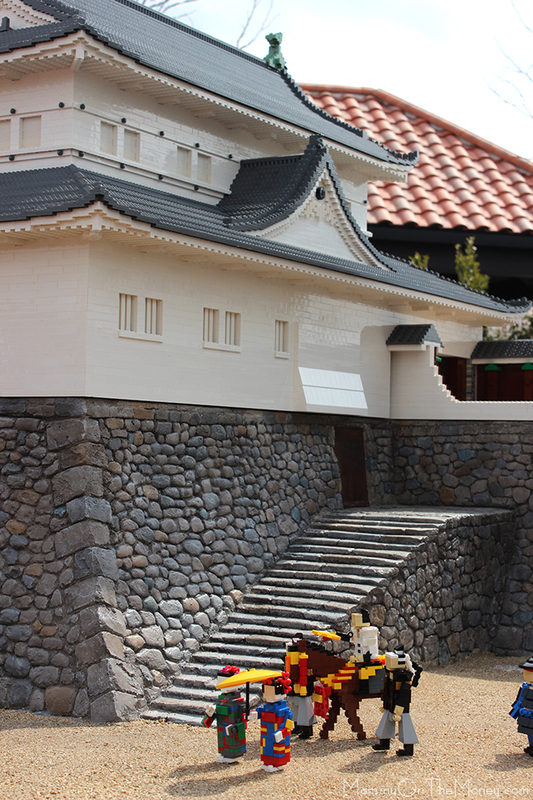 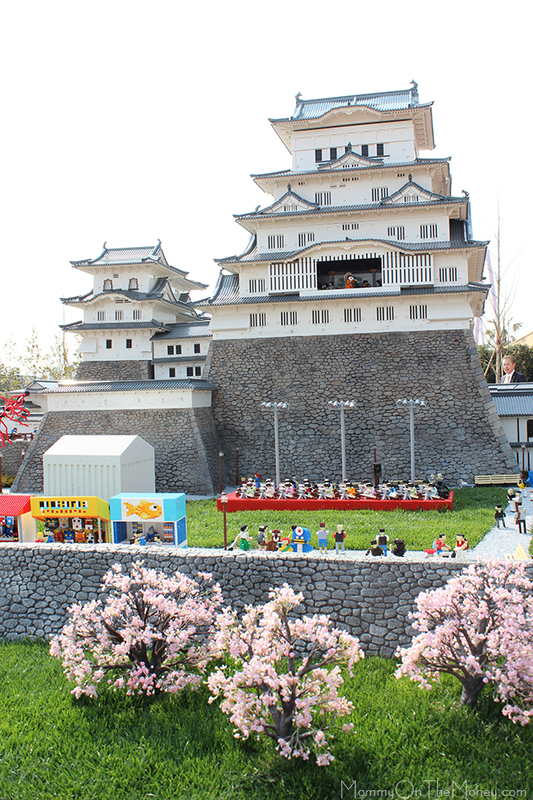 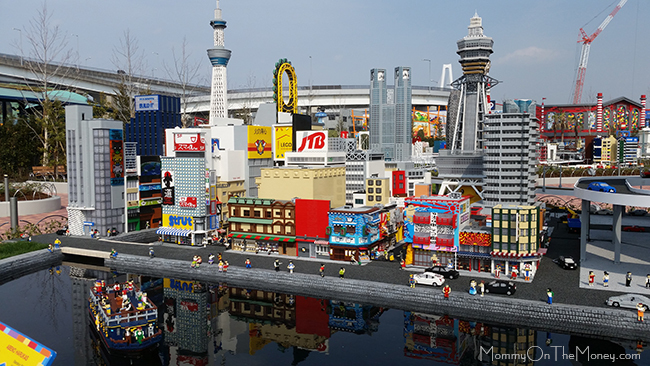 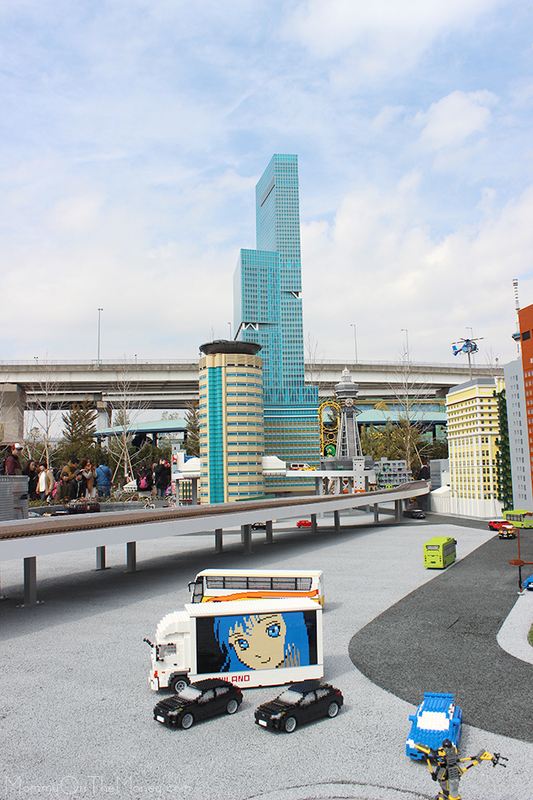 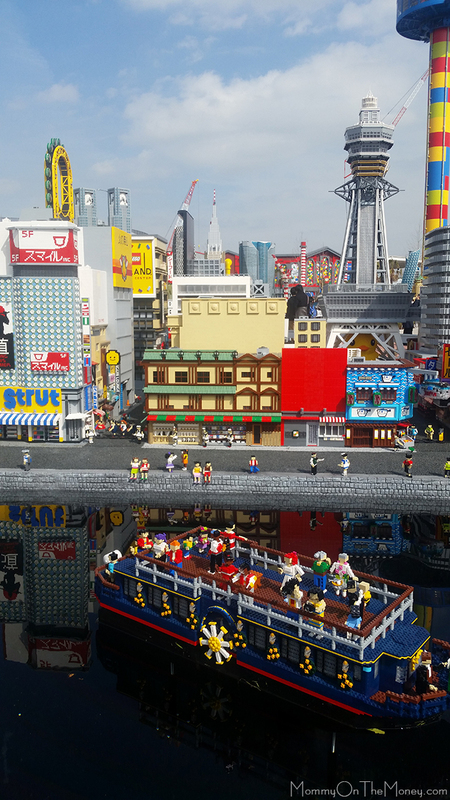 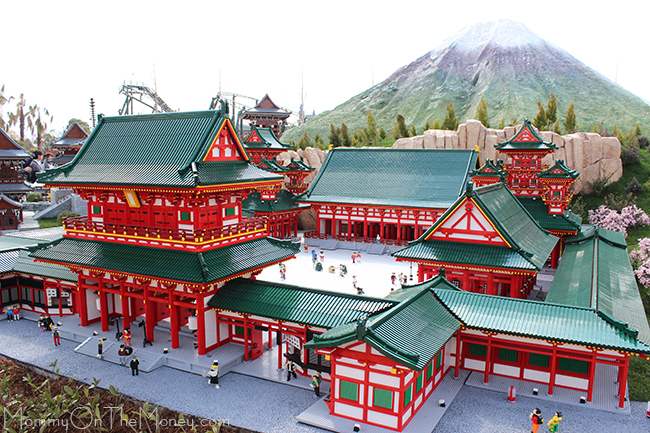 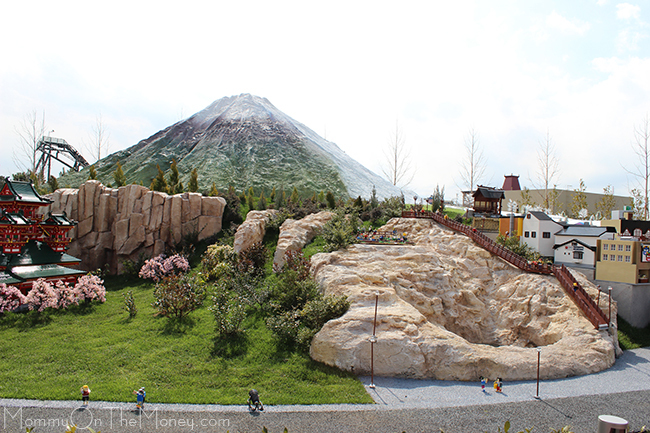 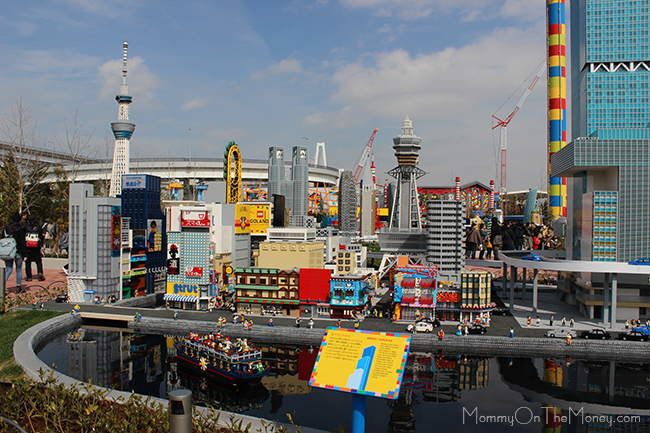 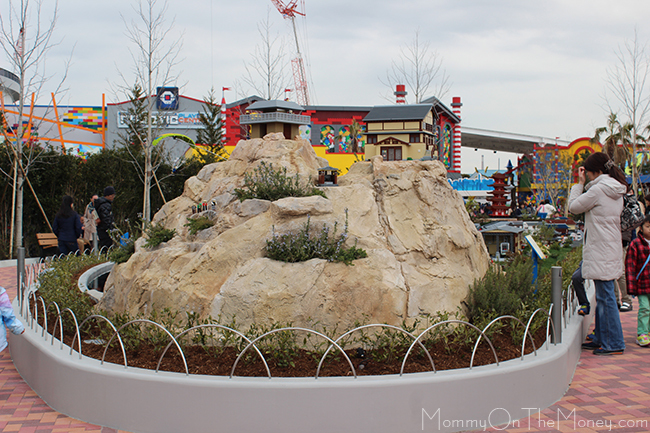 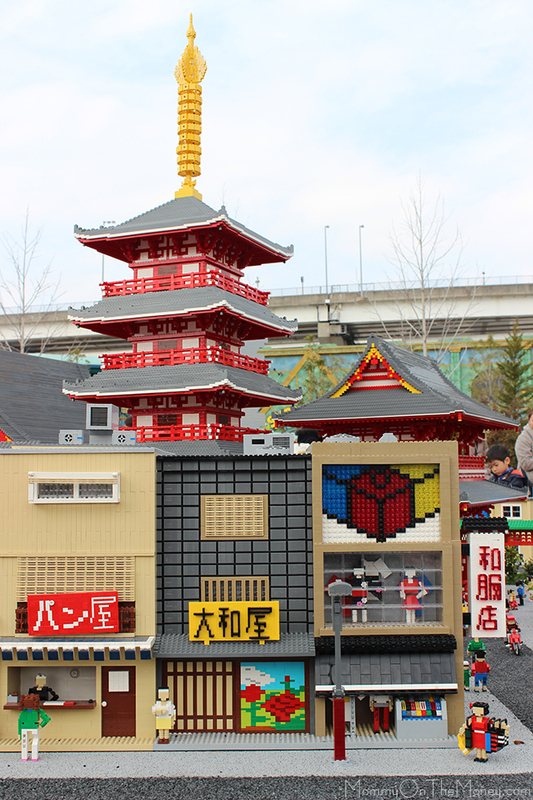 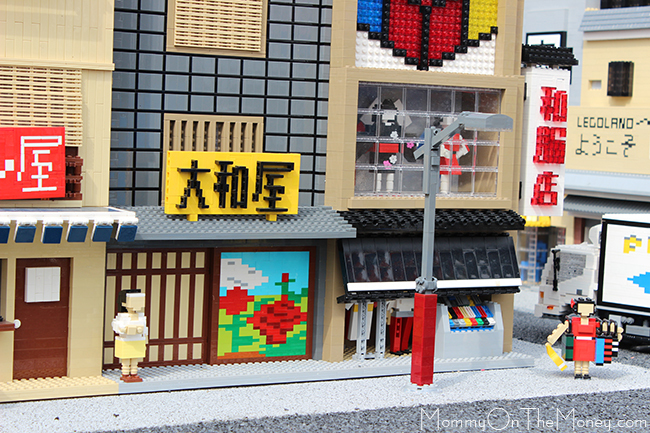 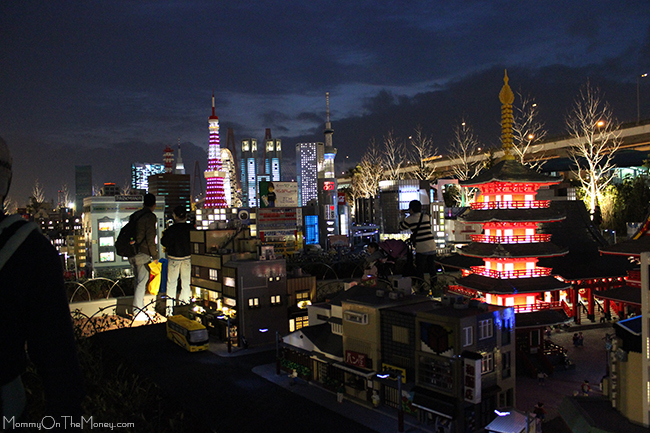 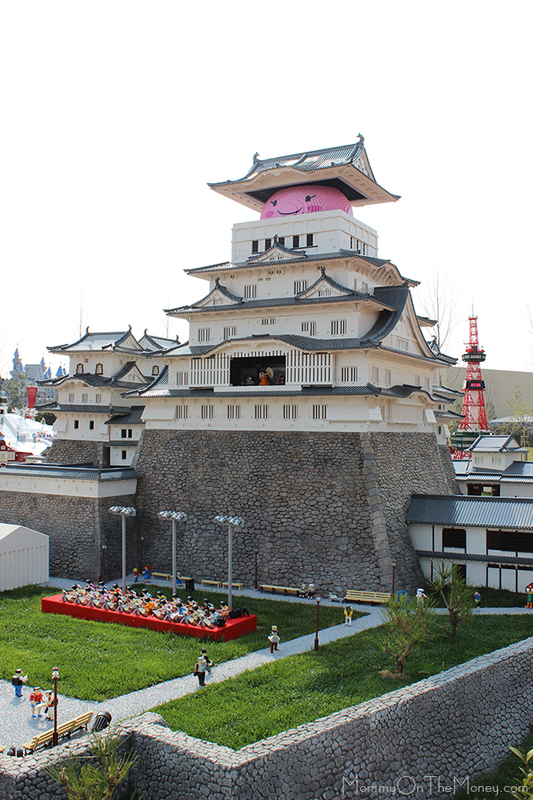 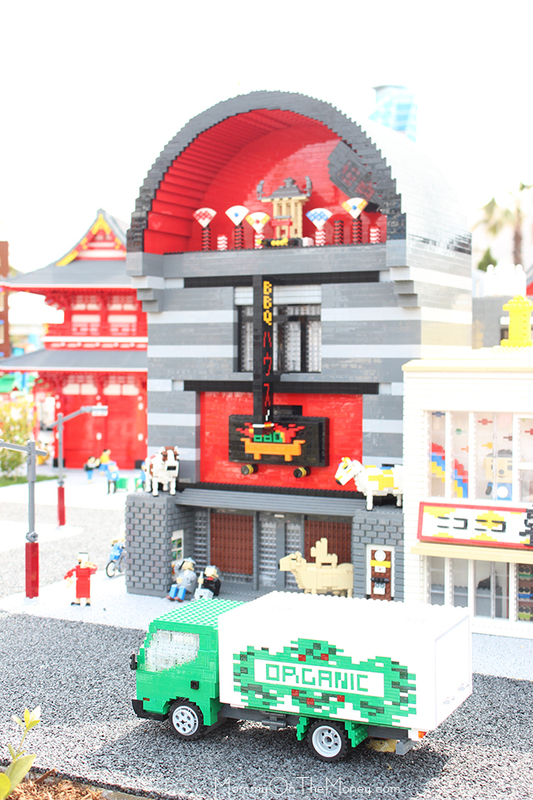 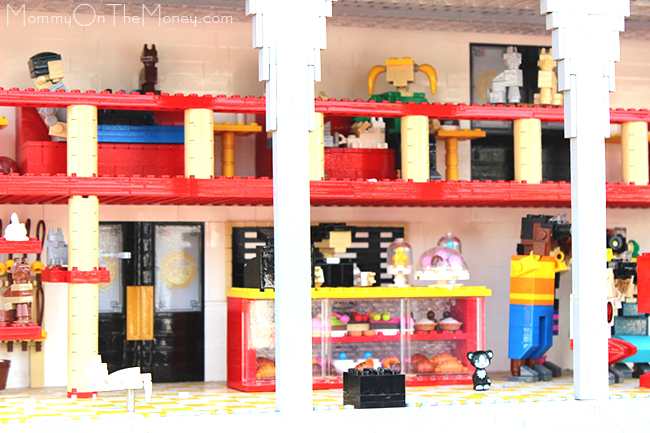 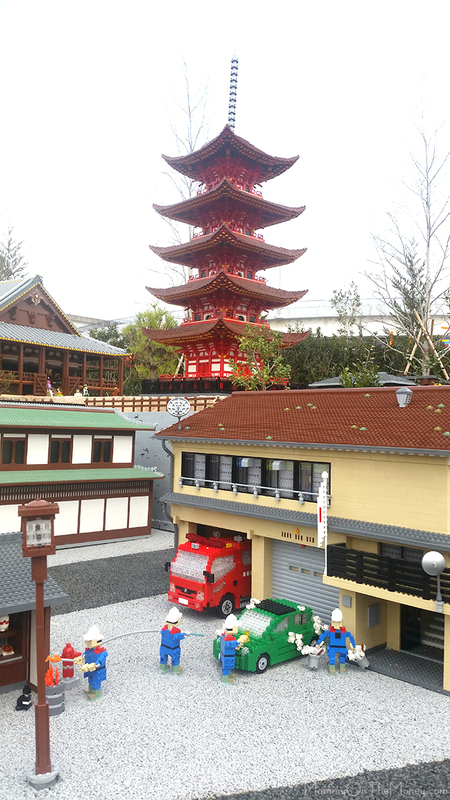 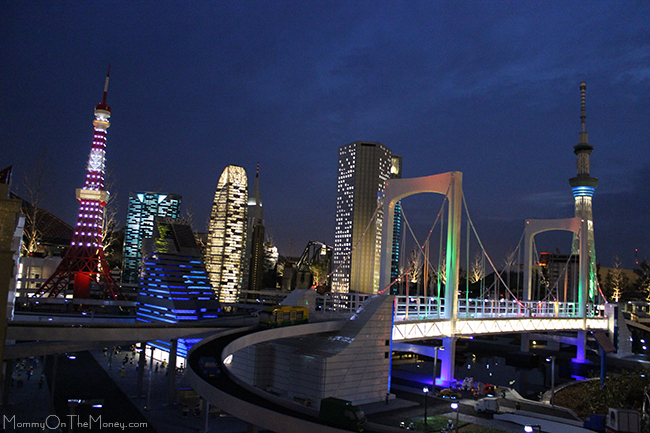 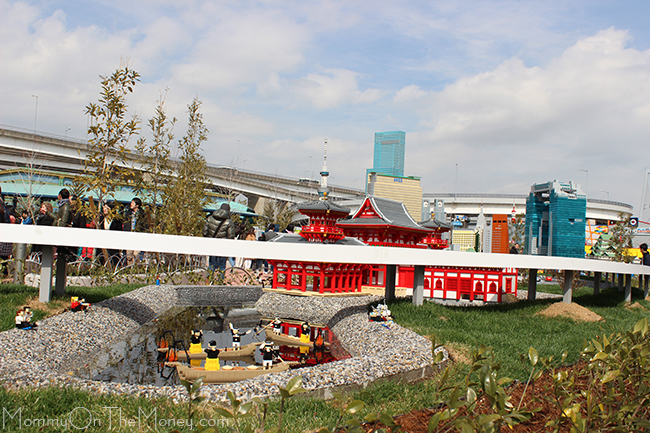 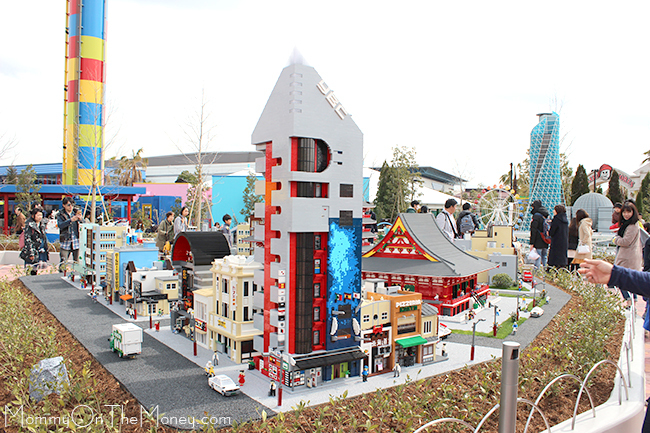 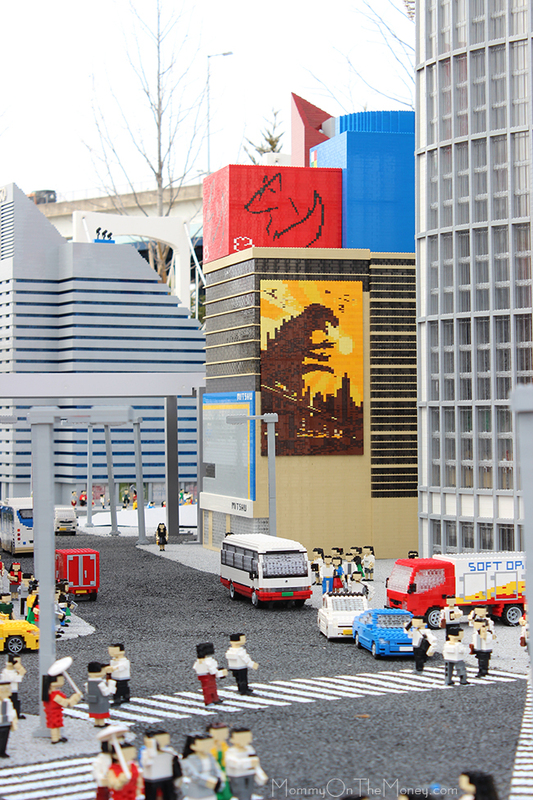 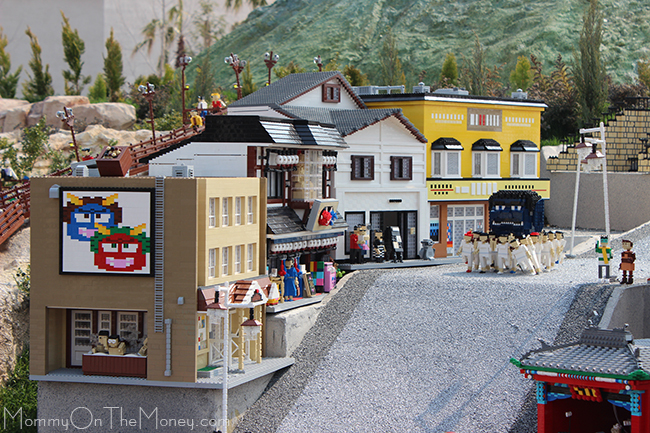 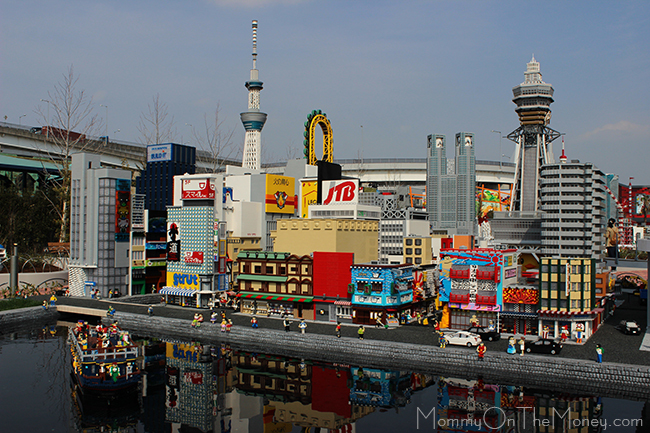 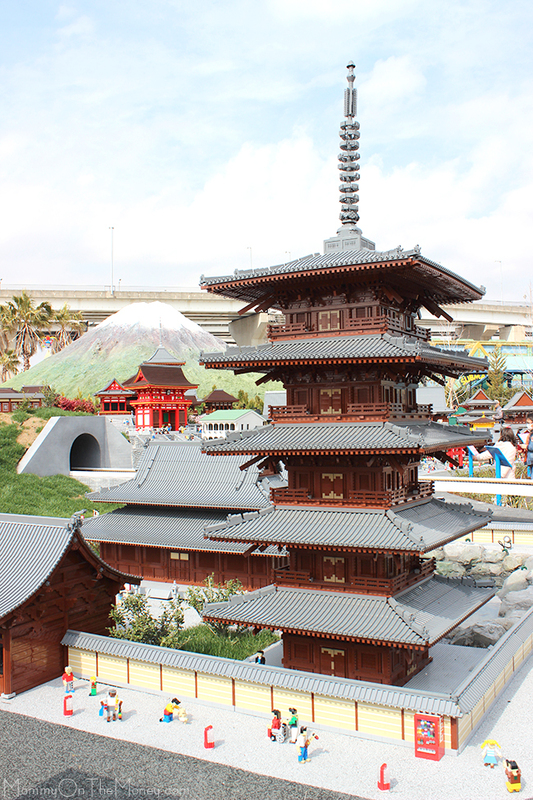 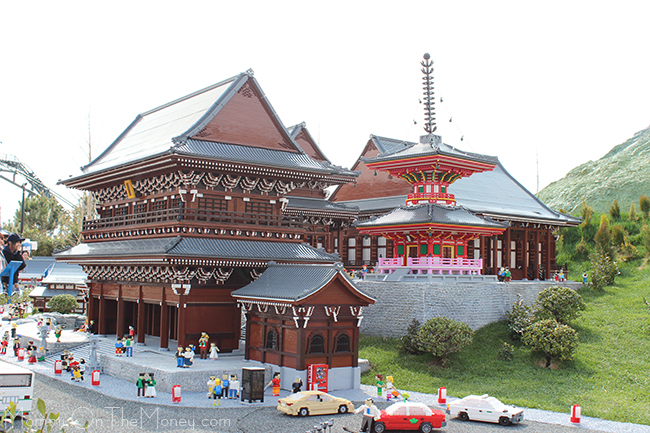 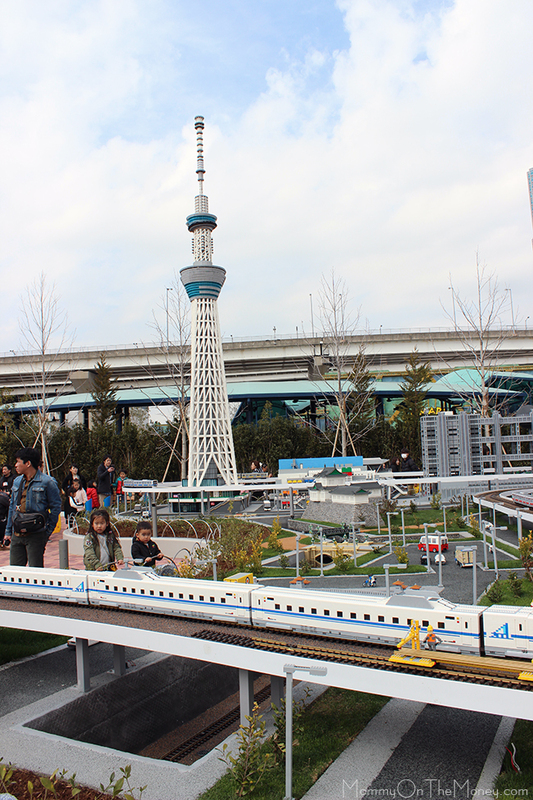 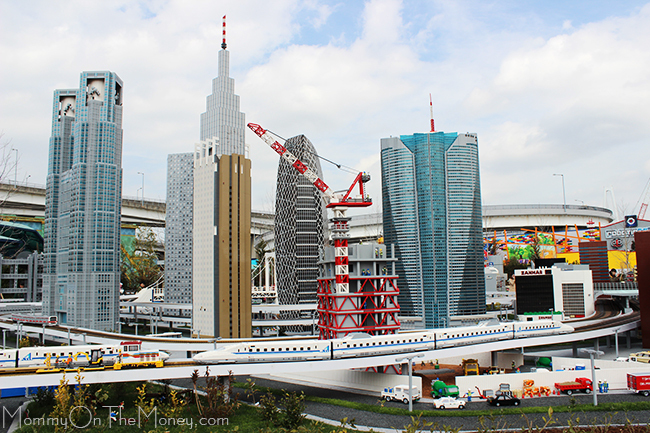 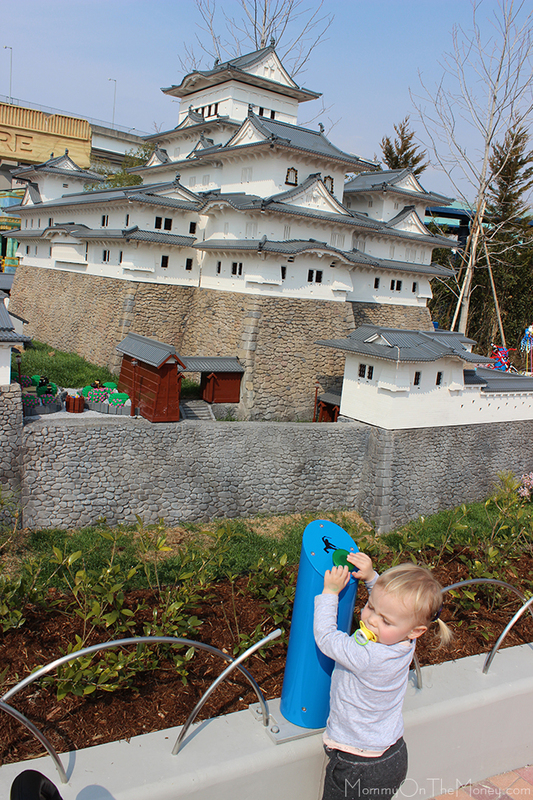 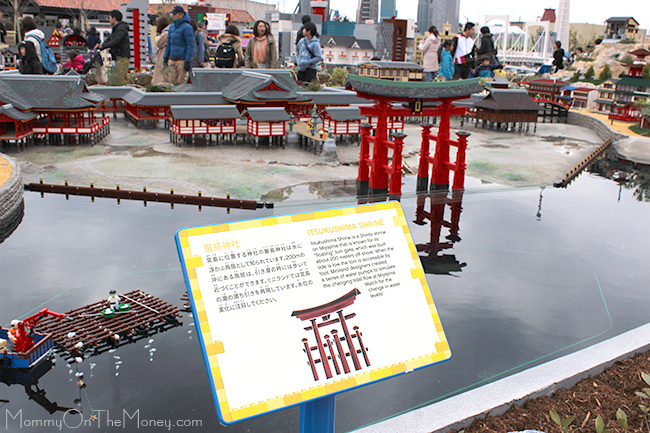 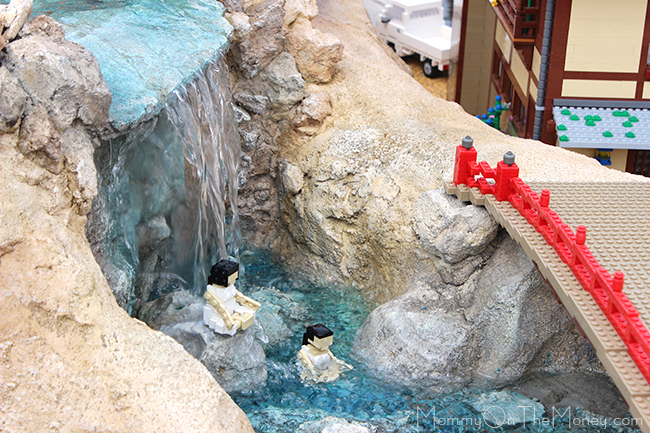 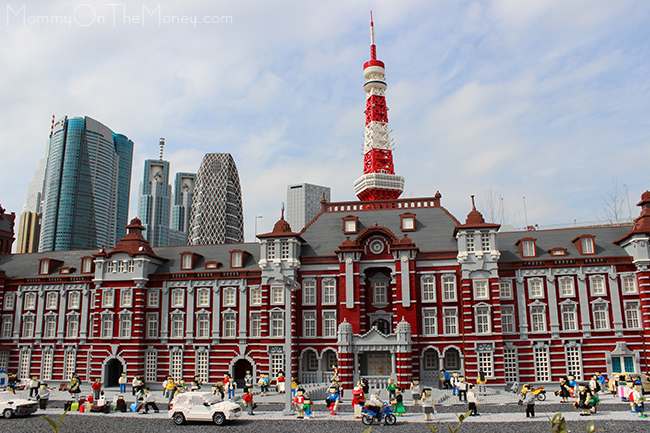 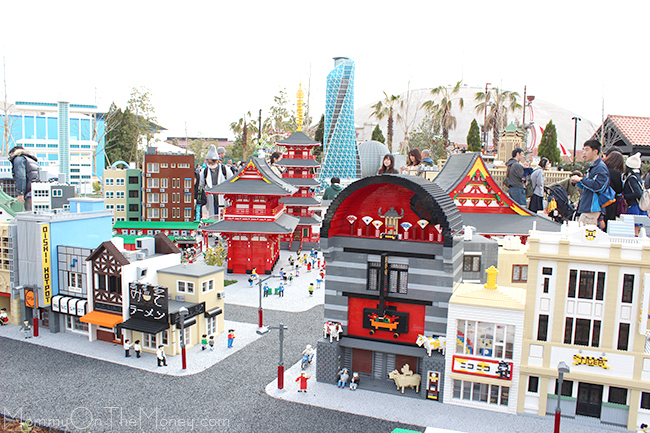 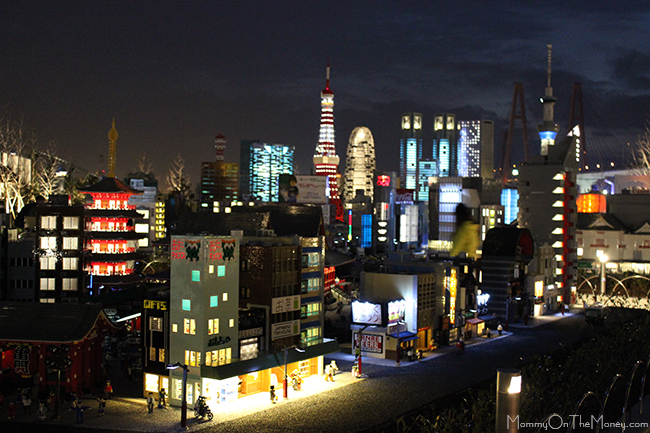 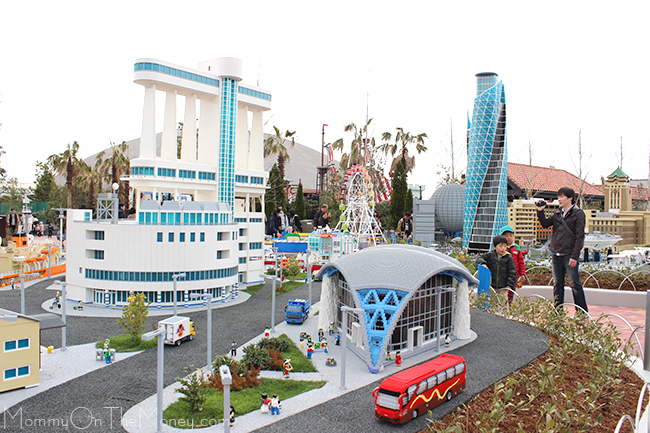 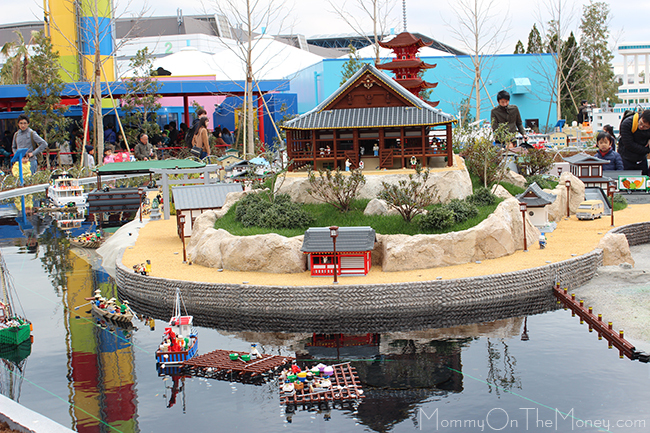 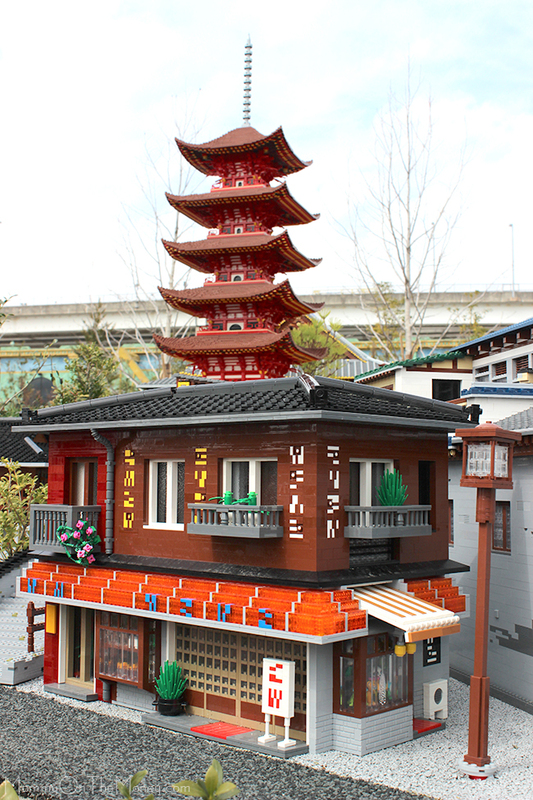 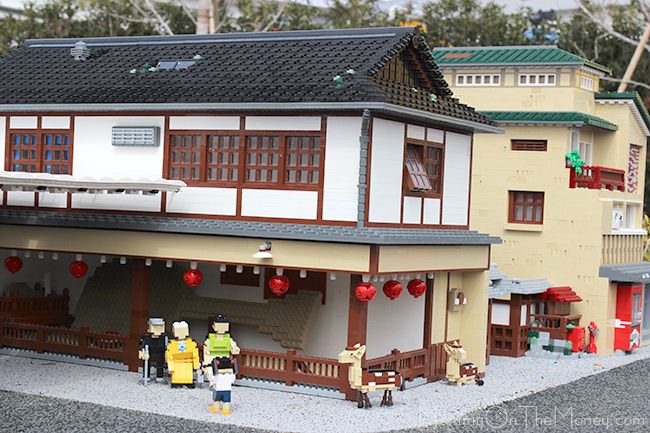 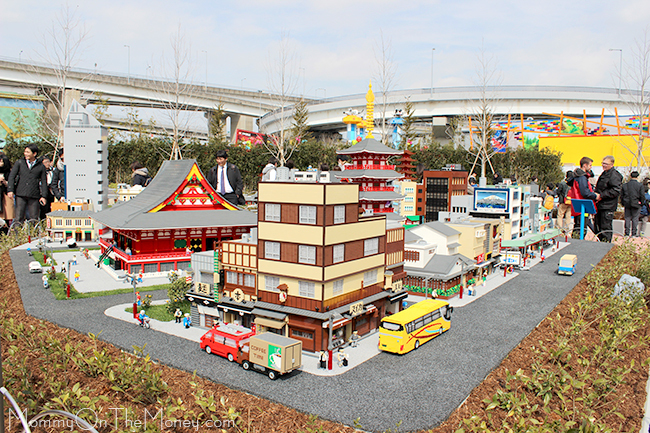 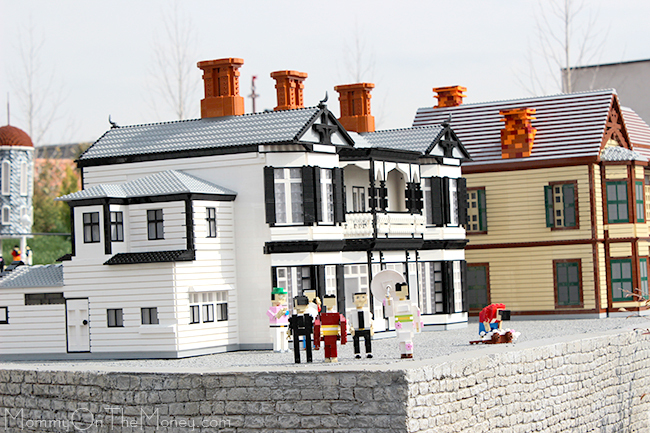 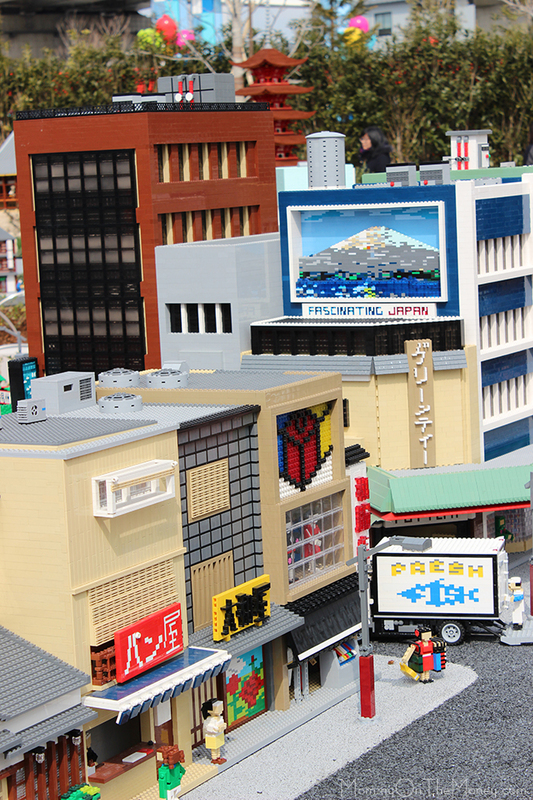 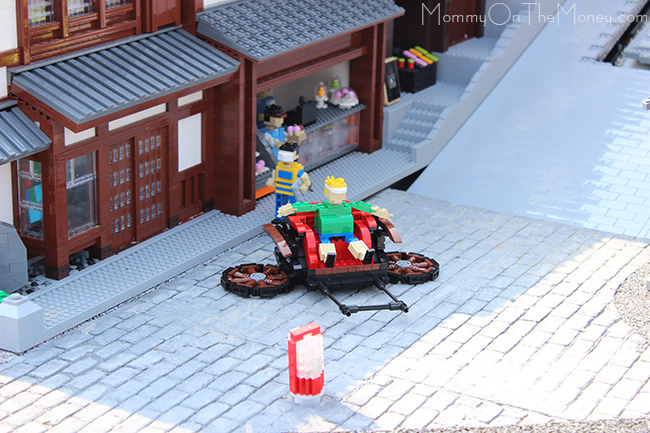 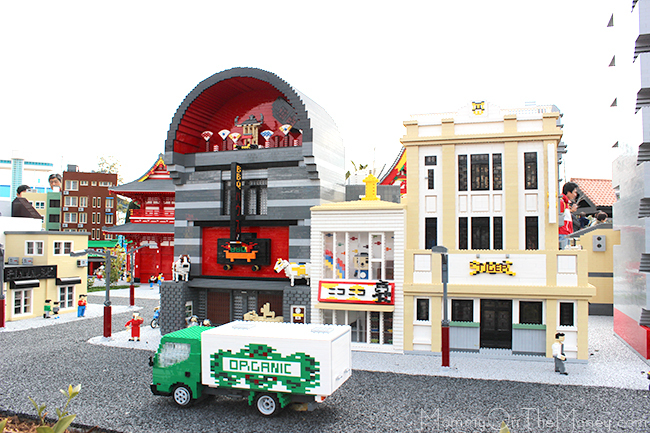 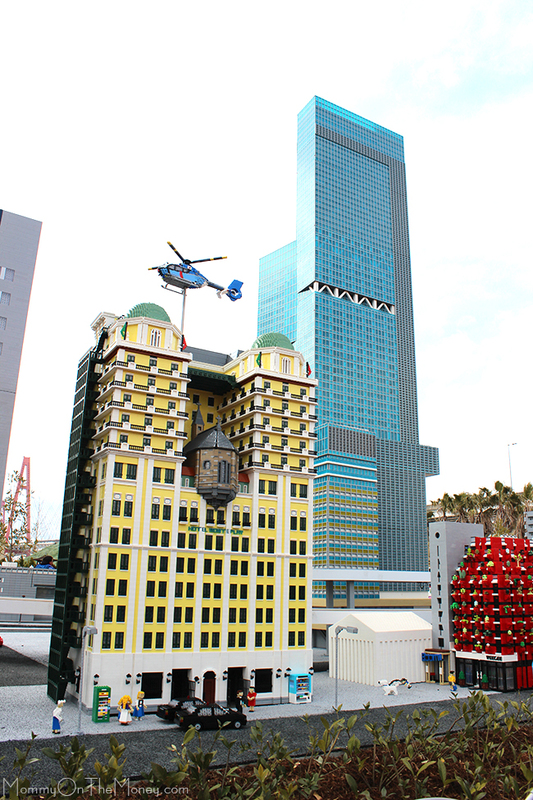 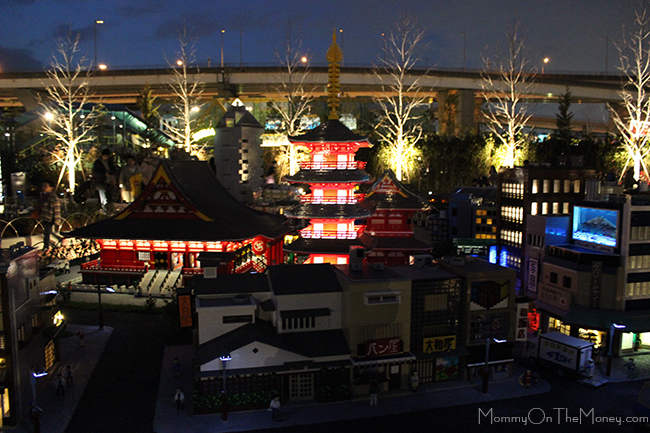 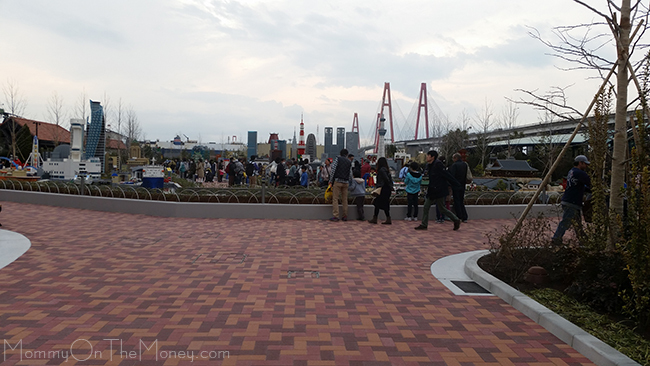 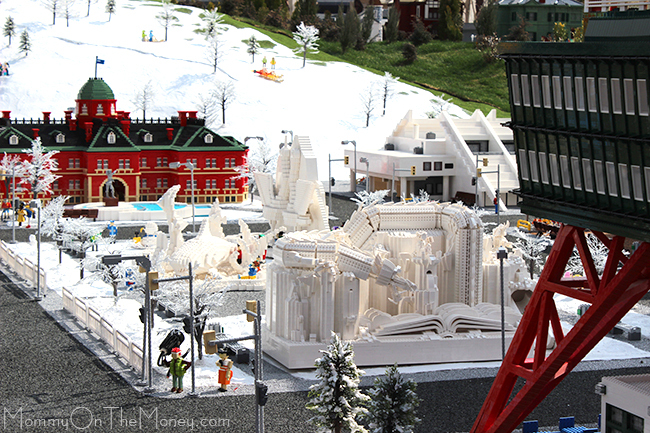 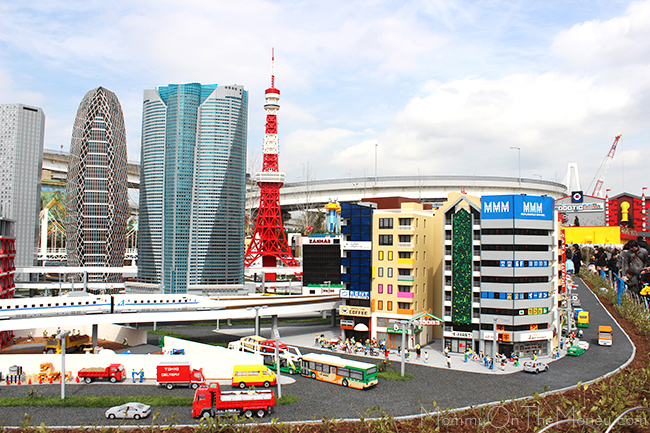 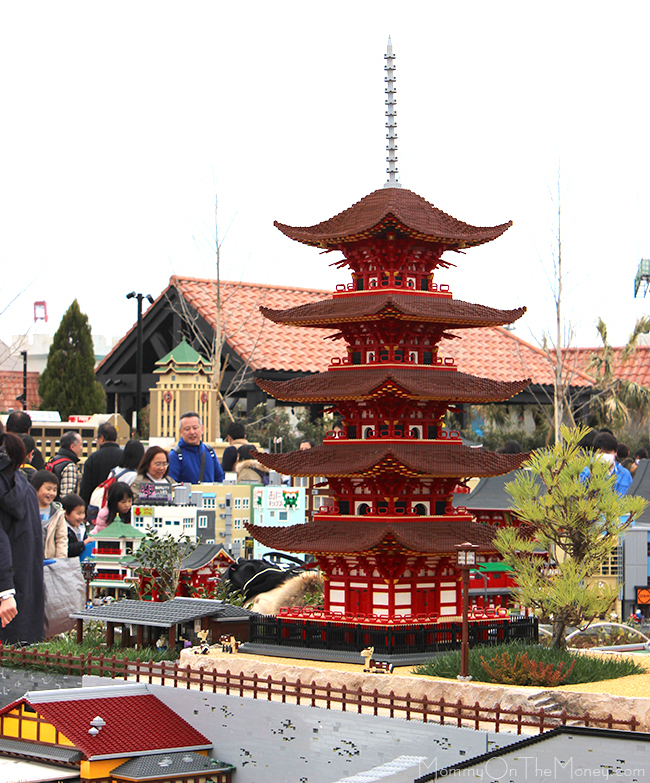 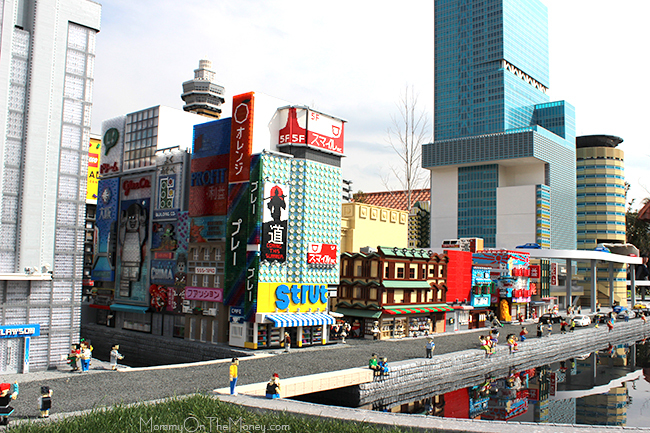 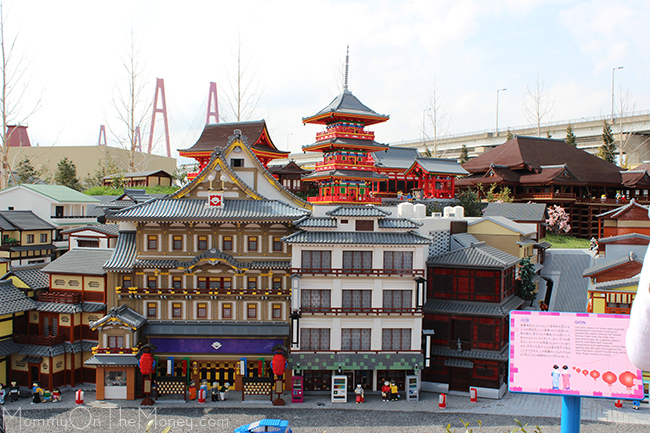 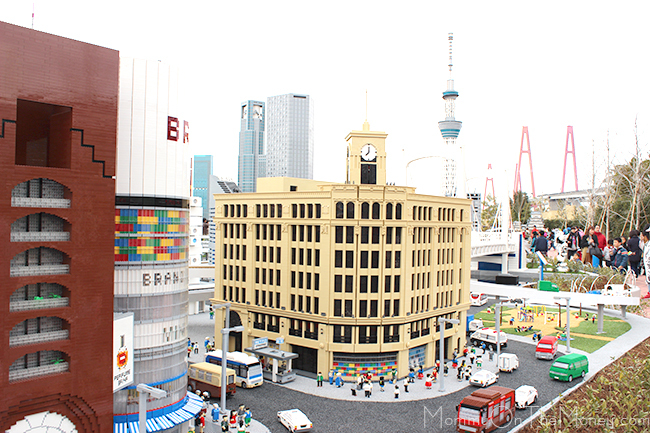 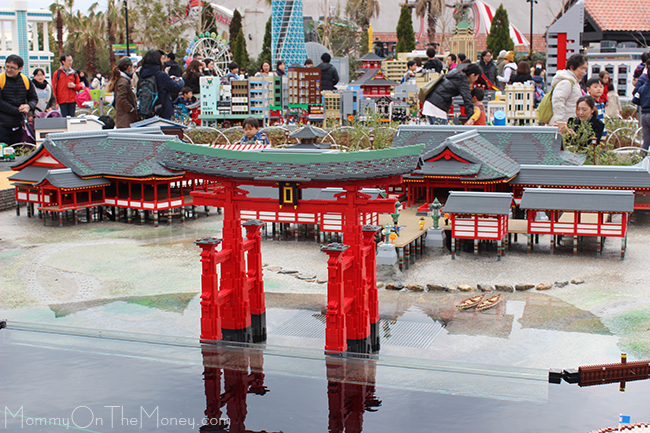 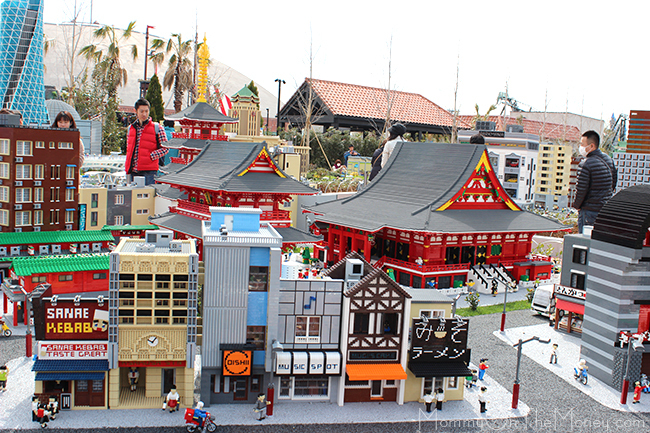 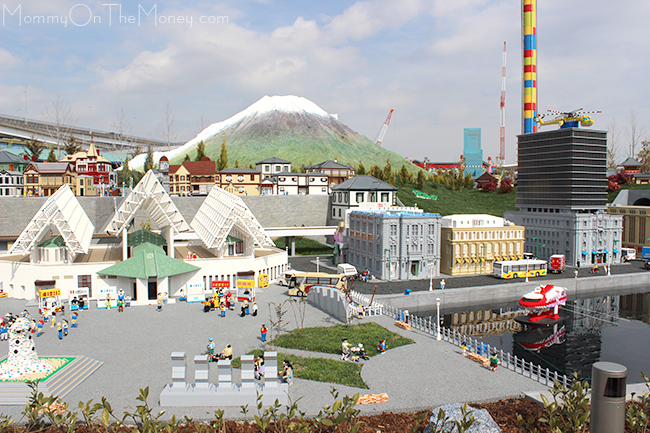 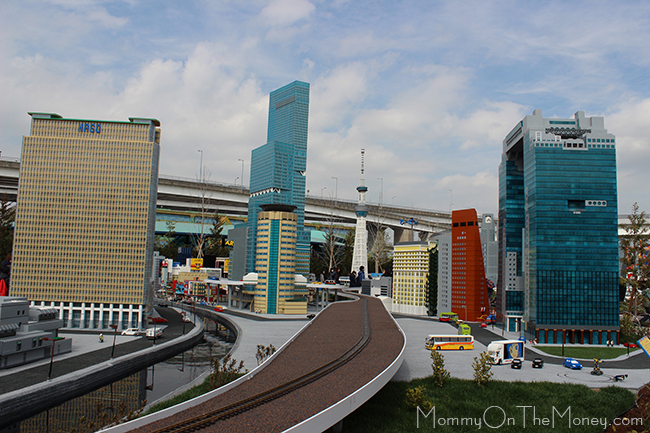 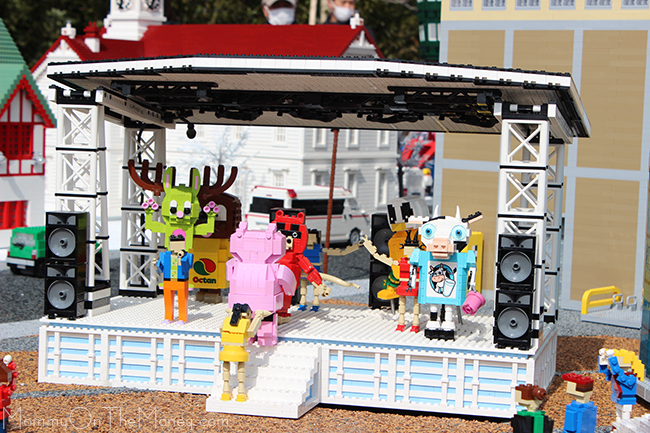 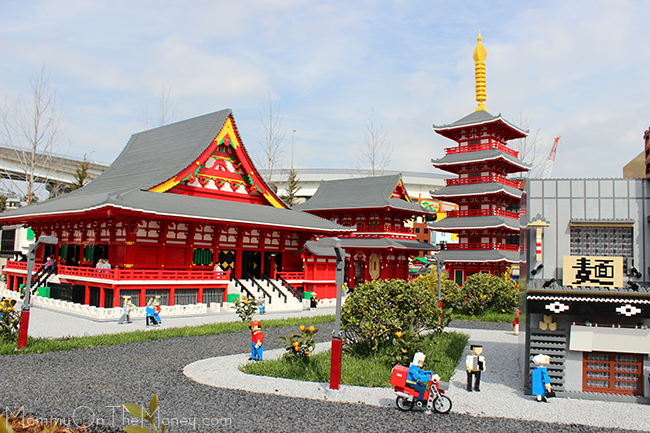 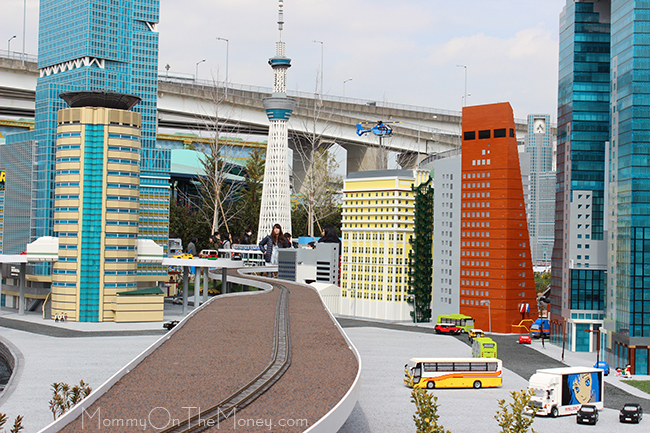 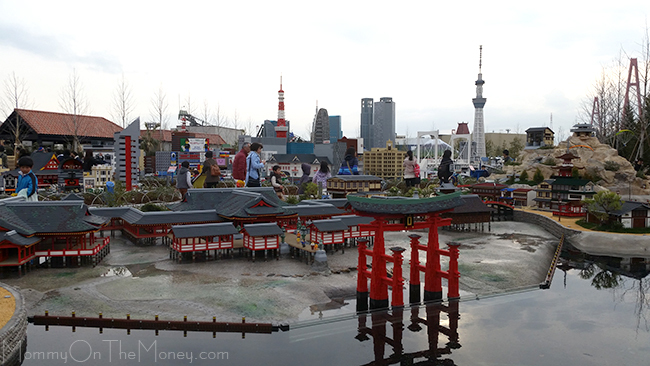 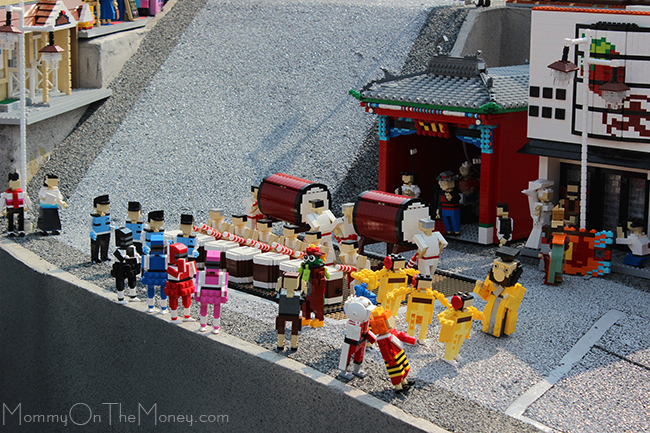 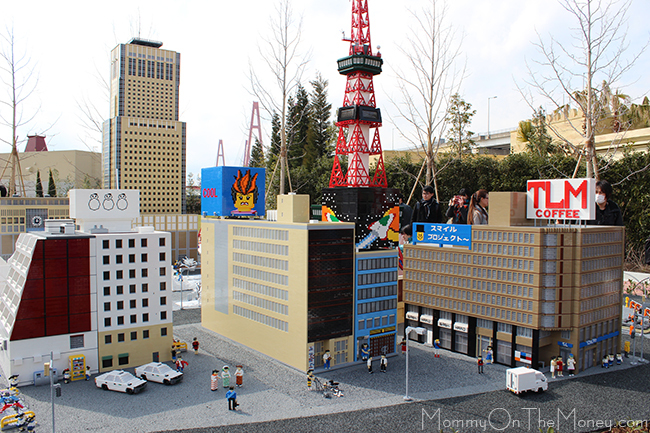 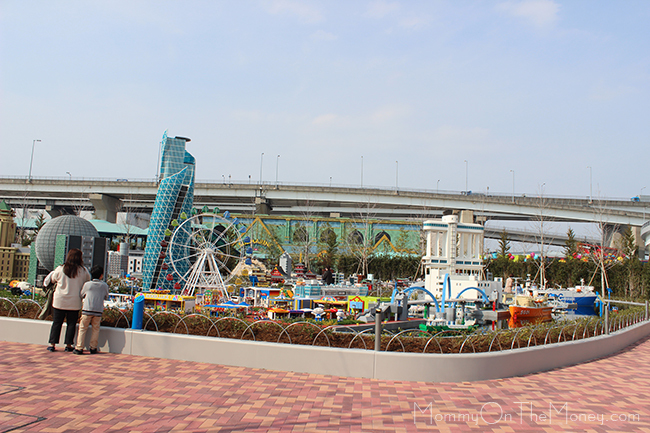 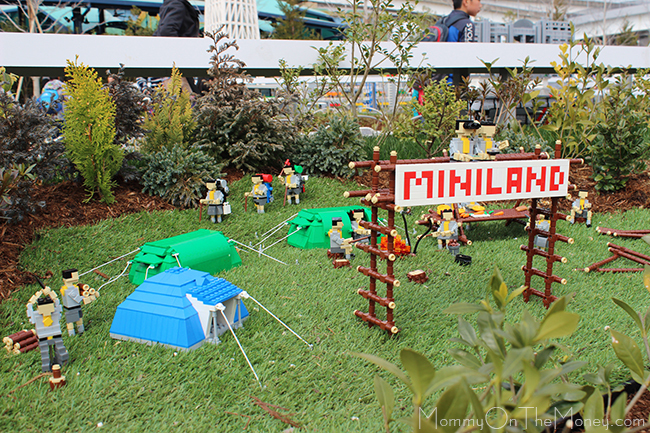 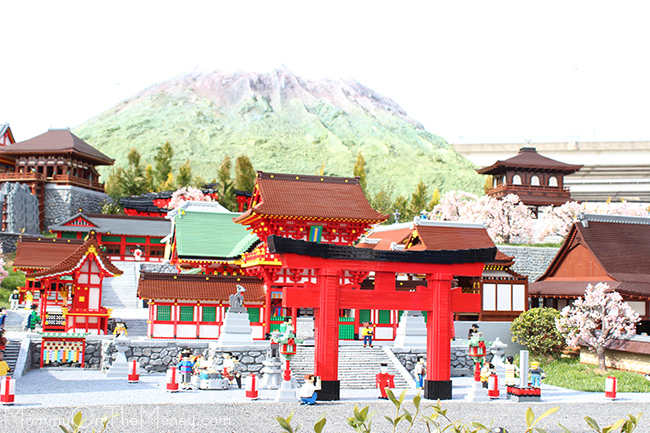 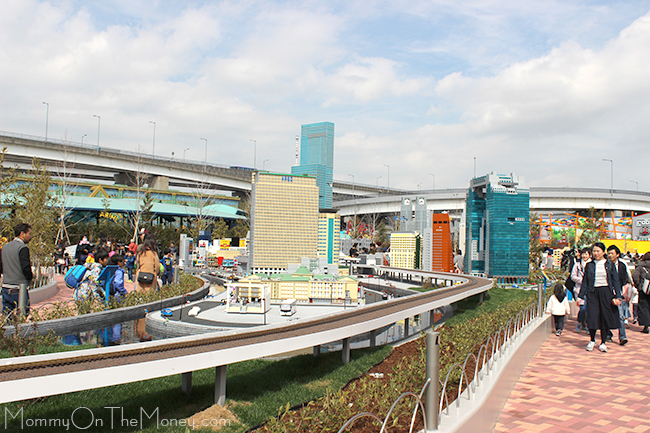 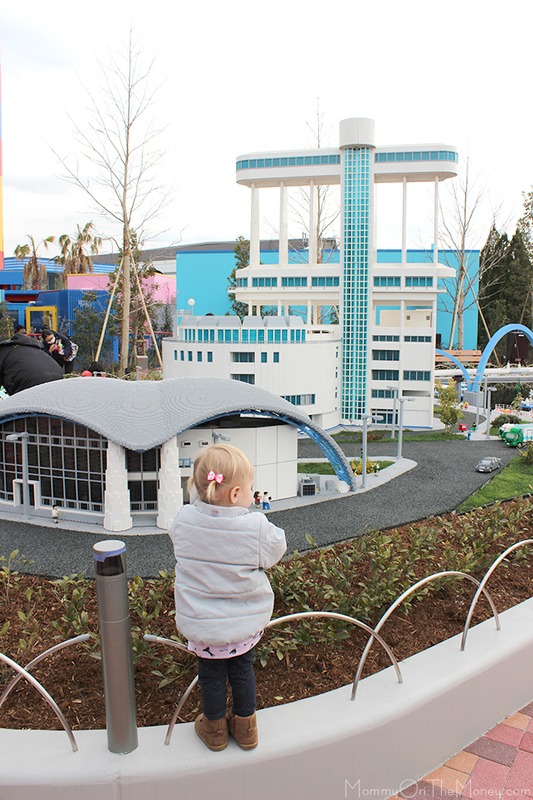 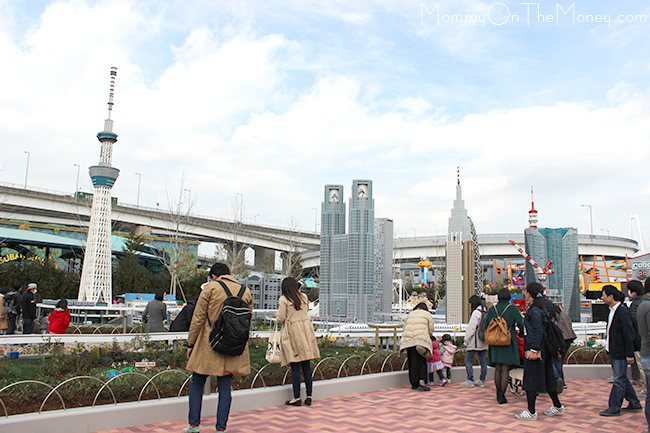 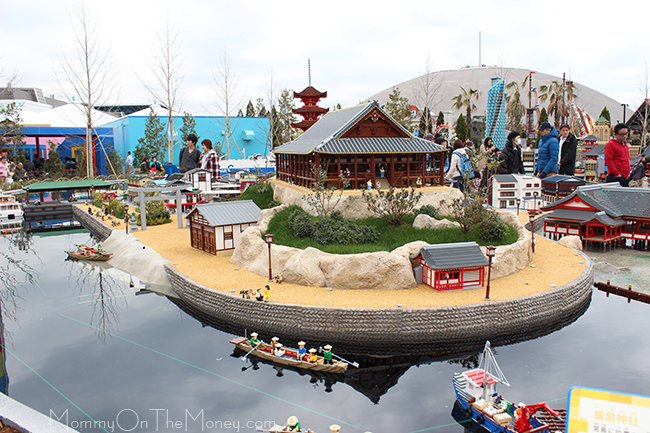 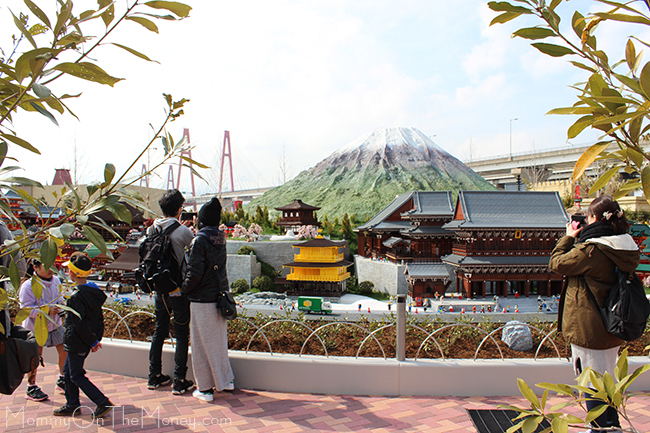 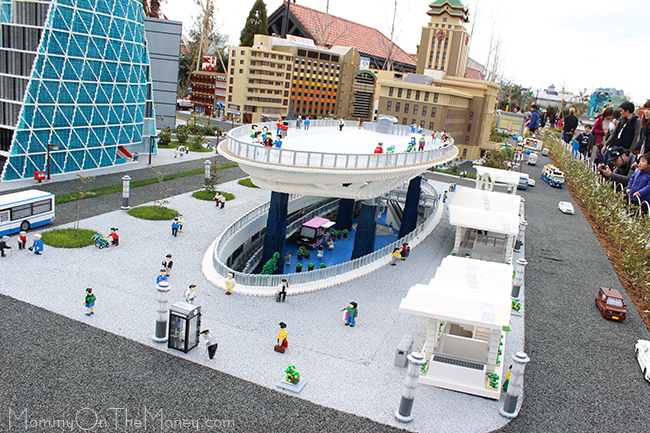 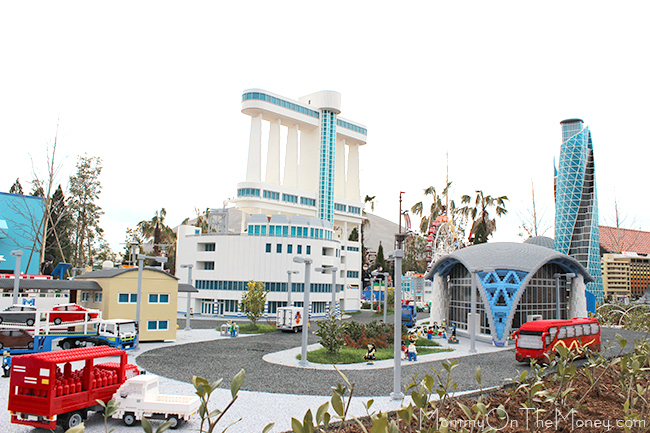 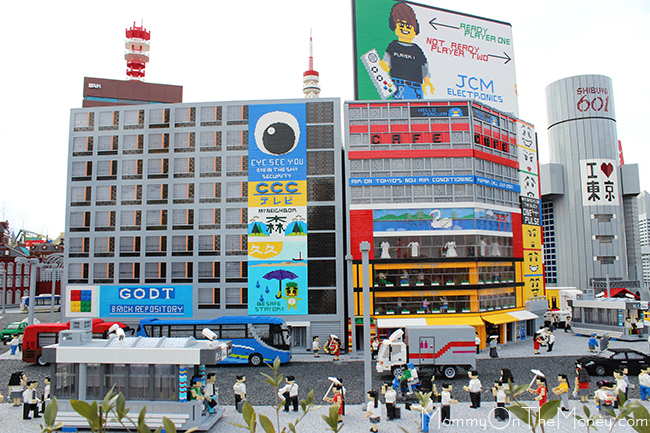 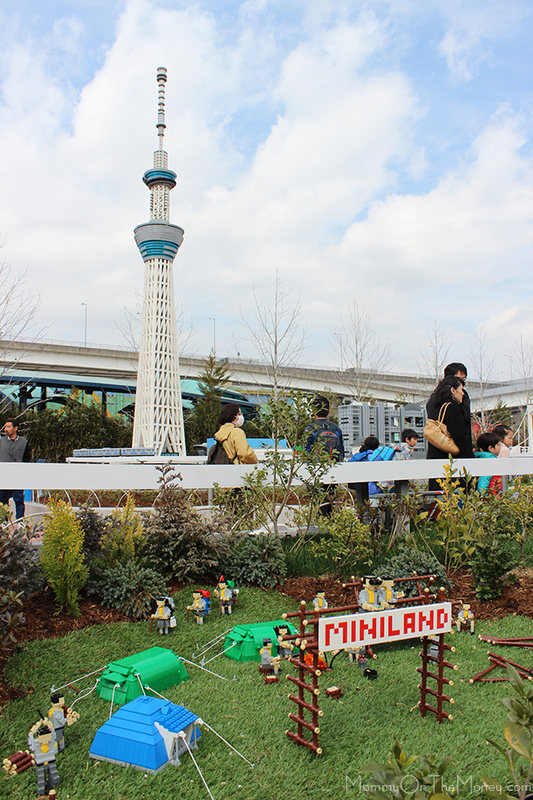 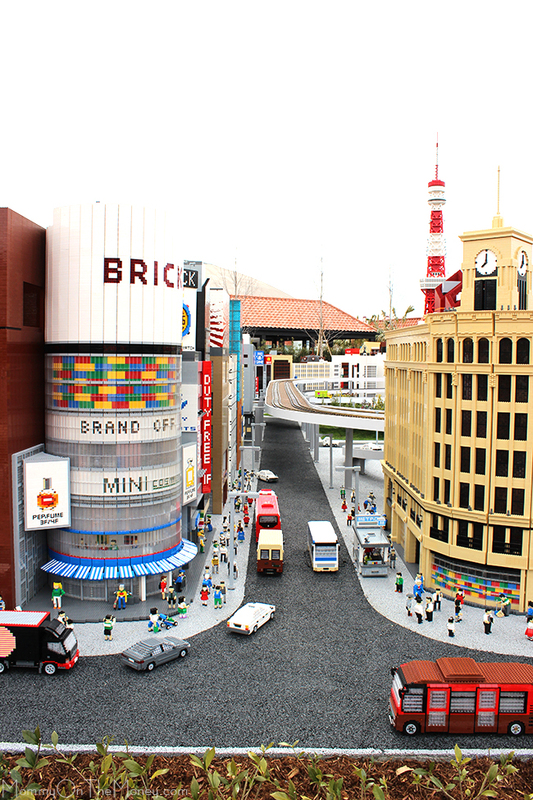 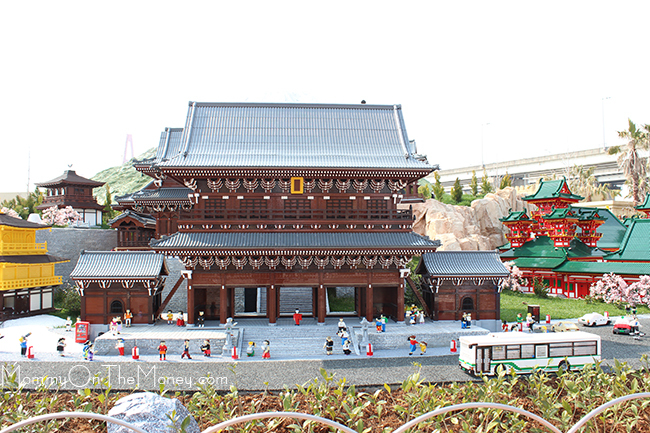 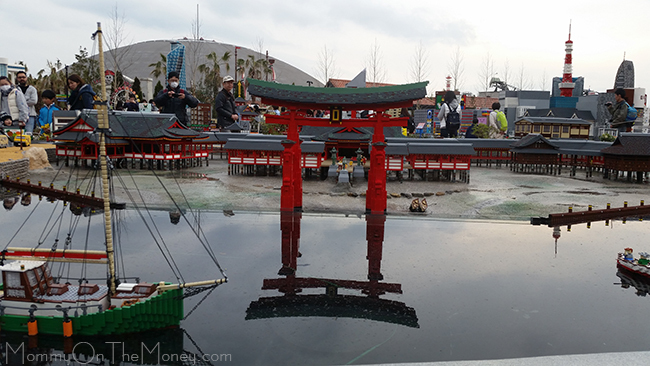 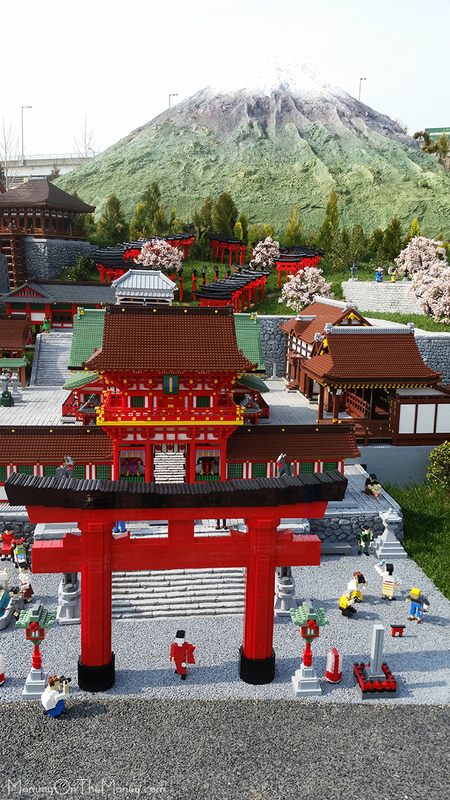 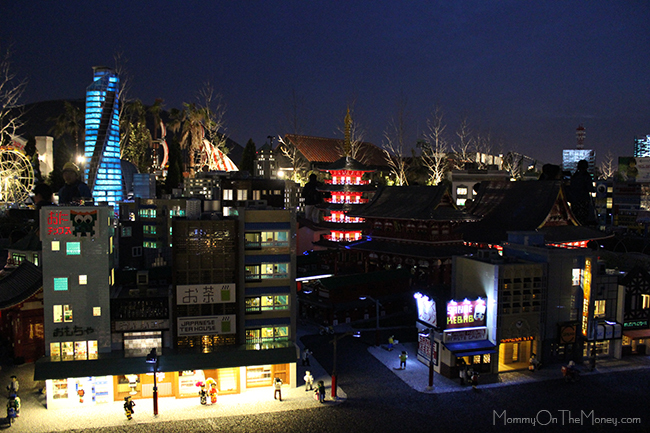 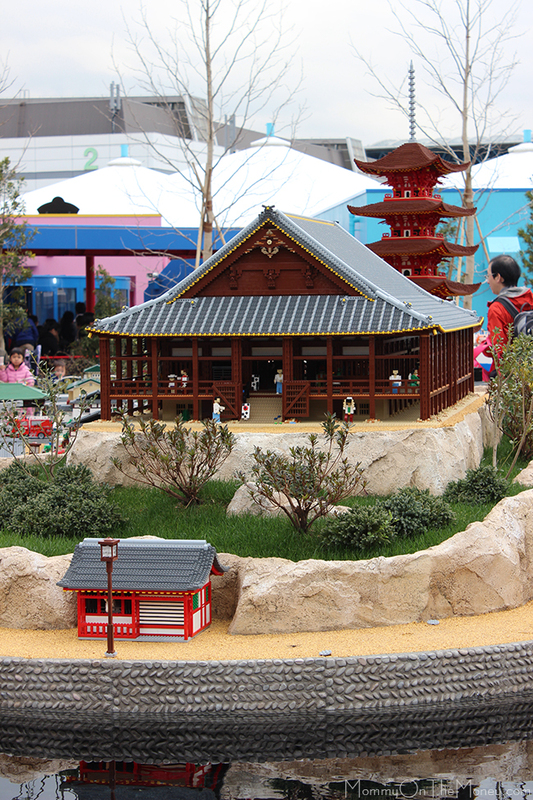 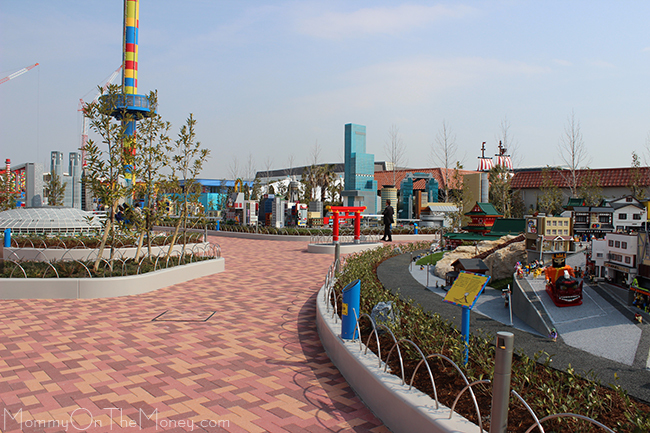 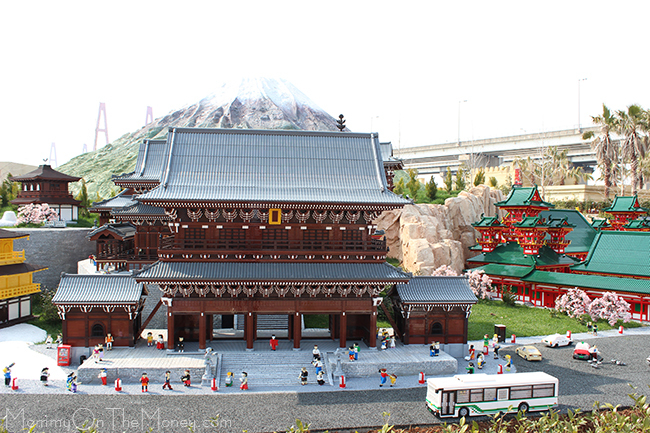 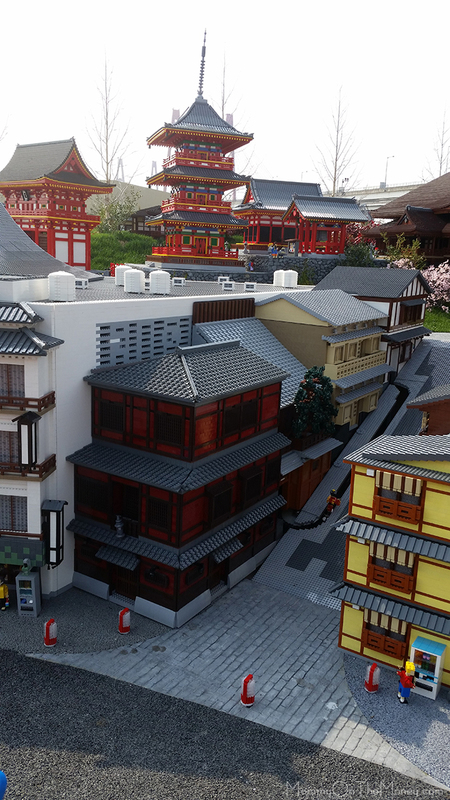 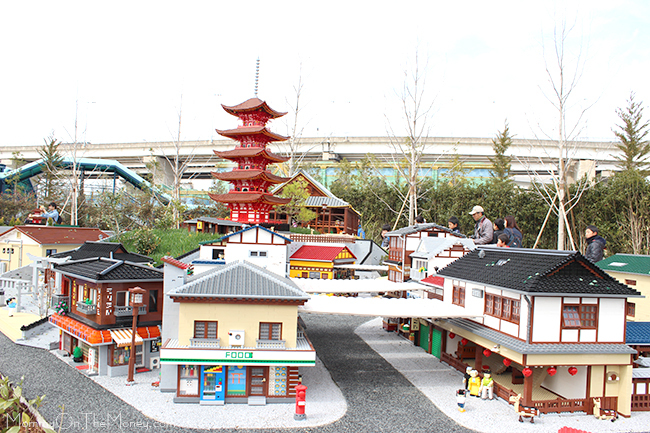 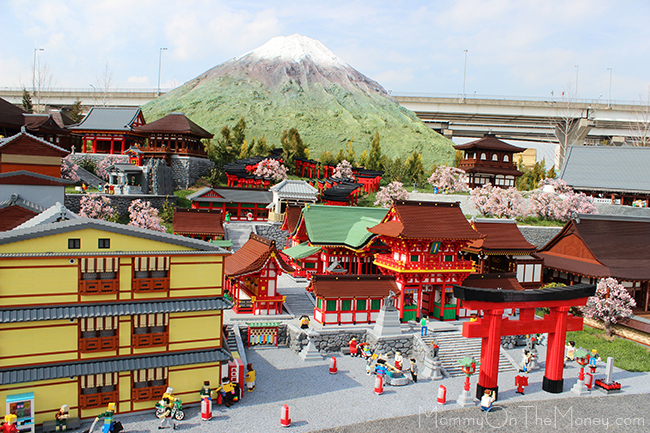 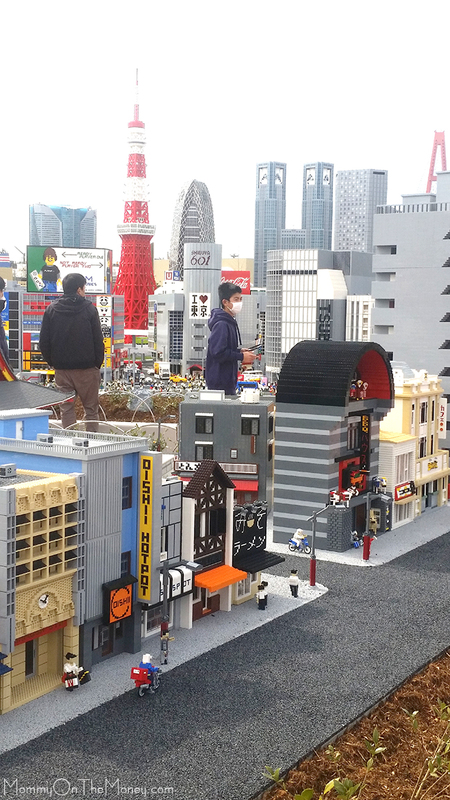 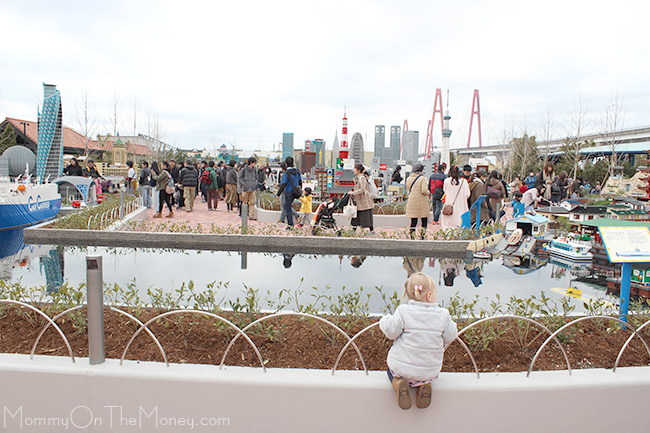 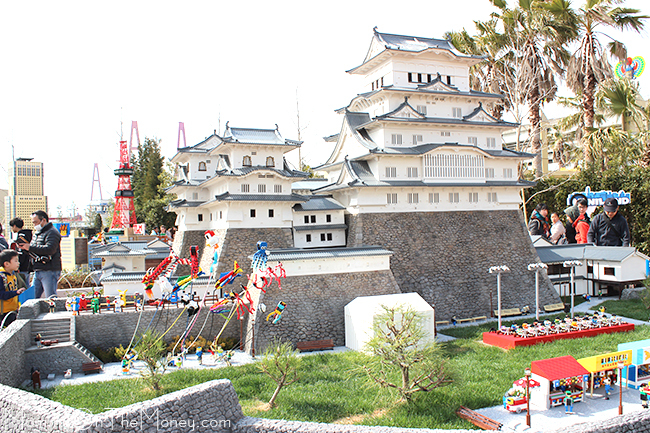 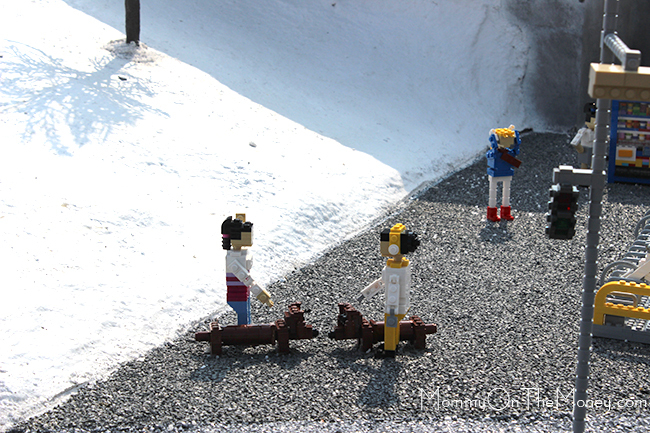 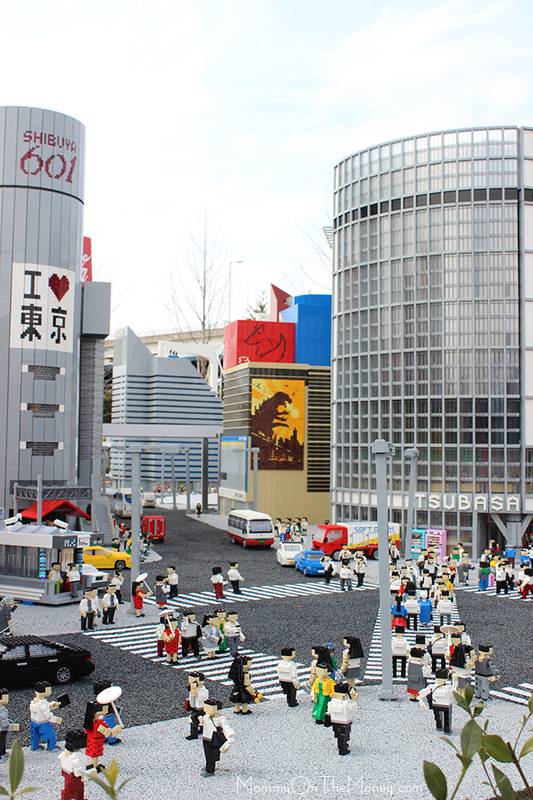 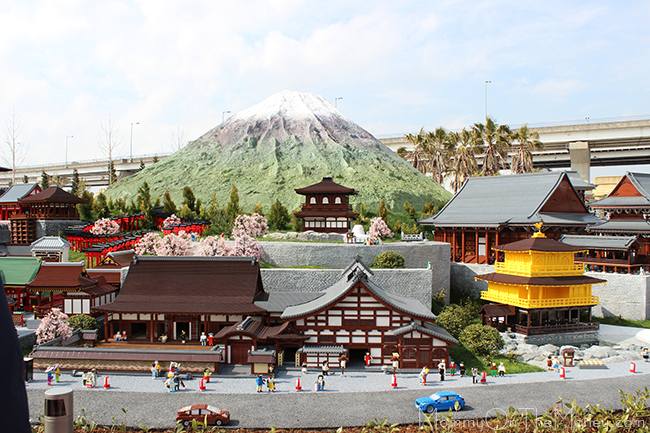 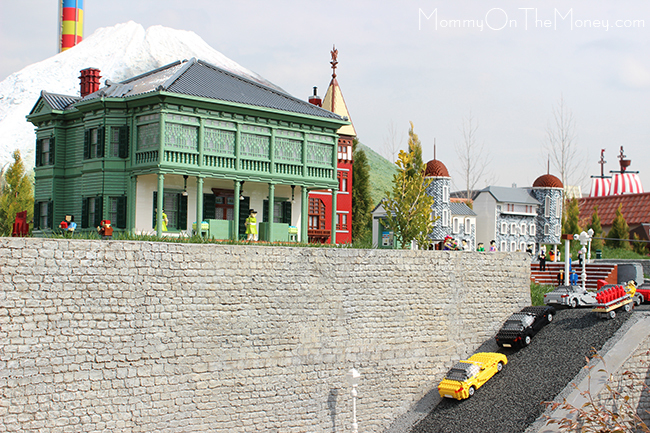 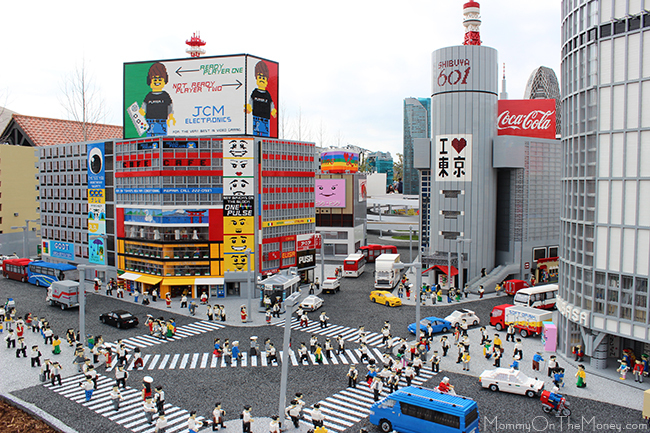 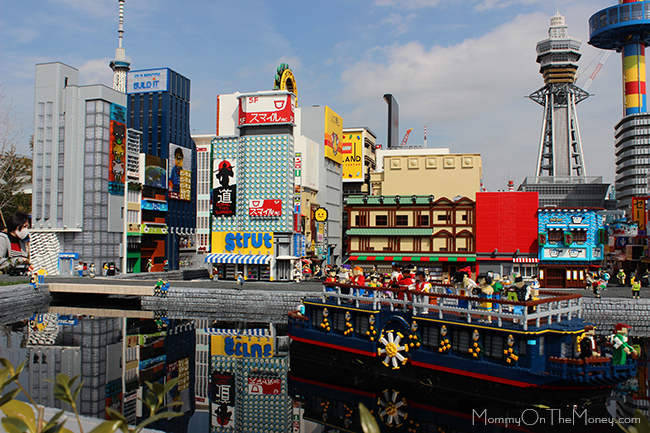 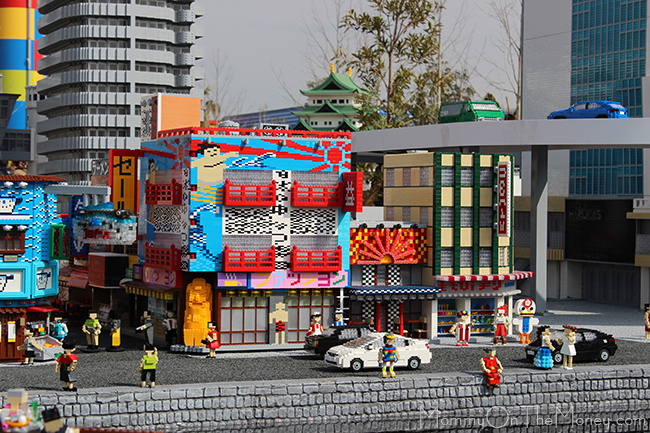 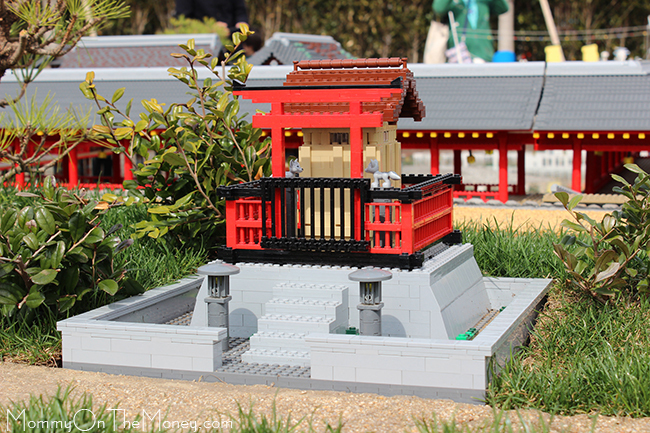 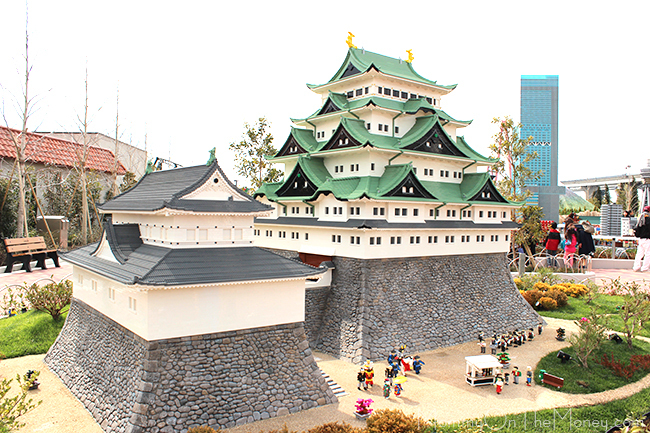 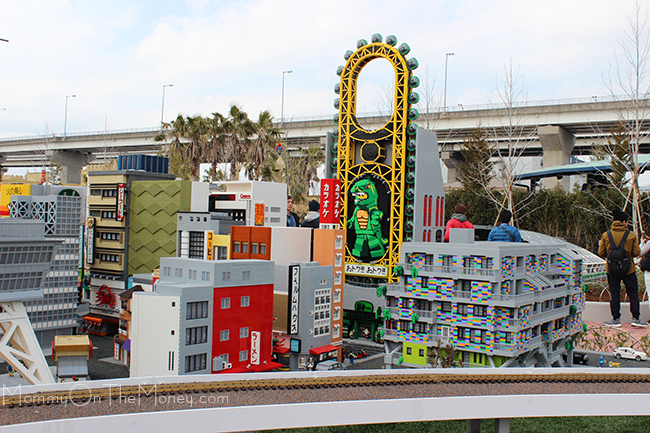 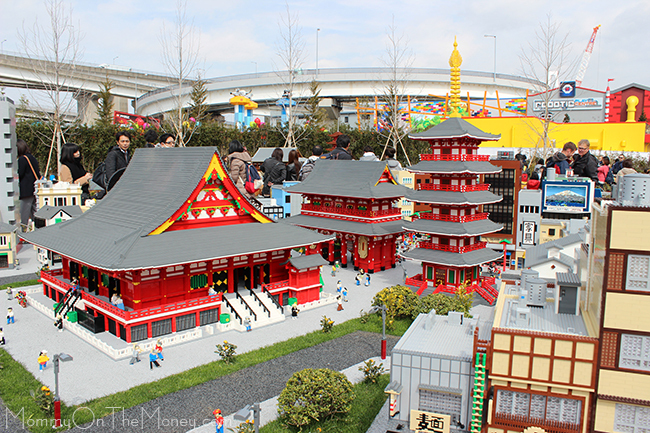 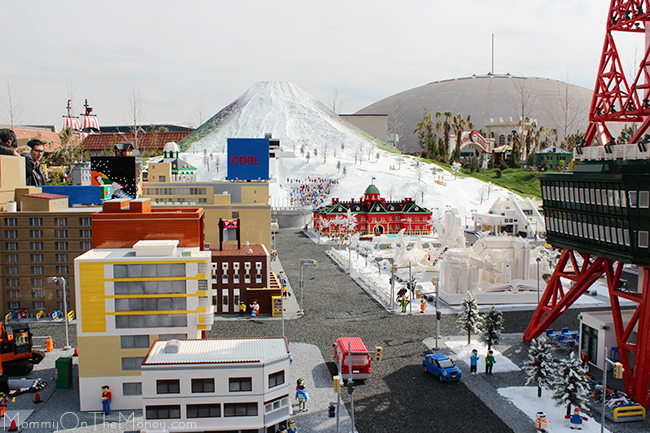 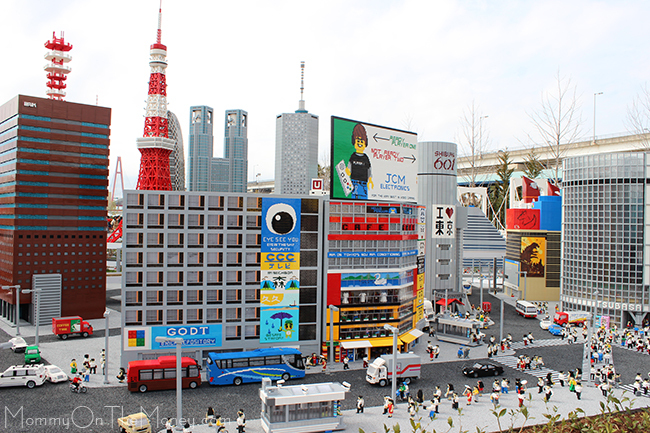 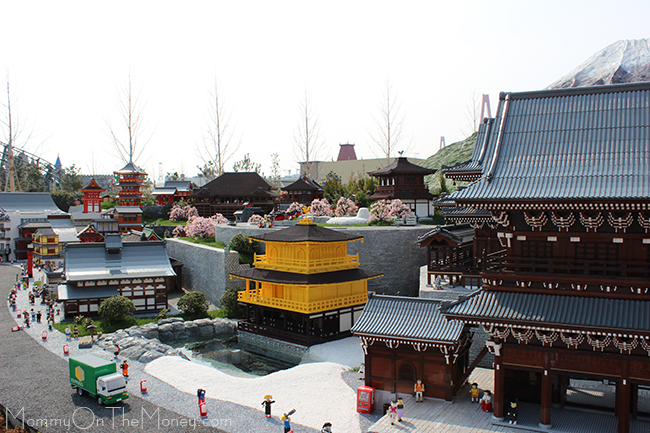 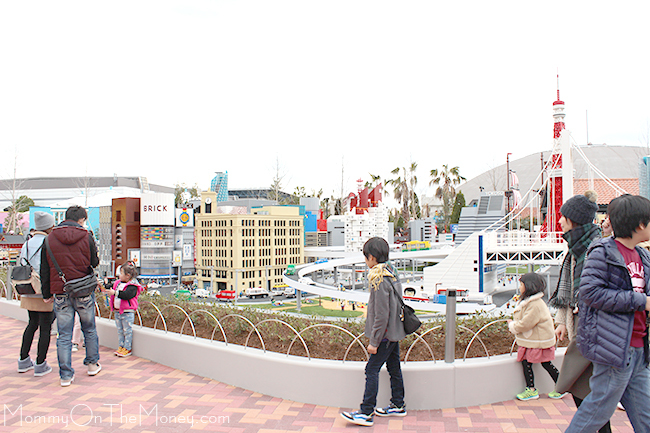 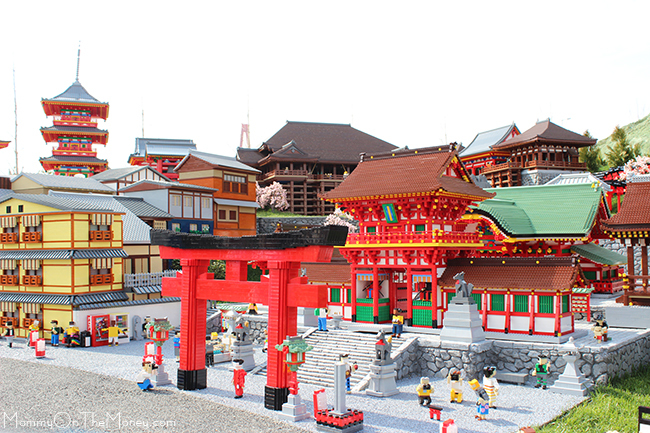 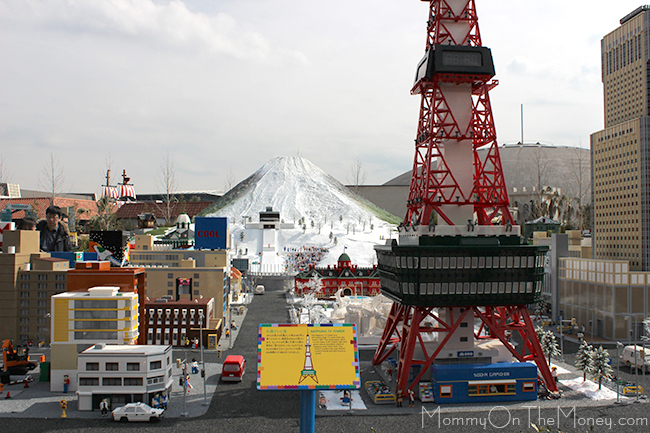 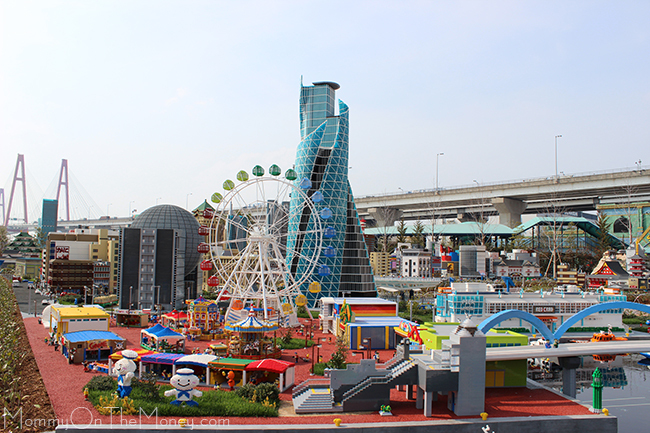 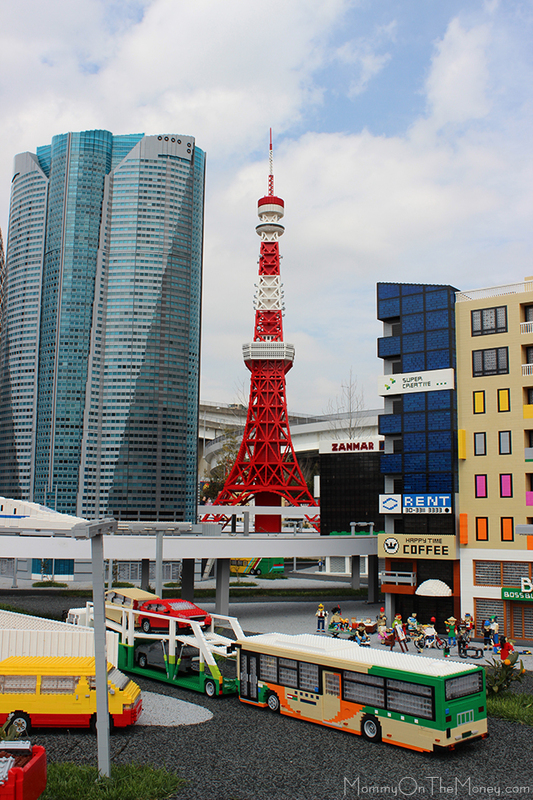 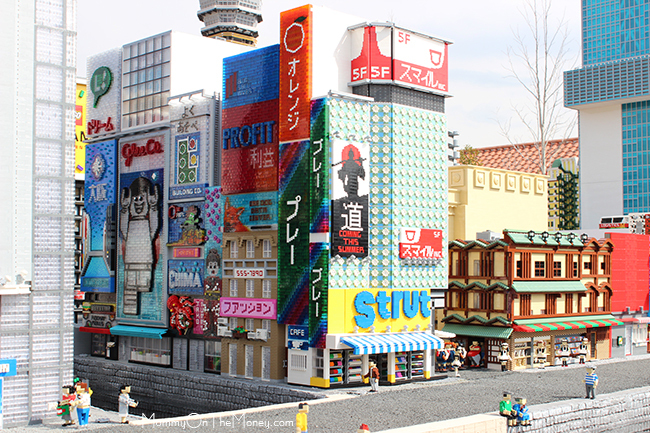 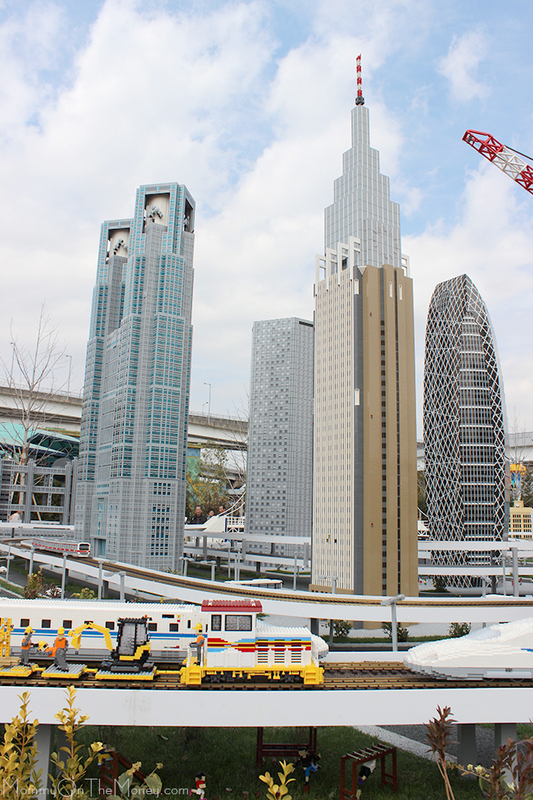 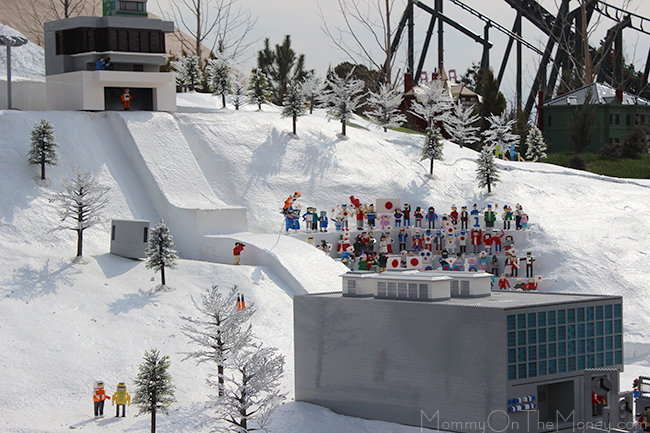 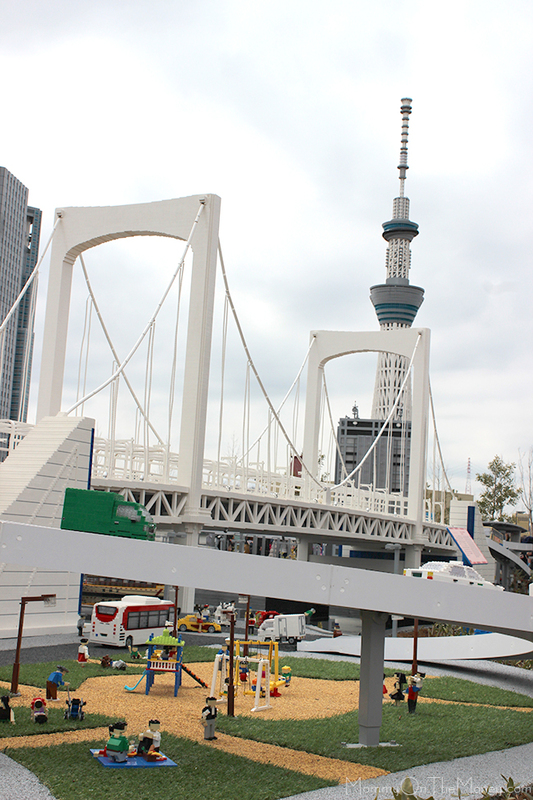 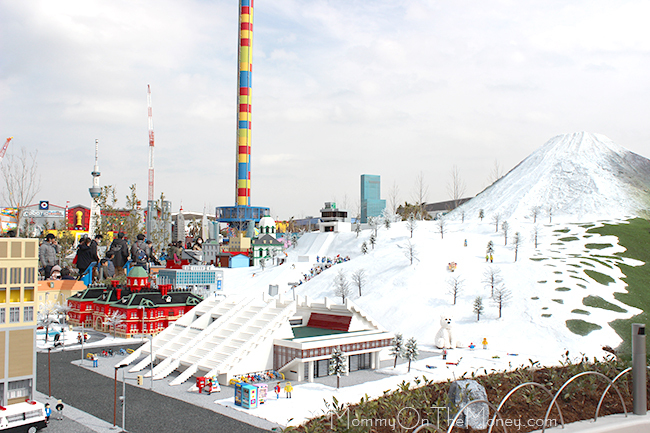 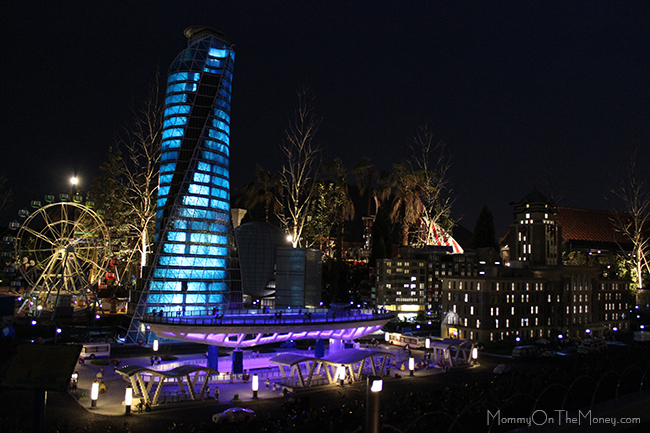 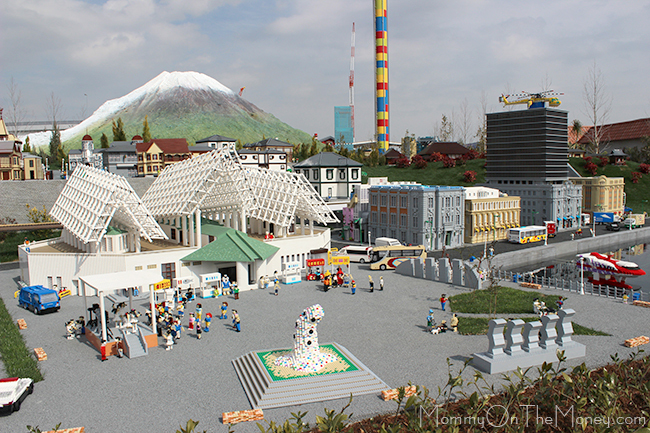 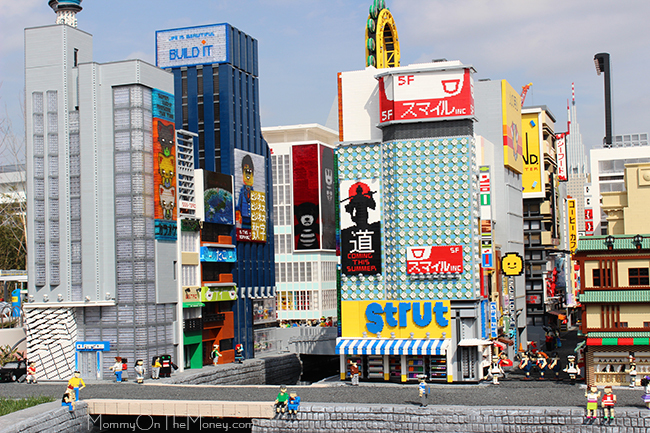 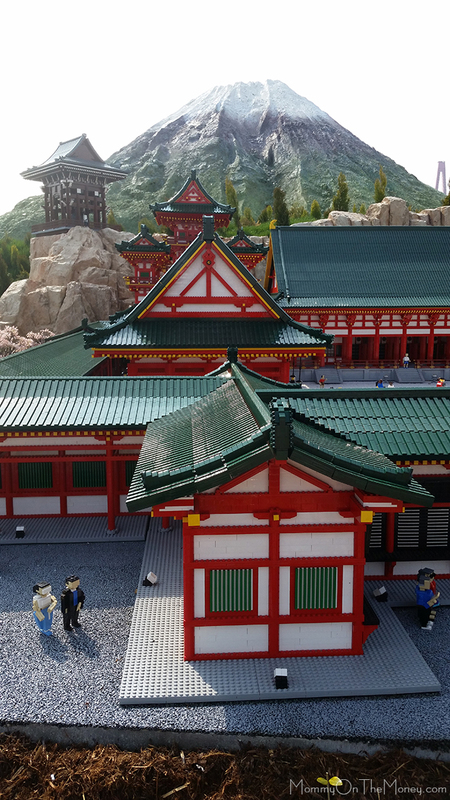 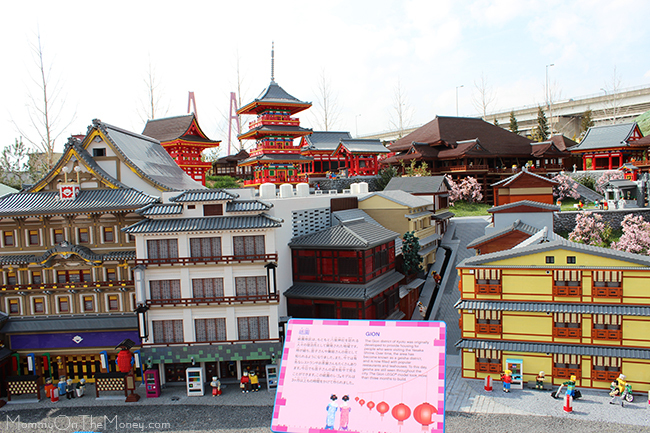 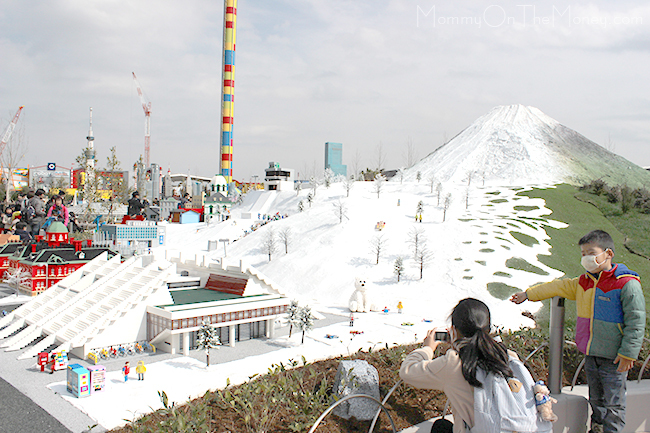 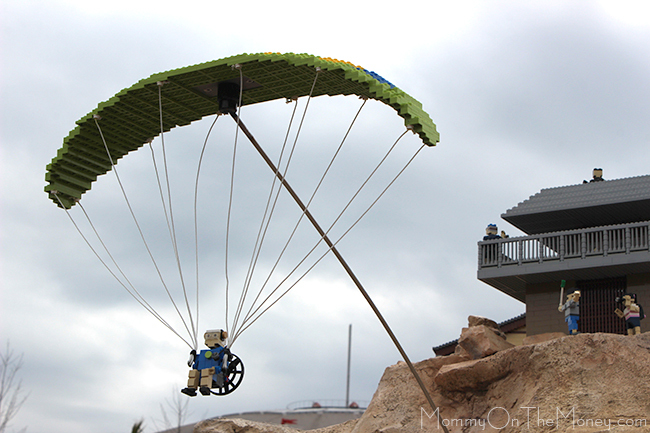 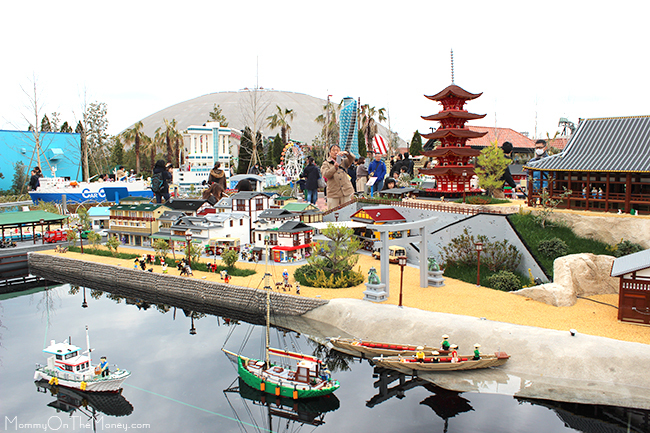 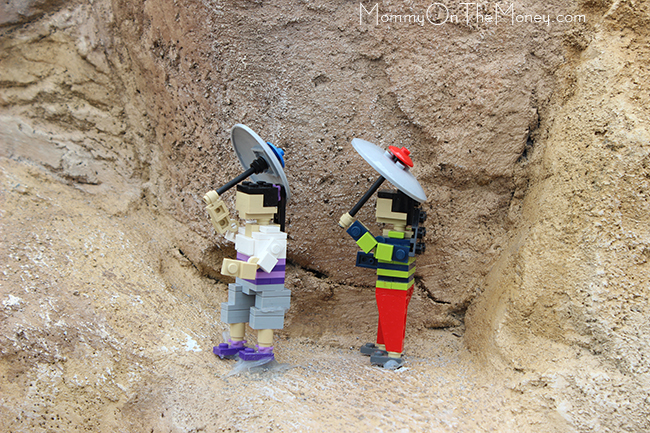 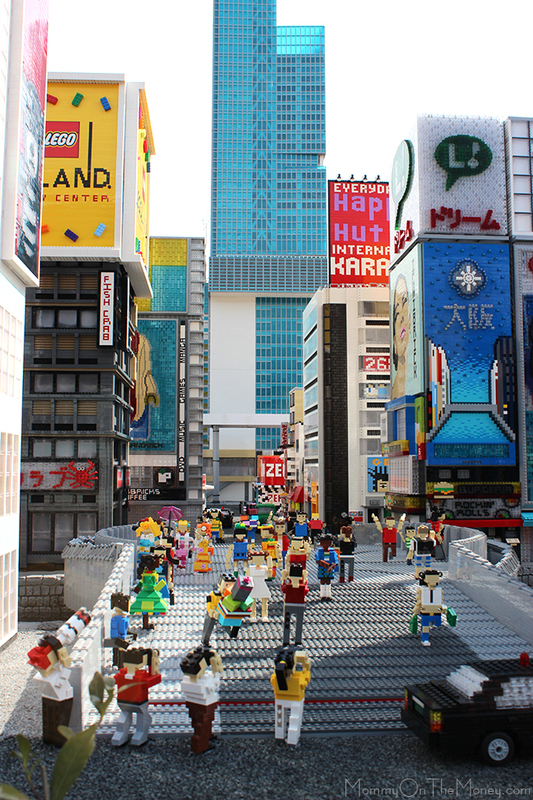 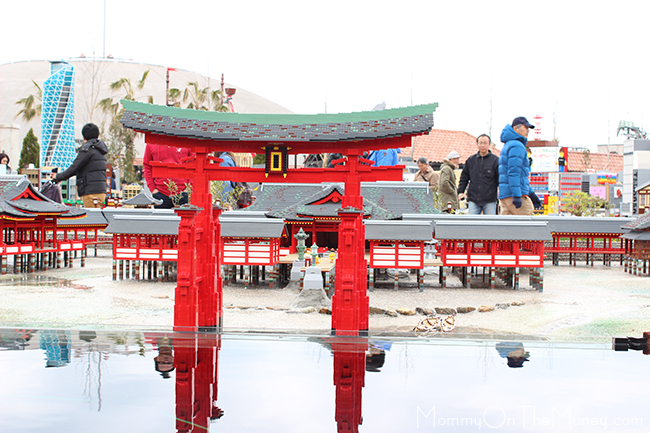 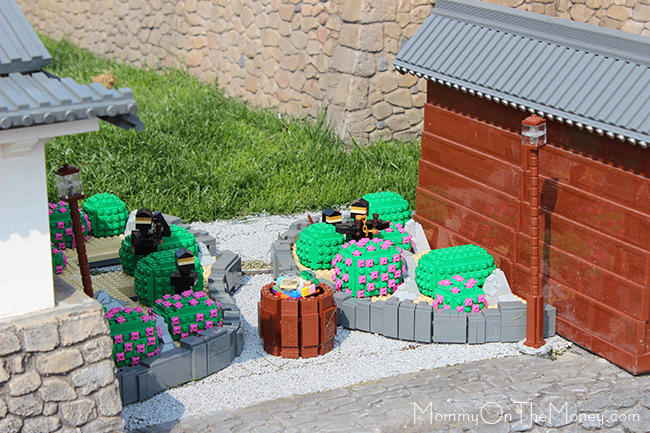 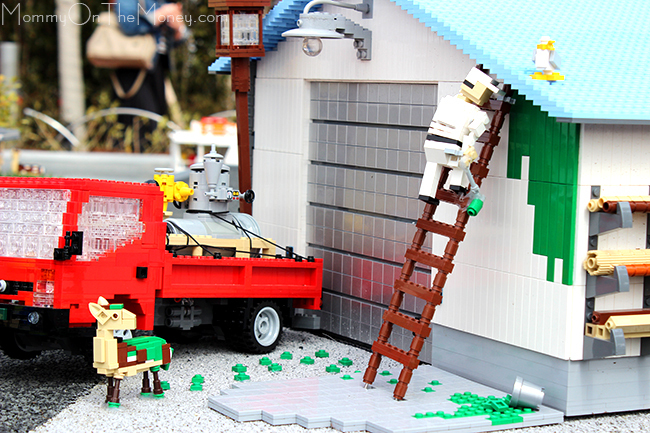 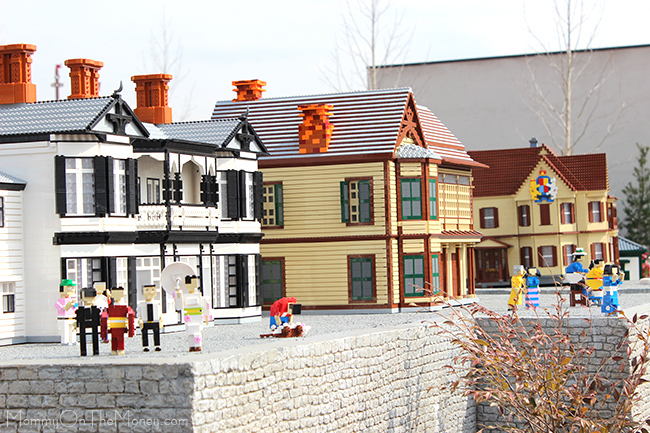 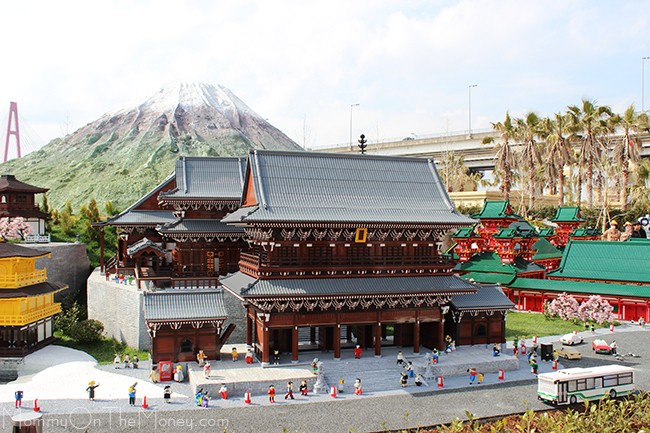 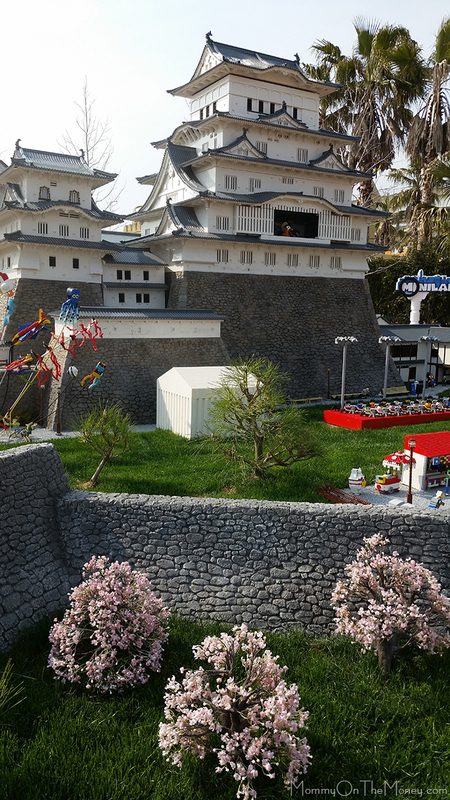 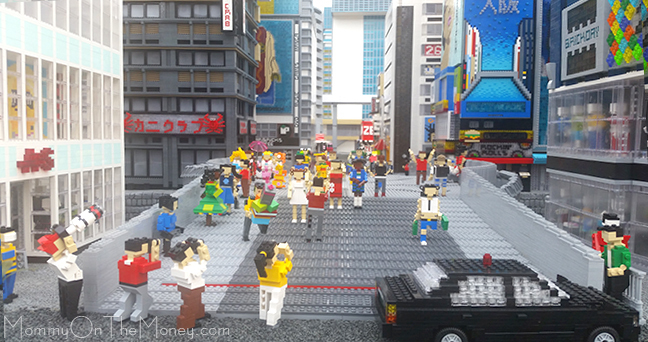 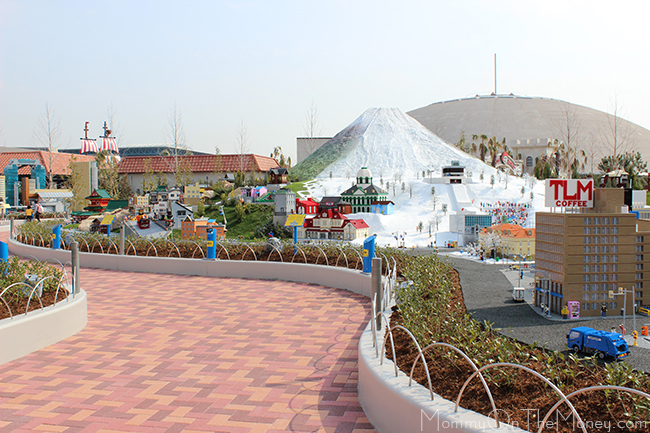 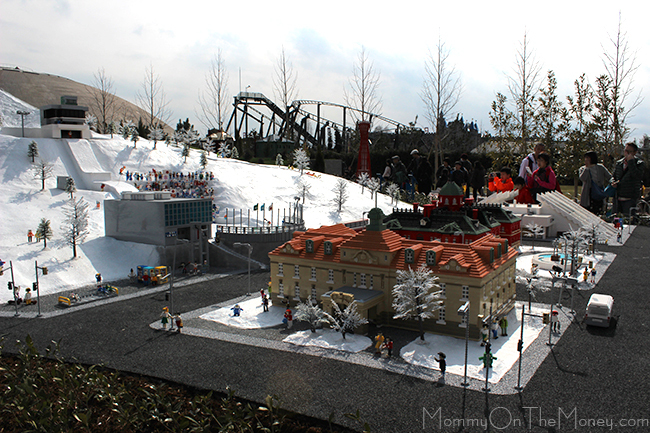 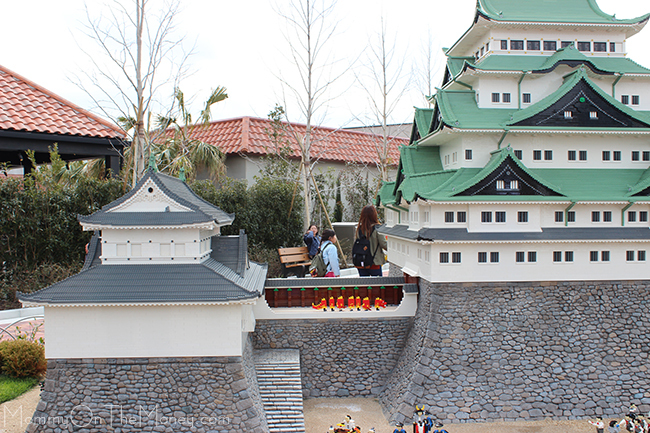 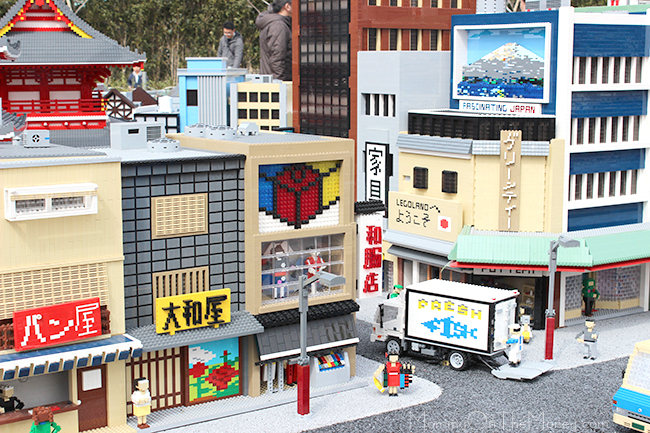 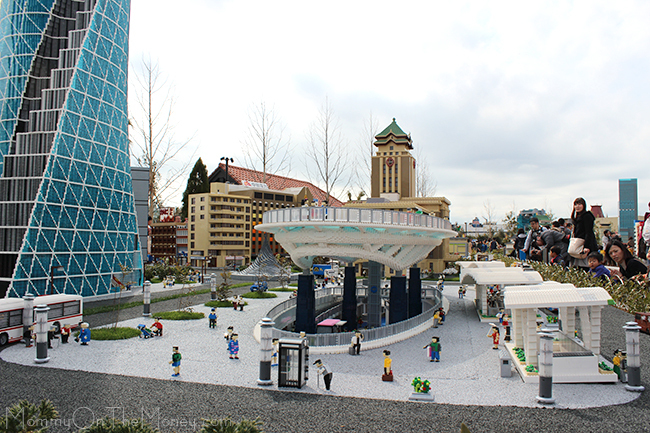 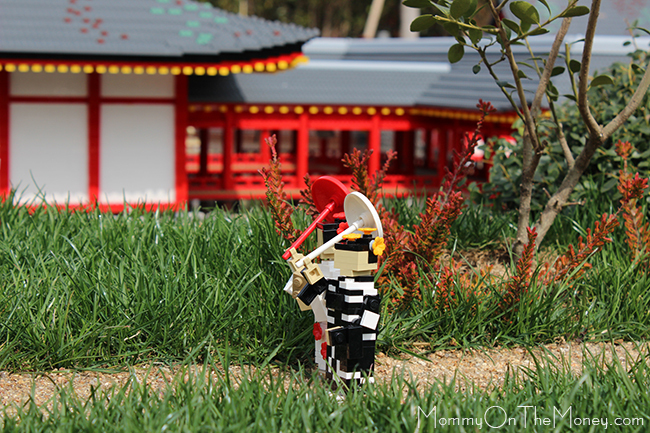 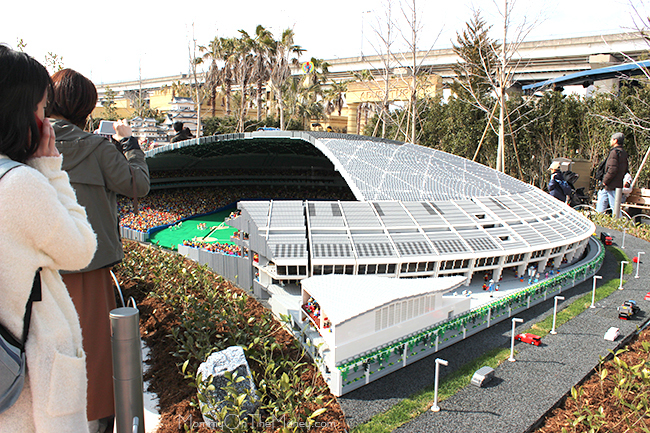 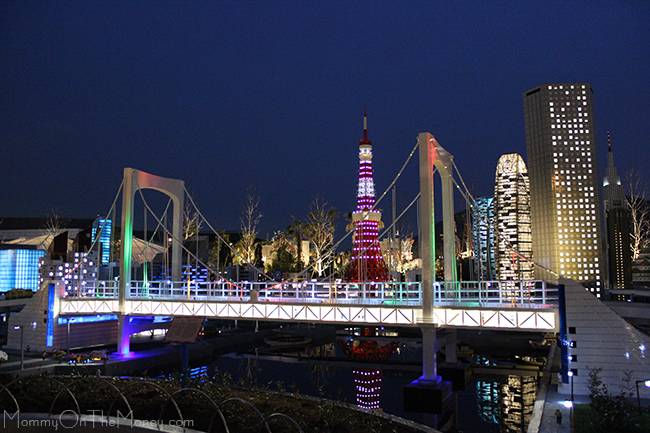 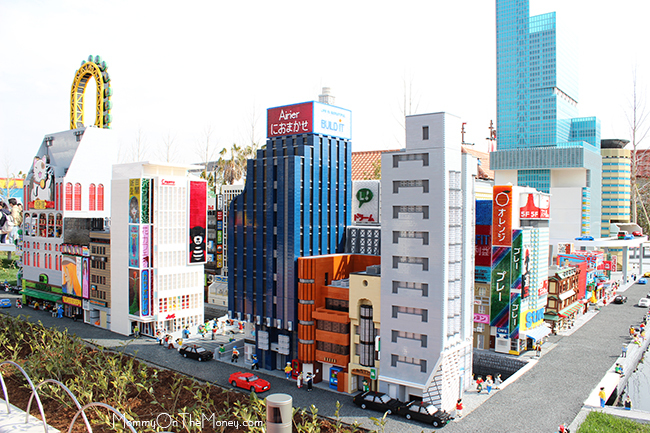 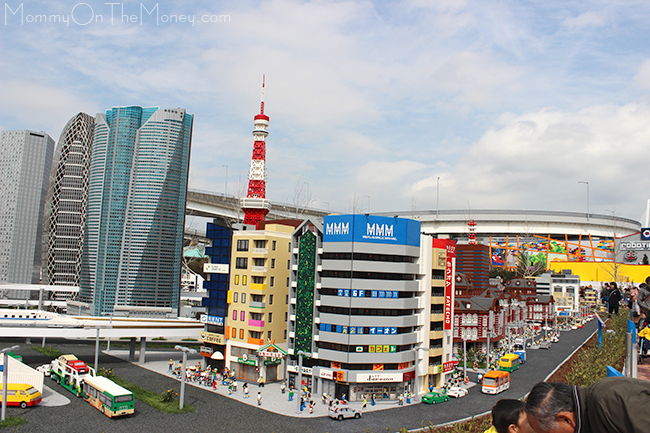 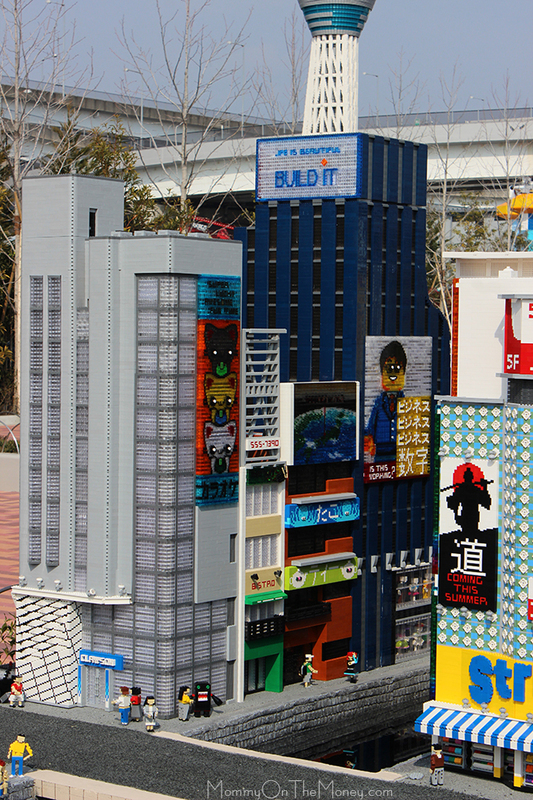 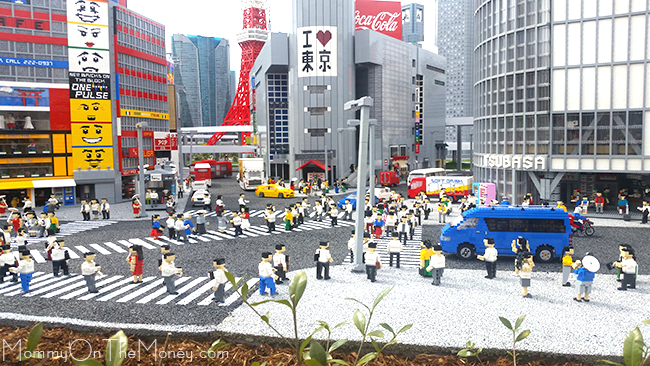 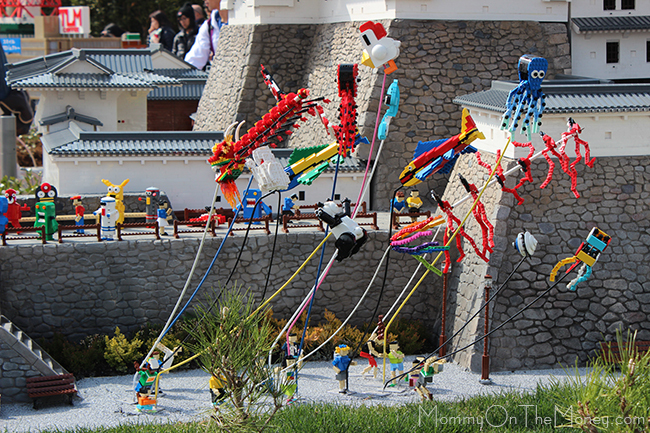 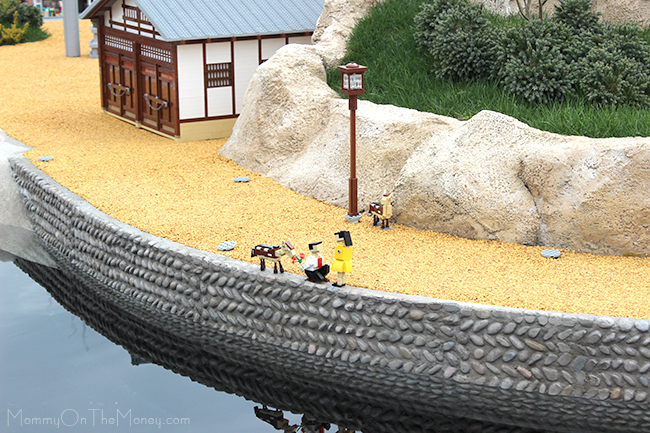 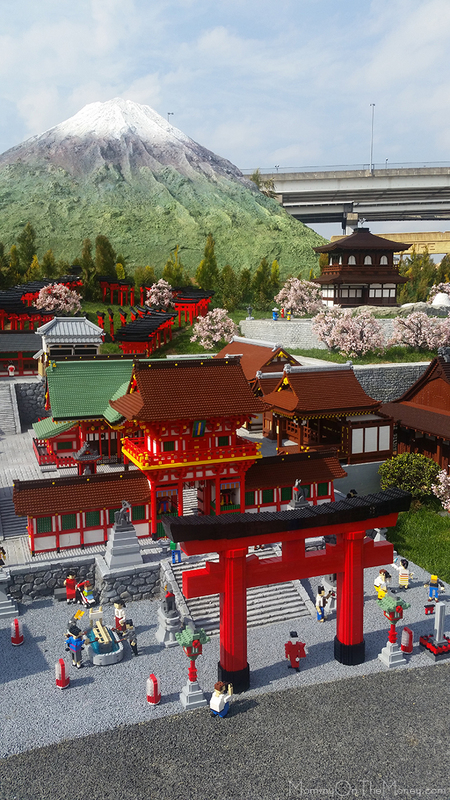 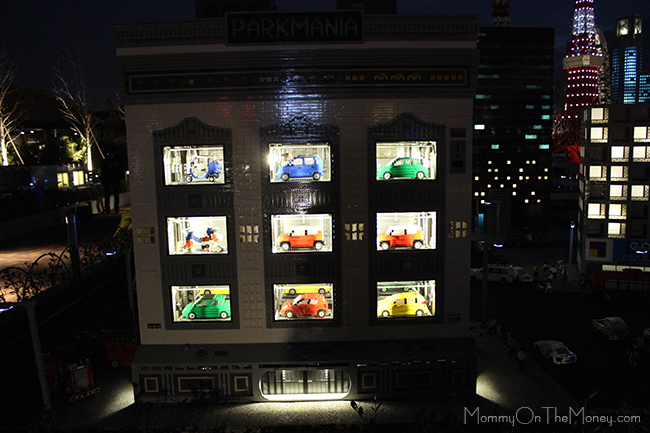 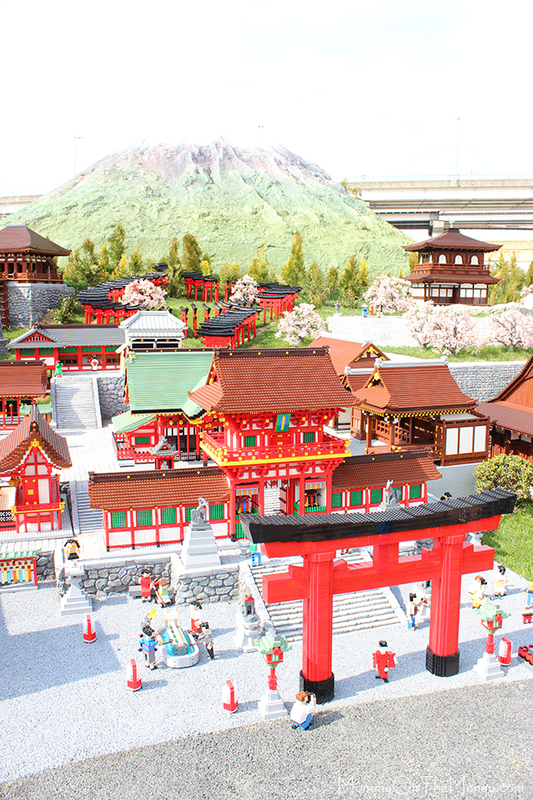 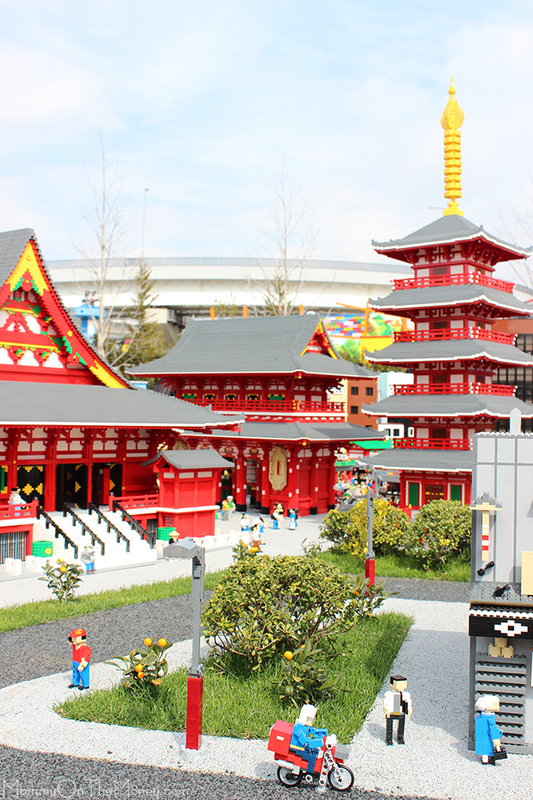 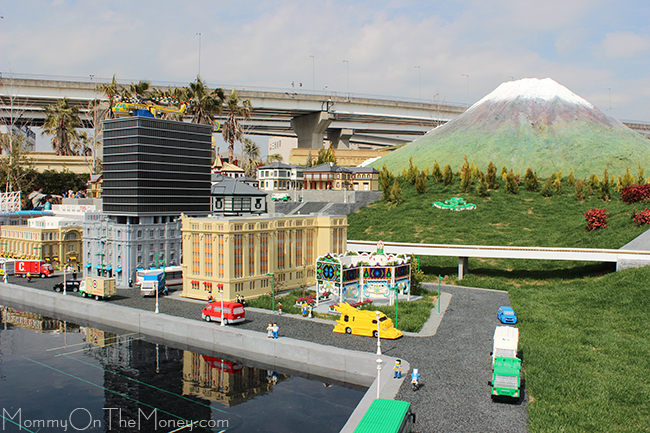 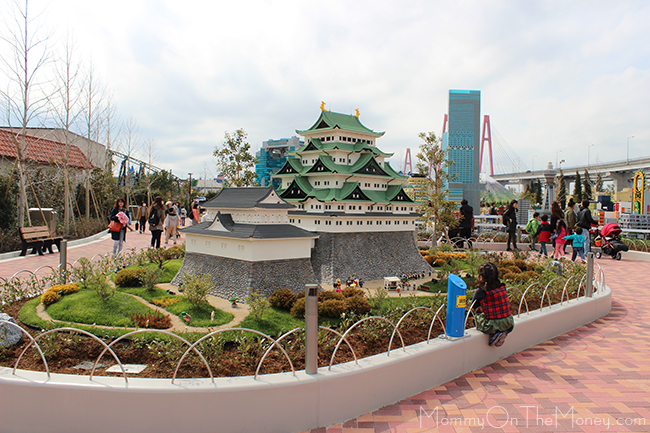 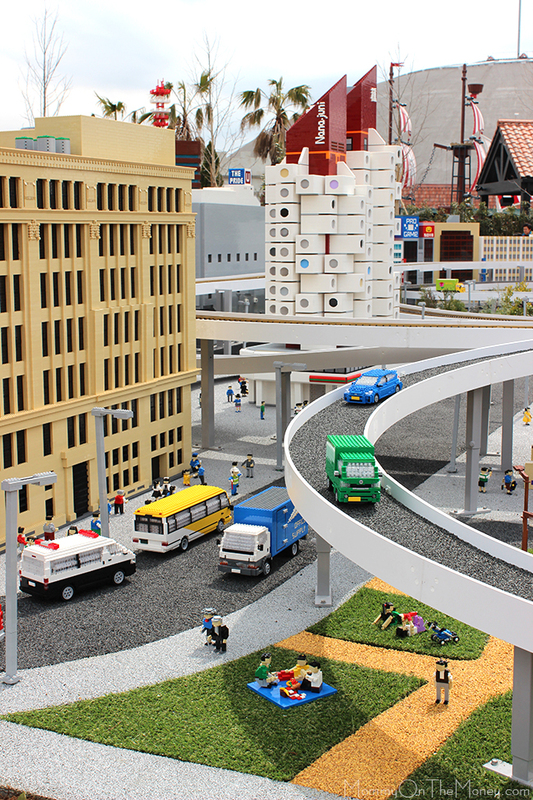 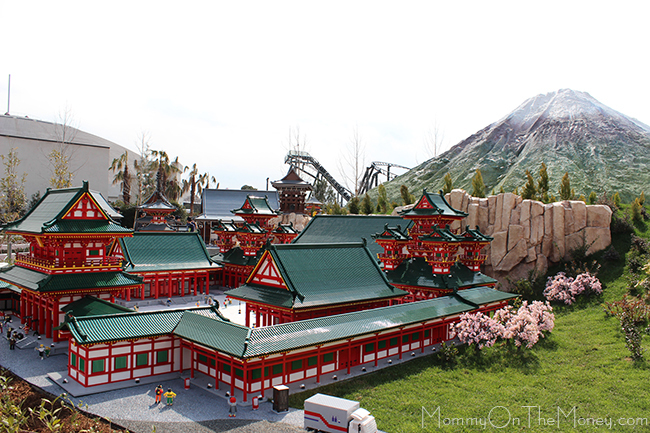 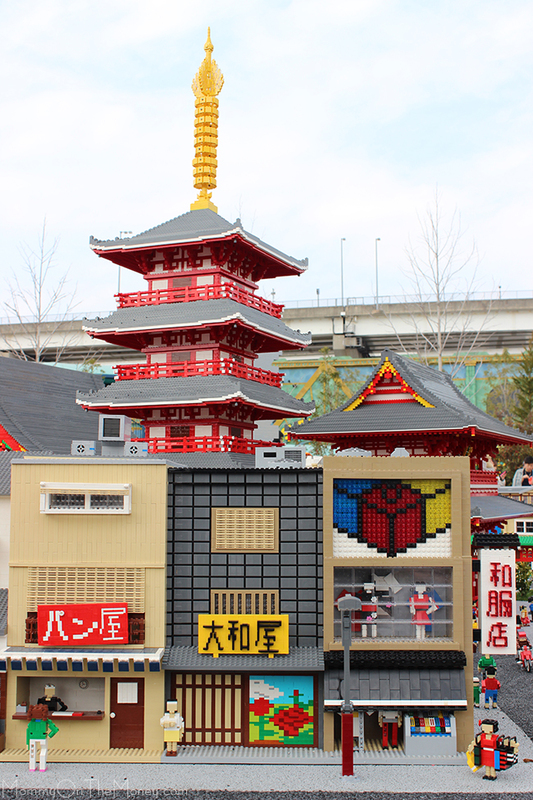 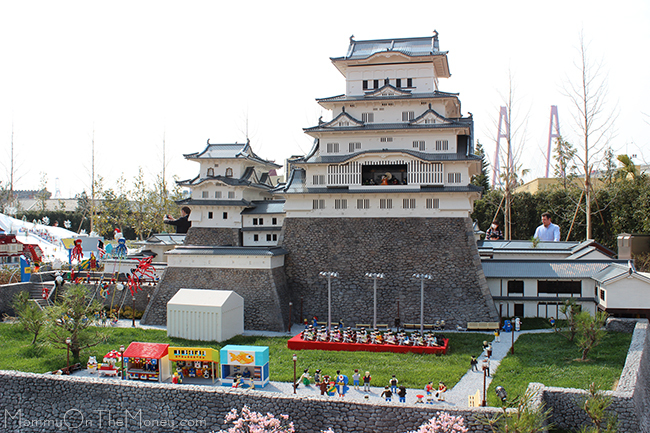 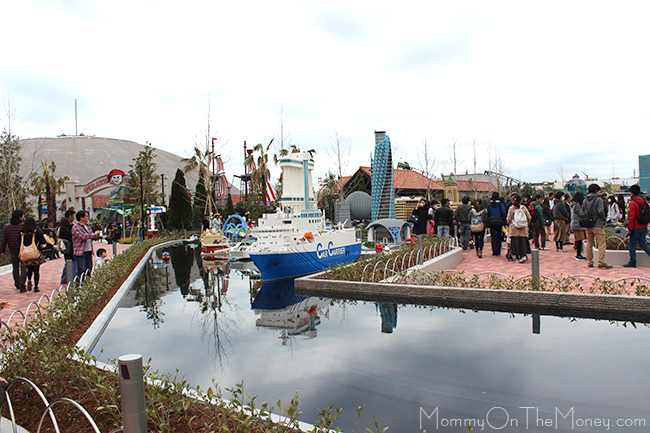 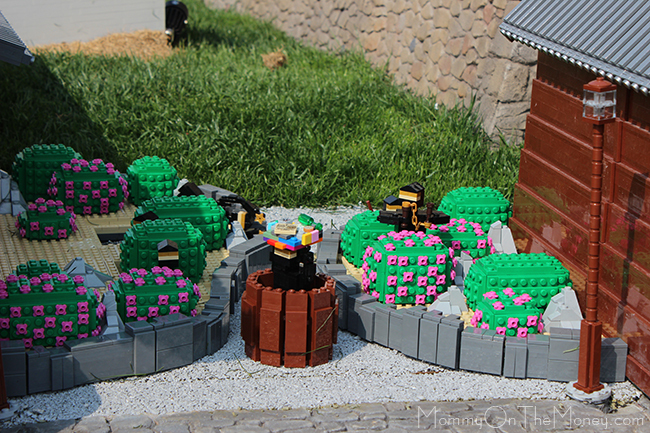 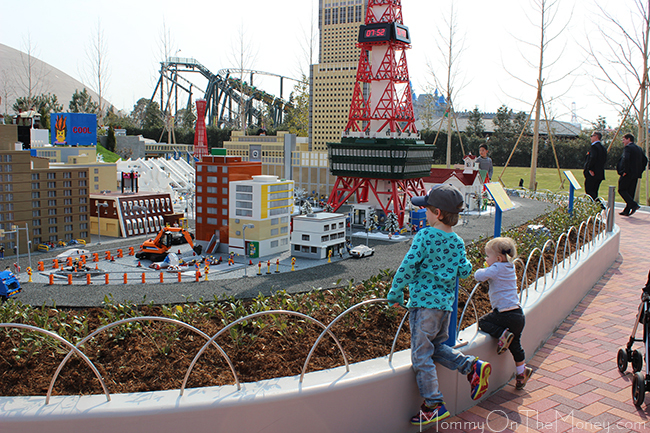 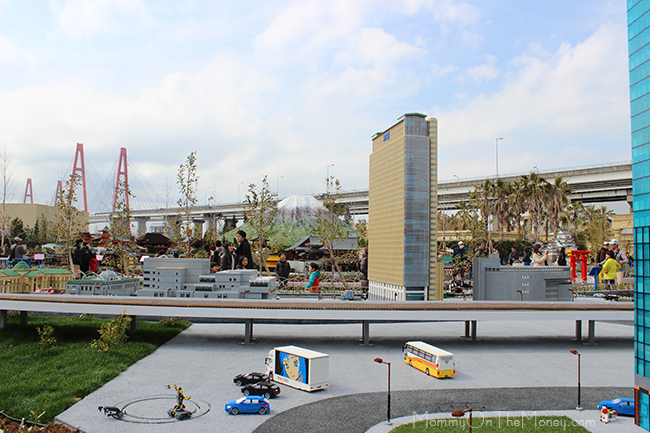 We finally got our LEGOLAND Japan Miniland preview this week and I took a TON of photos. 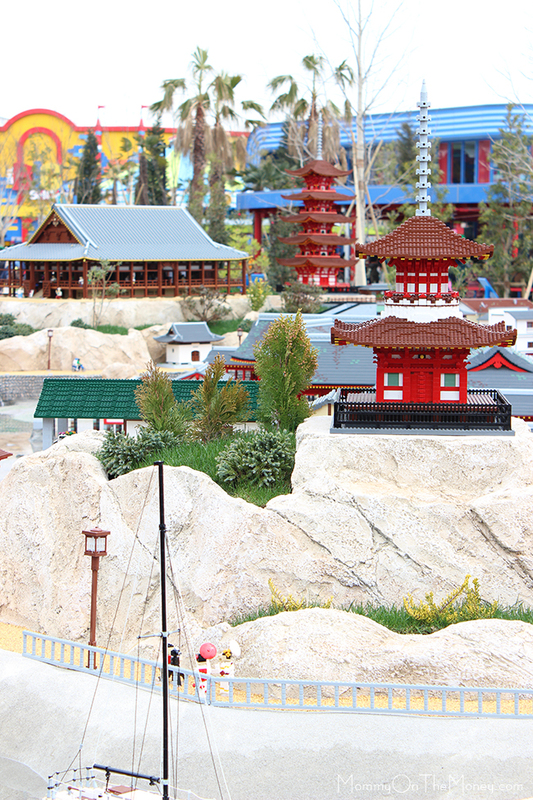 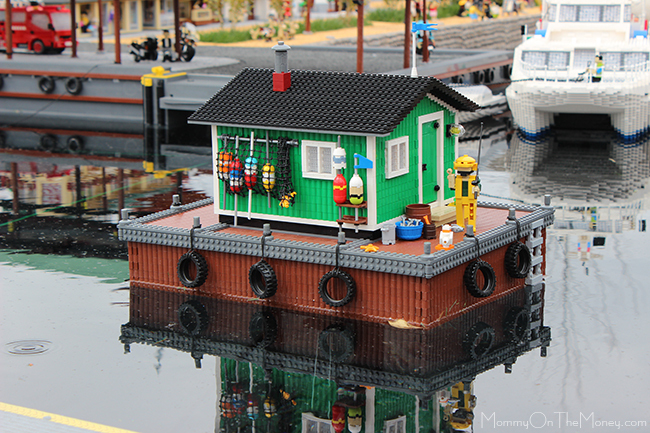 I've been to most of the LEGOLAND parks in the world, now, and my favorite part of all of them is Miniland. 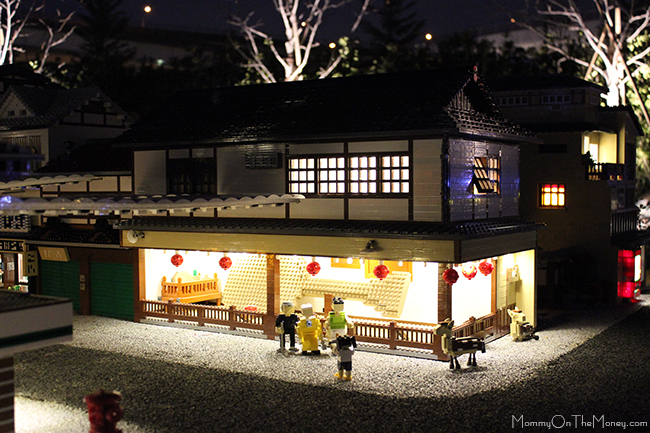 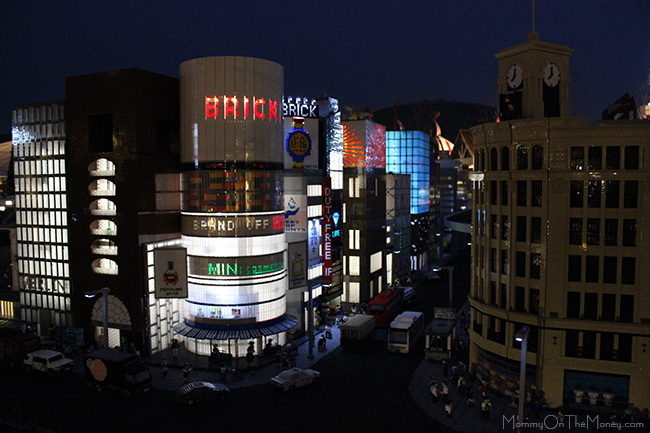 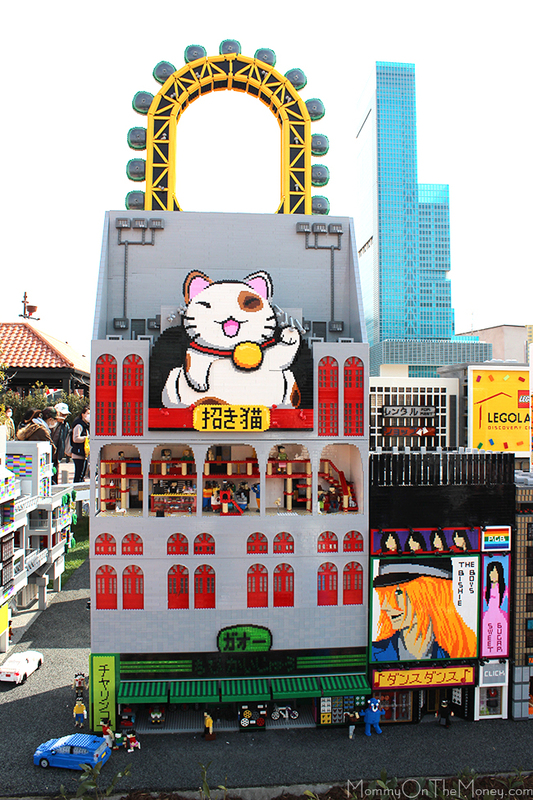 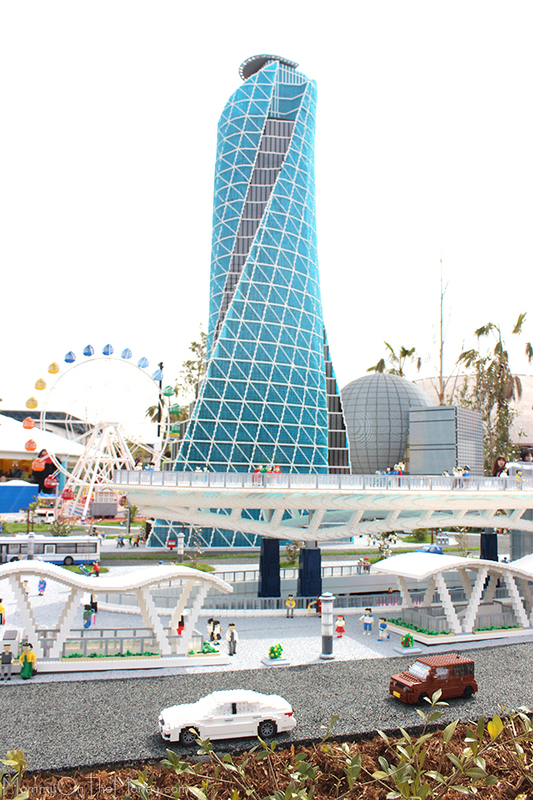 Miniland, for those who don't know is a display of handmade scale models made entirely out of LEGO bricks. 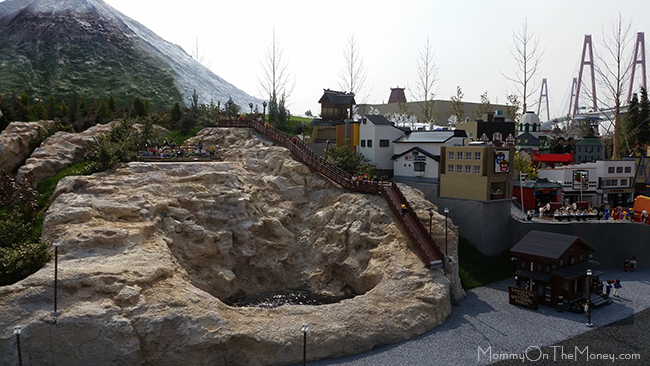 Every Miniland I've ever seen has been impressive, but this particular Miniland may be the best one yet. 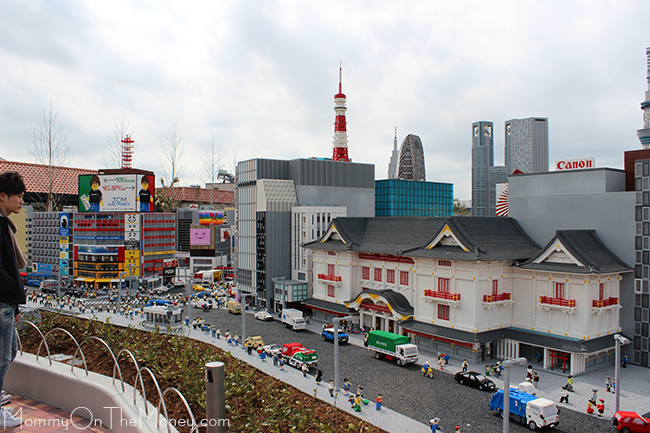 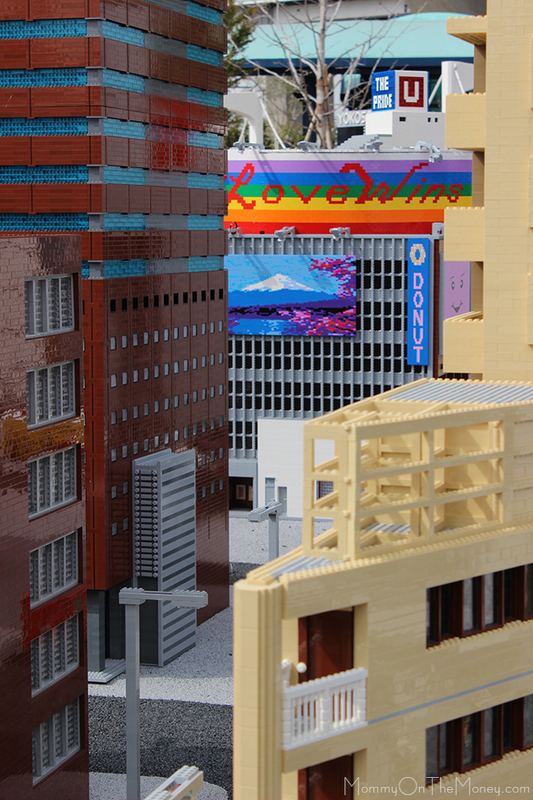 I thought I'd dedicate an entire post to our LEGOLAND Japan Miniland pics. 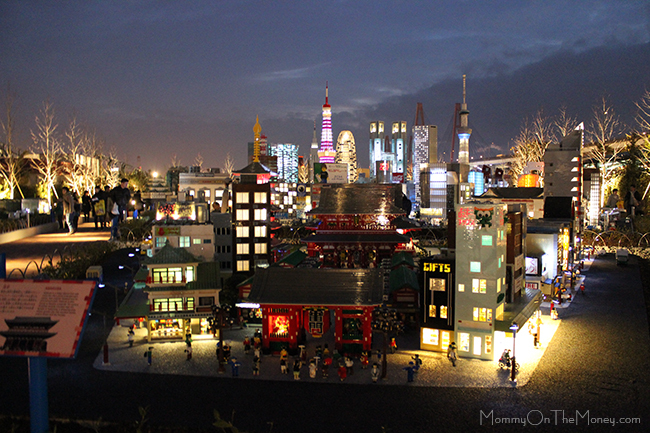 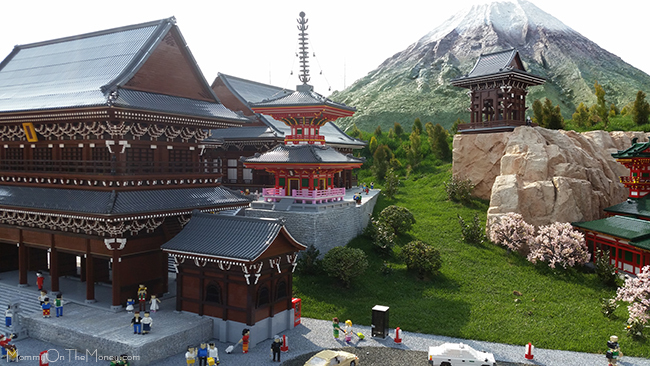 I don't know if it is the fact that every LEGO brick is bright and new or the cities and landmarks in Japan just beg to be build out of LEGO, but I found Japan Miniland absolutely stunning. 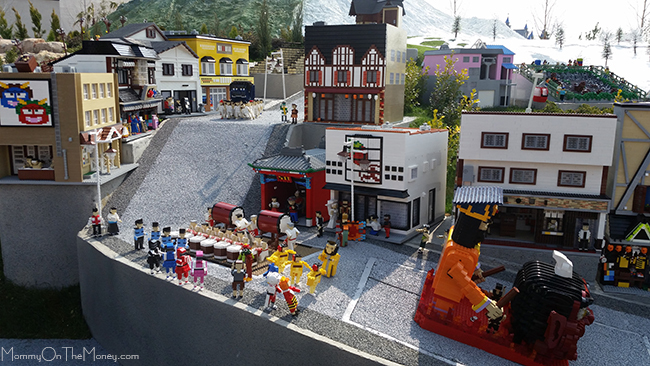 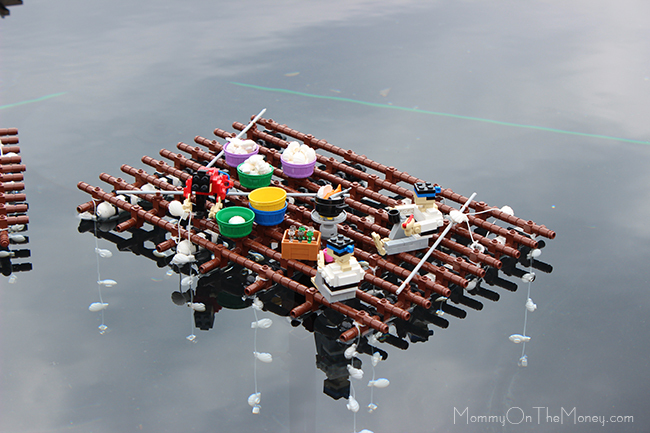 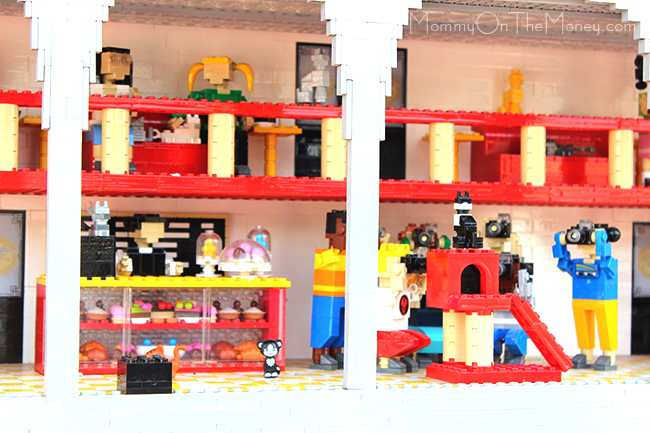 The layout was well-done, the juxtaposition of LEGO models, landscape, and rock-work worked beautifully to show off all the LEGO designers' stellar work, and of course everything was cute, colorful, interesting, and fun. 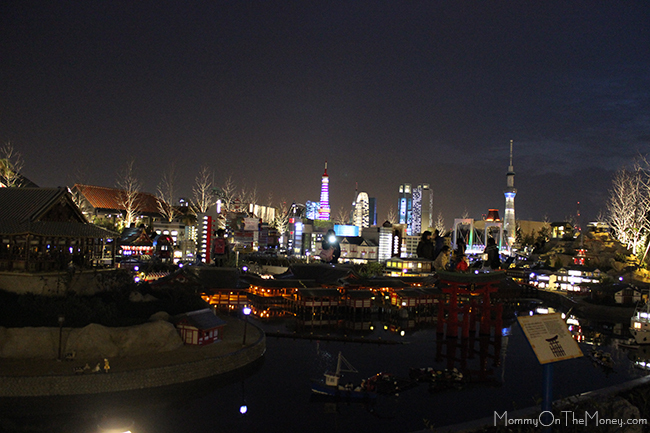 My husband has spent much of the last year or so working on the details of this area as the Project Manager and I am so proud of what he has done to make Miniland so special. 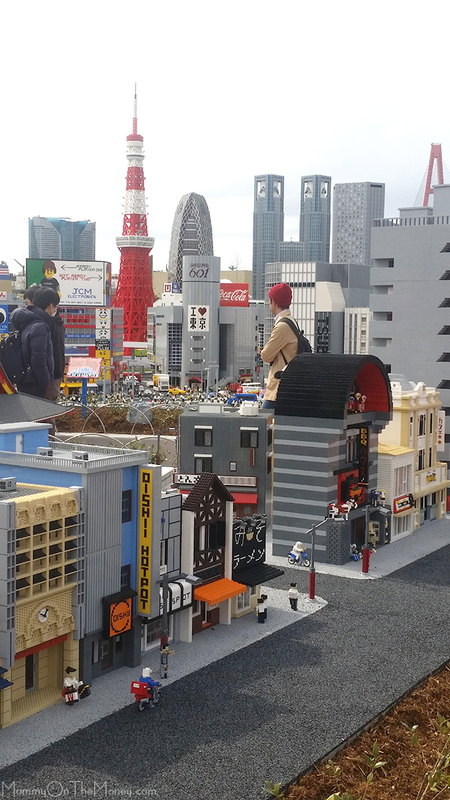 If you don't ever get to see it, I will try to share as much as possible in this post and maybe a few more before we all finally leave Japan in a few weeks. 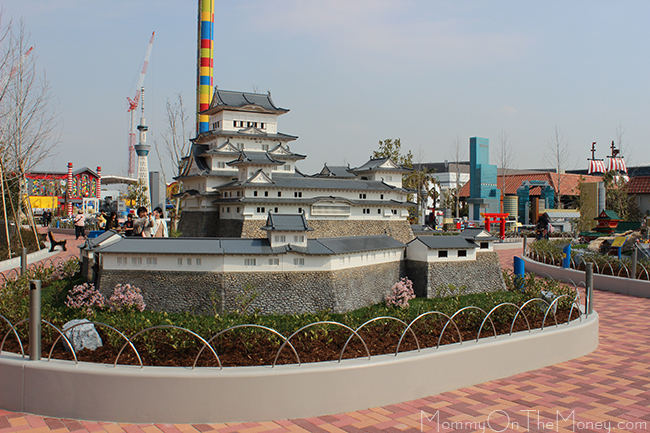 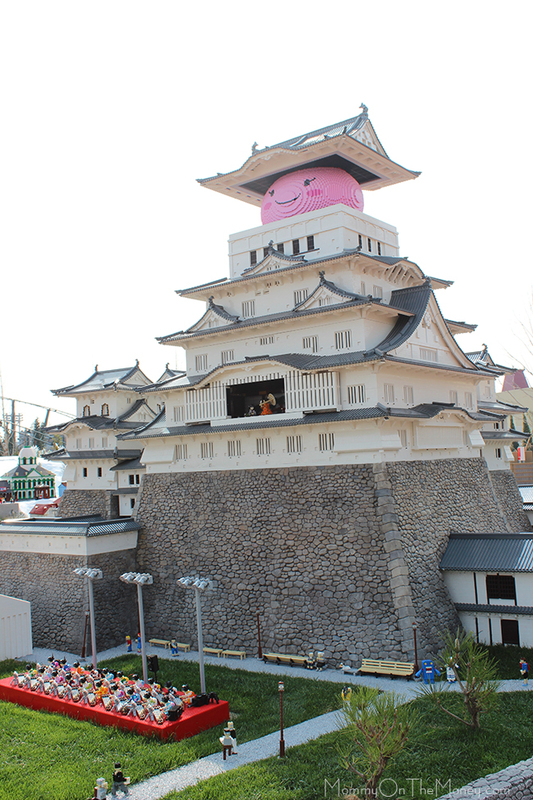 Before the big LEGOLAND Japan Minland picuteres dump, a little personal plug... 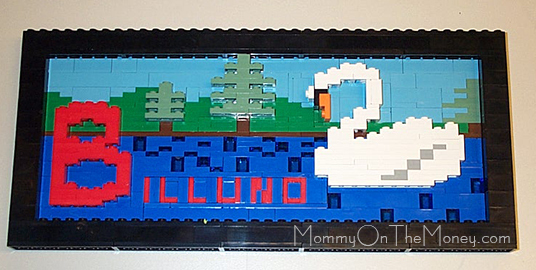 I was very surprised and super stoked to see that this design that I created many years ago for a sign representing Billund, Denmark (when I used to be a Master Model Builder - TRUTH!) 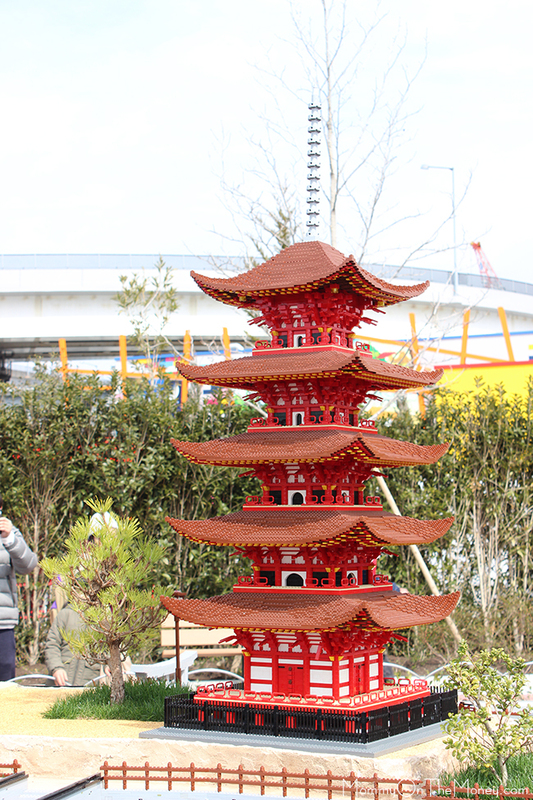 was used in the park. 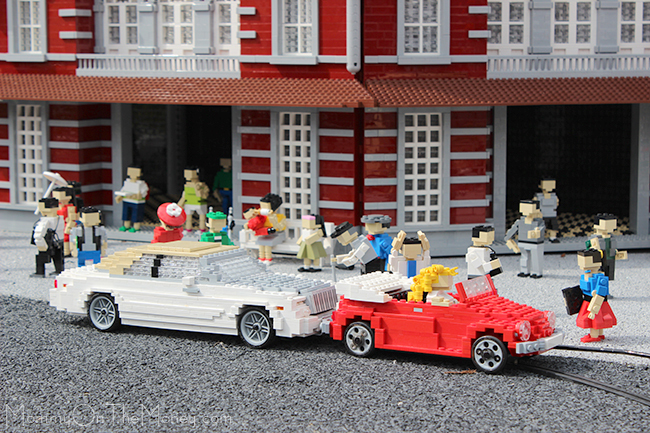 Original very old design by me. 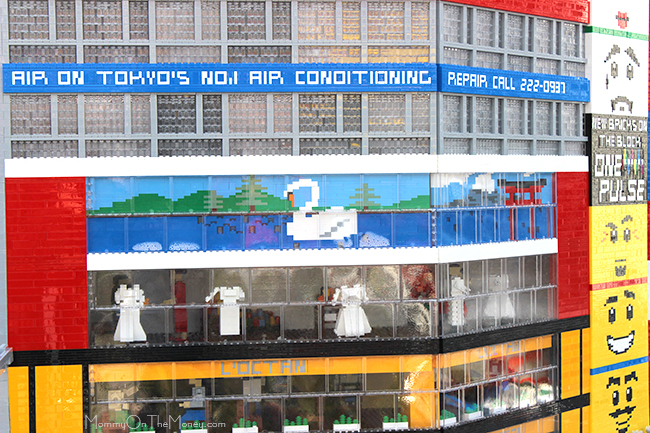 They used my swan design in the window of this department store. 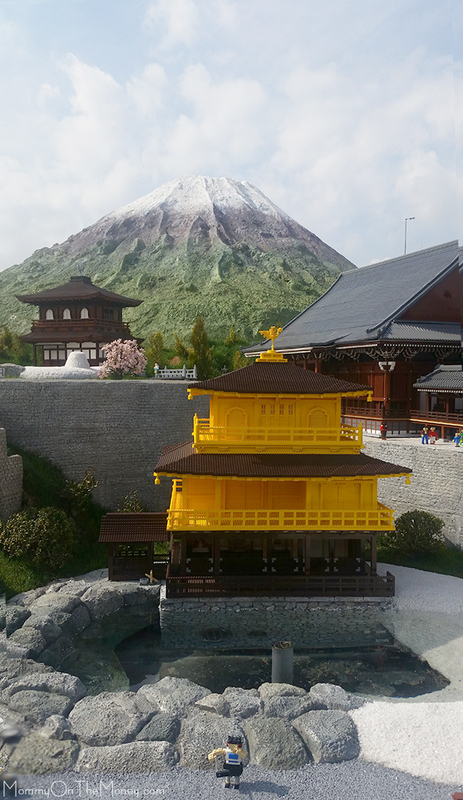 It fit just perfectly and was copied exactly adding Mount Fuji and a torrey gate. 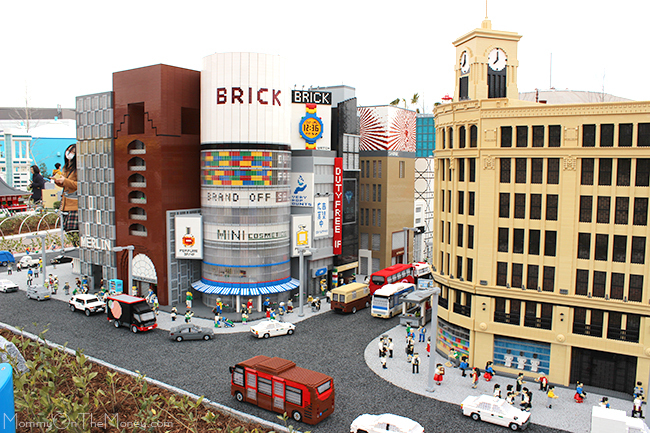 The model below, which I created to depict Windsor, in the UK was also used. 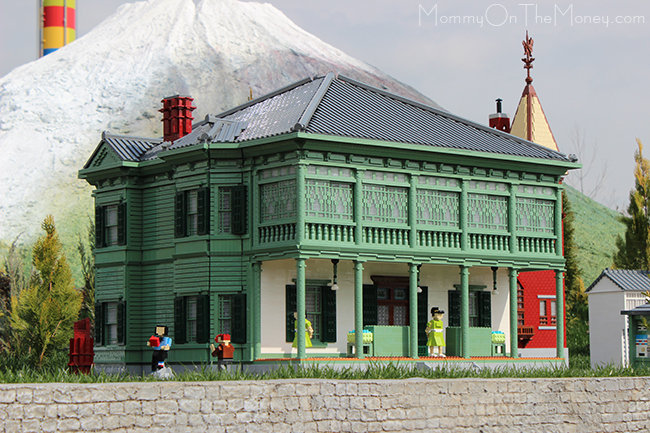 I noticed both designs right away but had to look them up in my files when I got home to be sure. 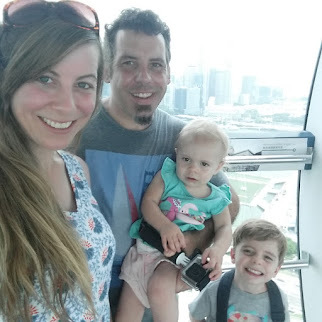 It was a while back! 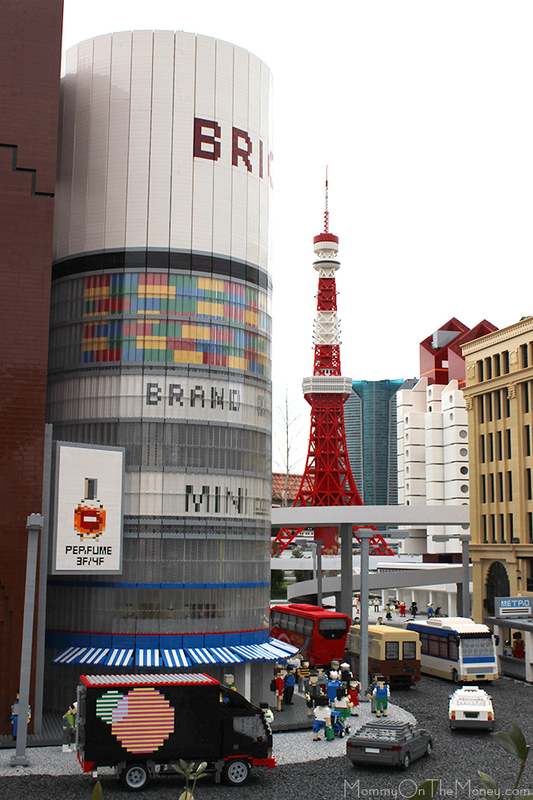 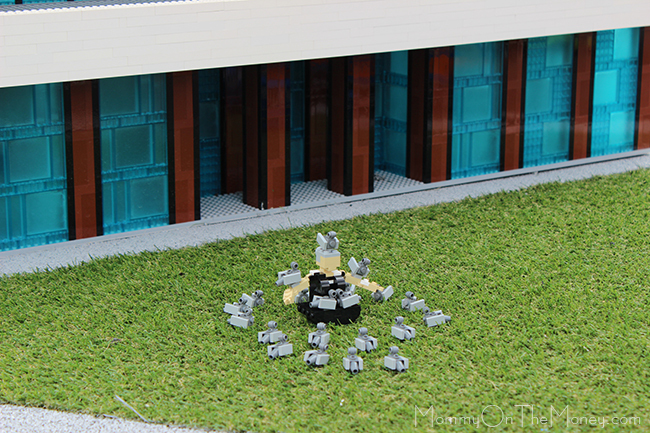 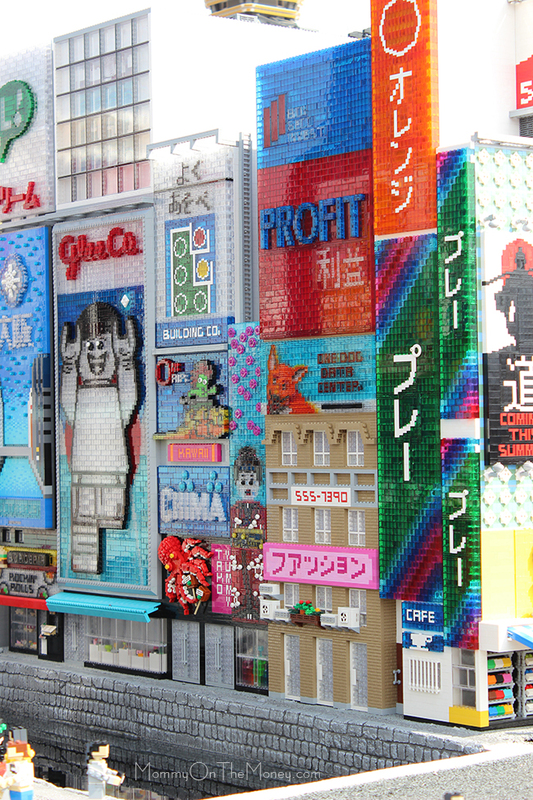 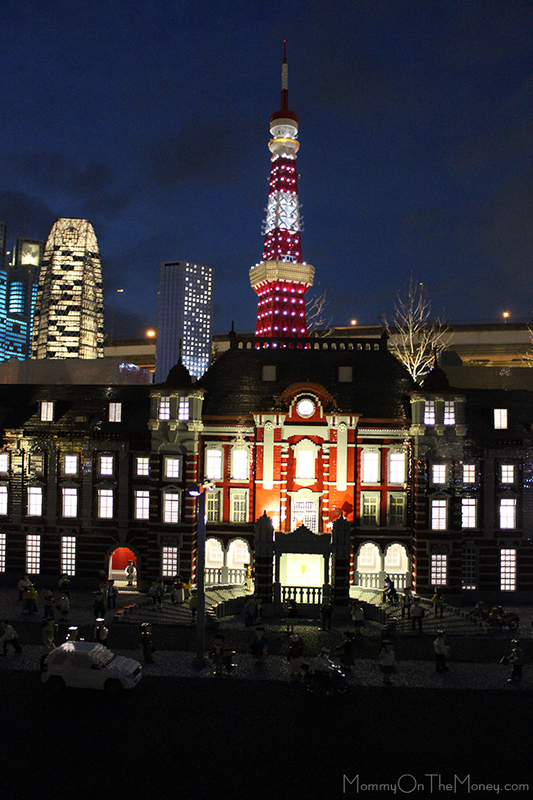 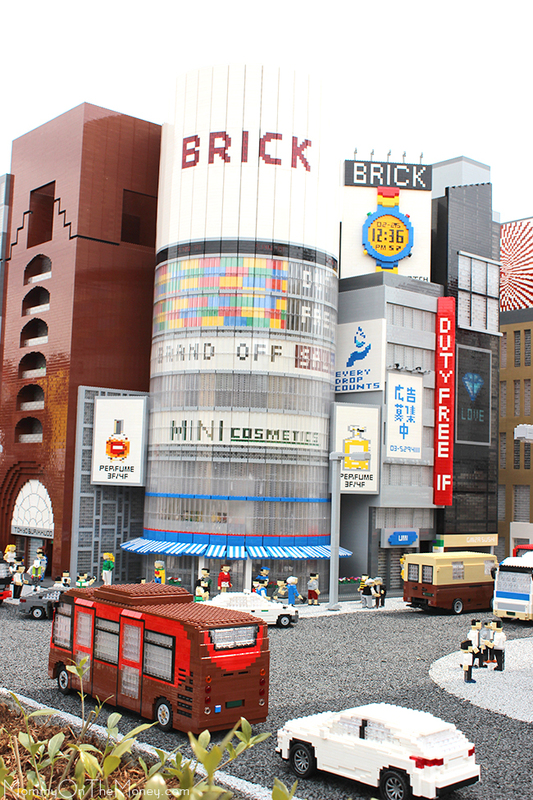 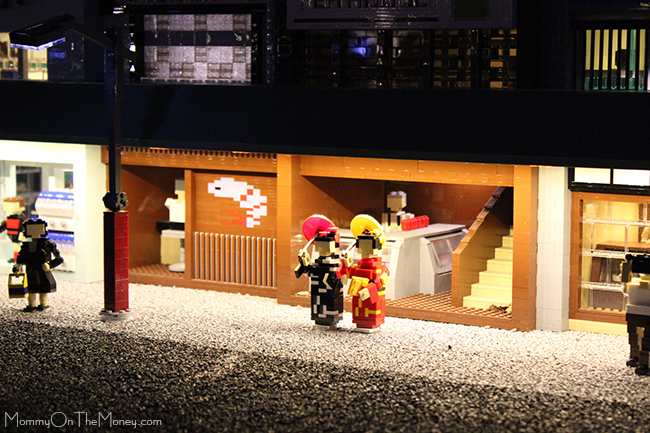 It is kind of touching that there is something tiny that I designed out on display here in Miniland Japan. 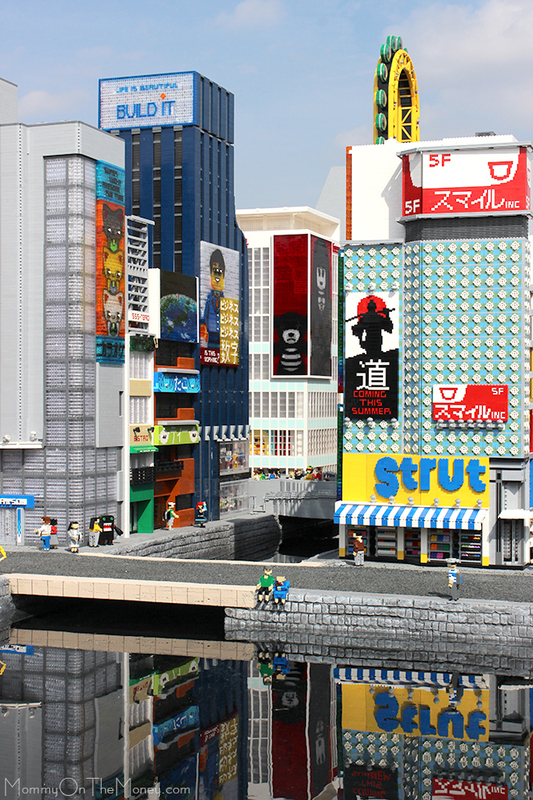 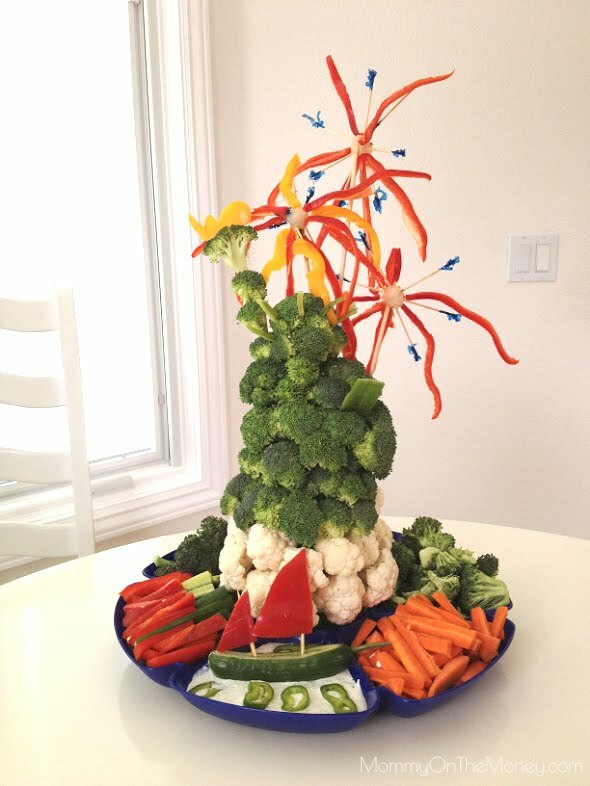 This was a total surprise. 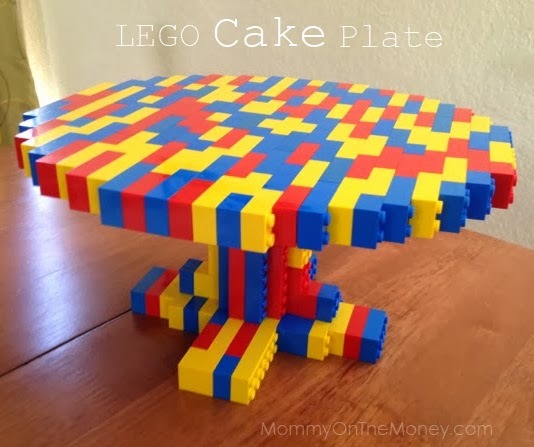 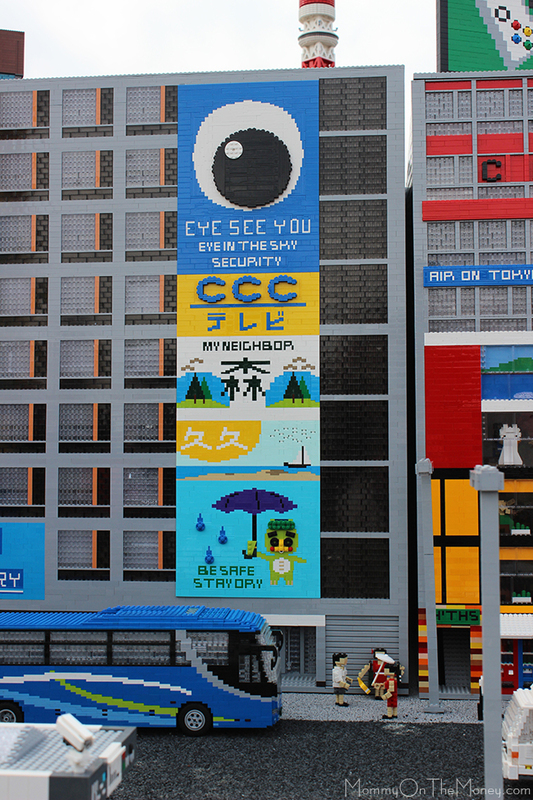 I'm sure the person that used these designs had no idea who originally created the LEGO artwork, but it is much more meaningful to me than they will ever know... 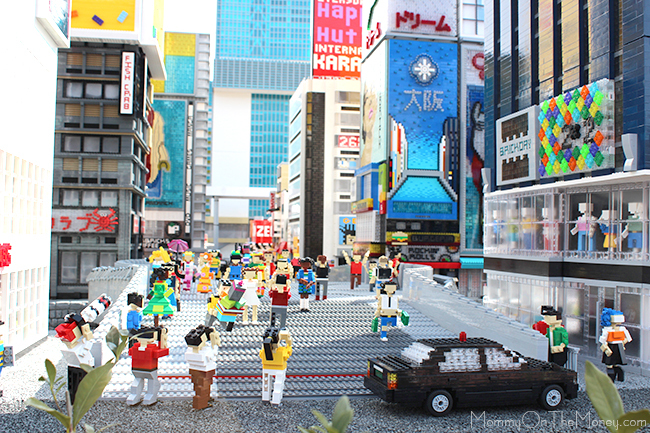 I'll have to look around and see if there is anything else. 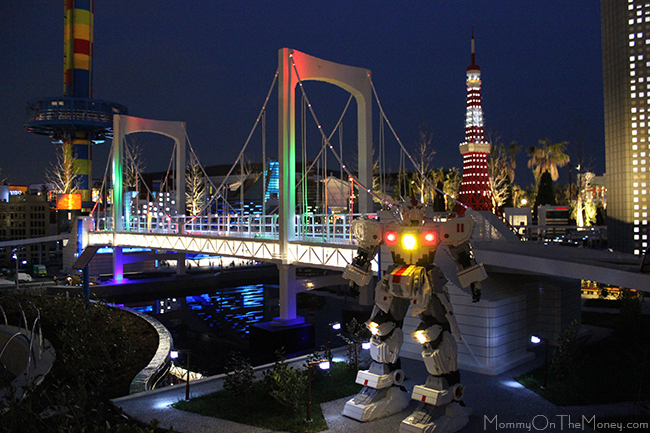 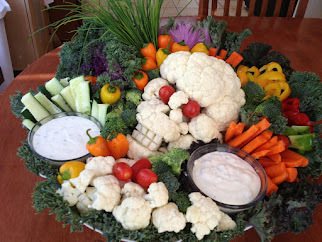 I'm not going to divide all the pictures up right now. 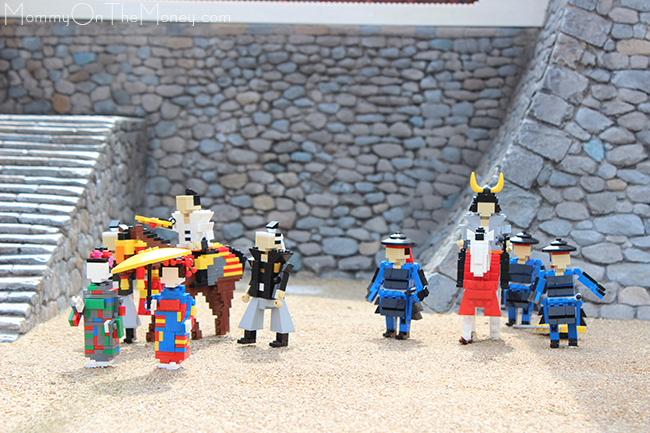 I started to but maybe in a future post or perhaps I will come back and edit this one because I'm too short on time and stretched to my limits right now. 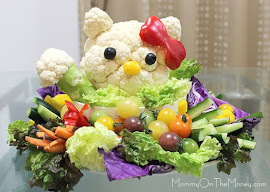 I really just wanted to get all these pictures out there for all of you to enjoy and don't want to lose my beauty sleep. 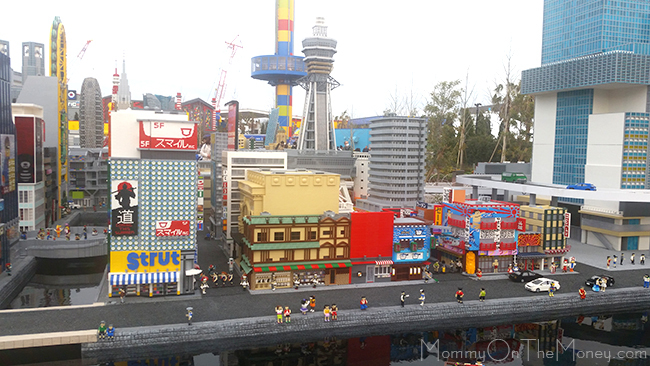 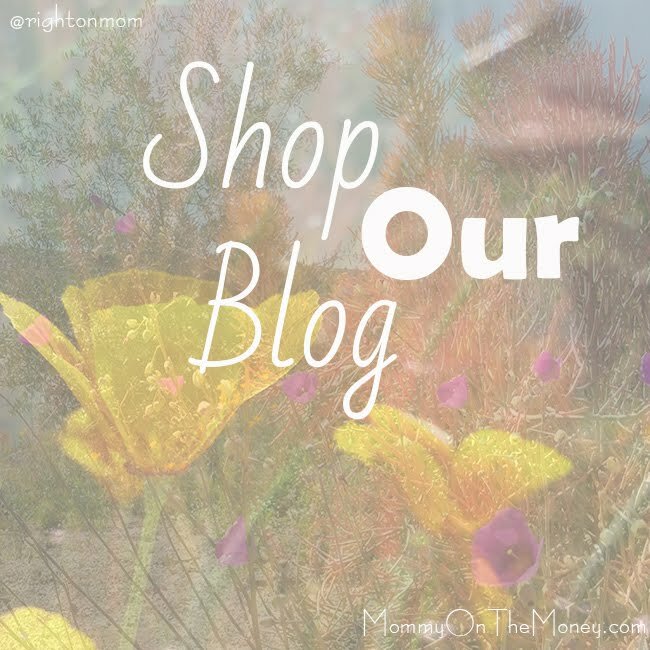 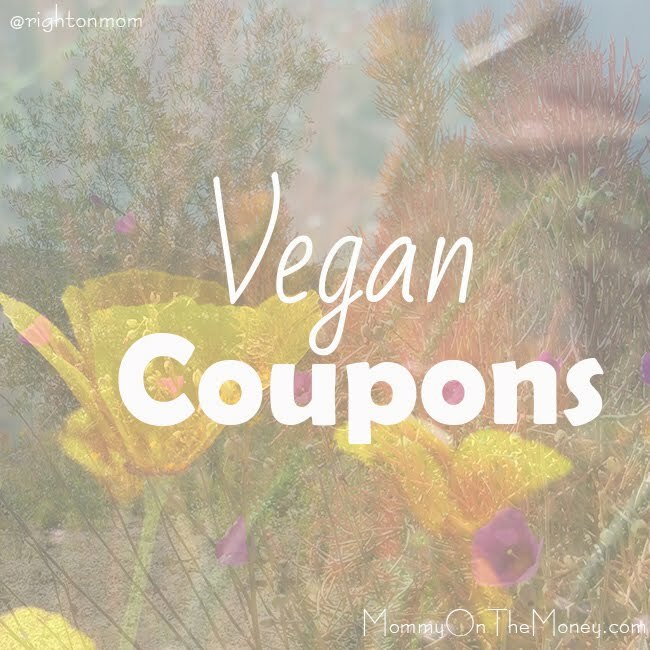 There is also a VIDEO at the very end of this post if you want to check it out, just scroll all the way down. 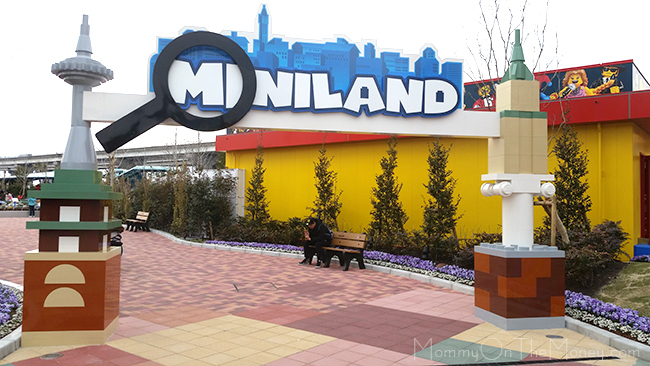 You can get into Miniland right from the beginning of the park but there are several entrances/exits. 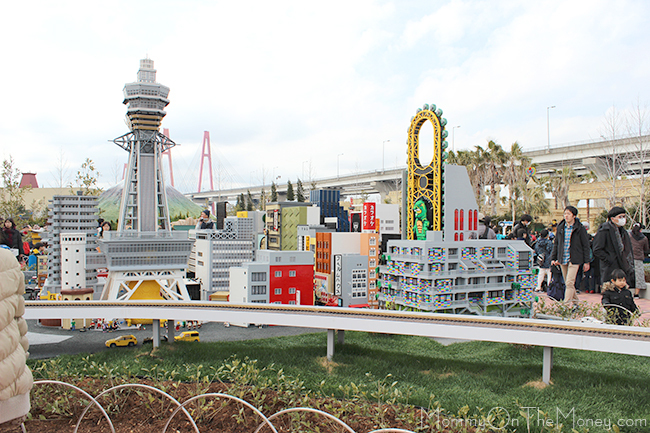 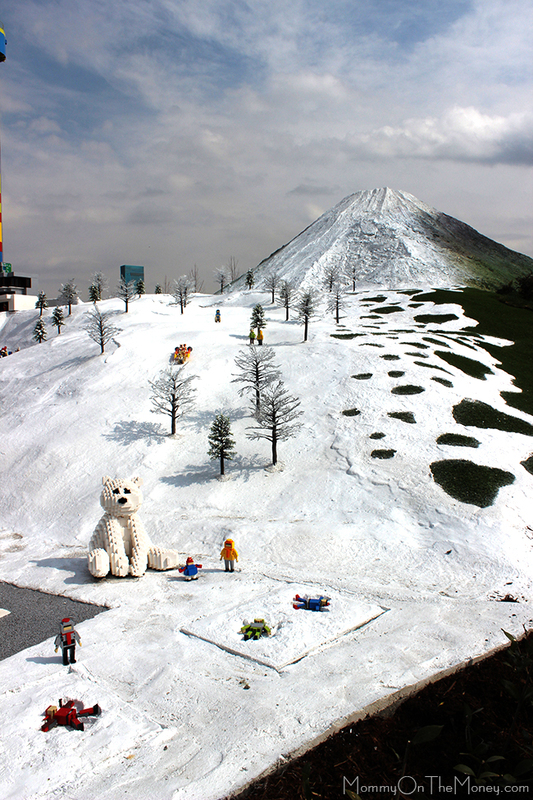 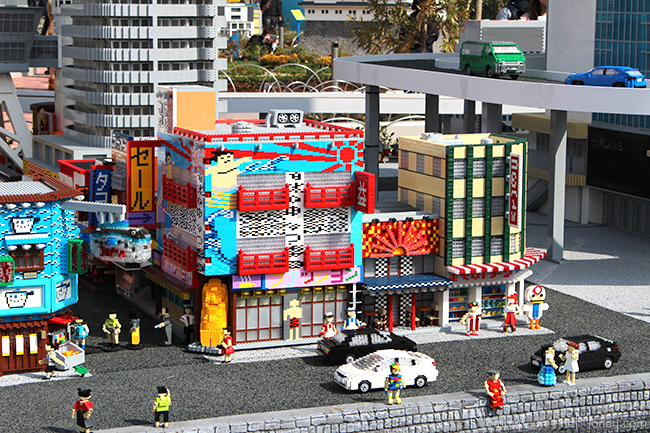 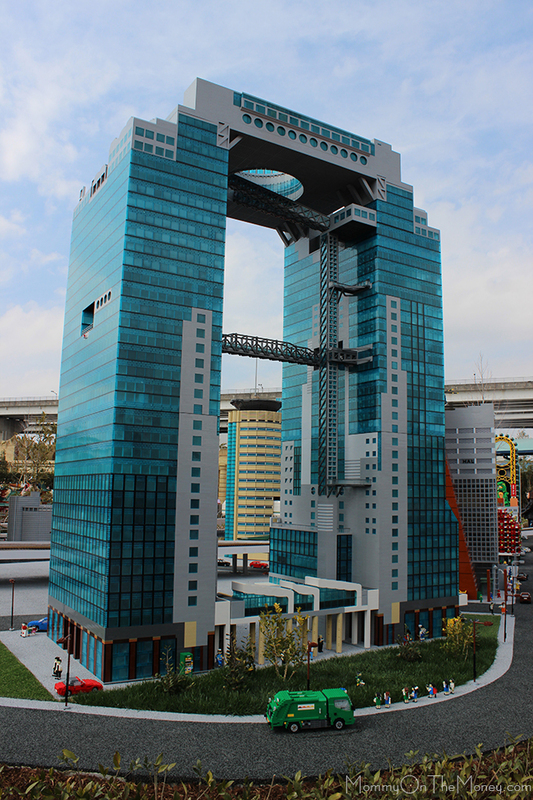 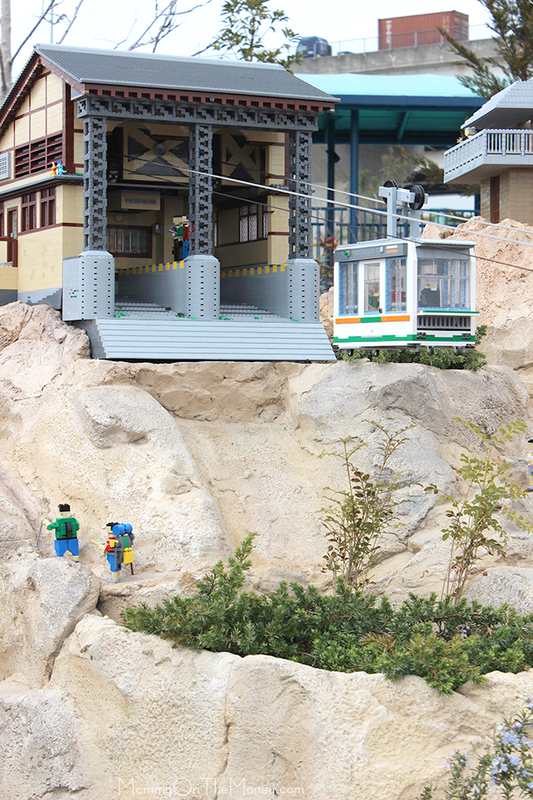 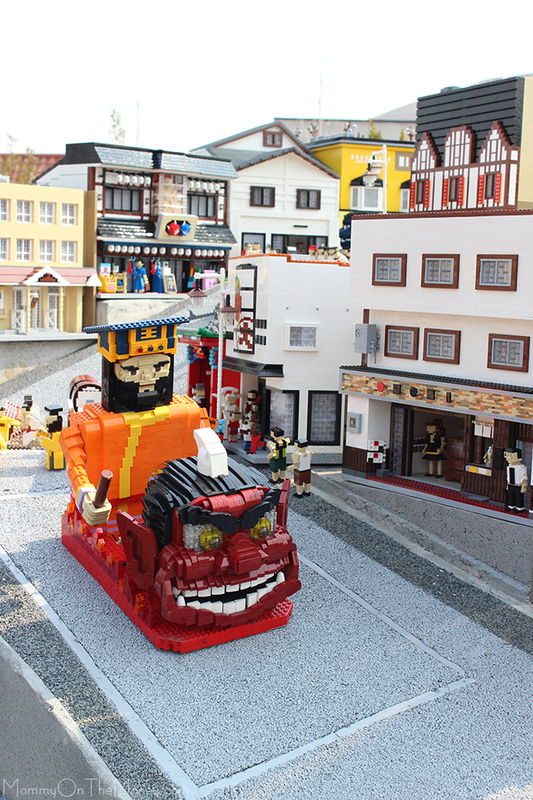 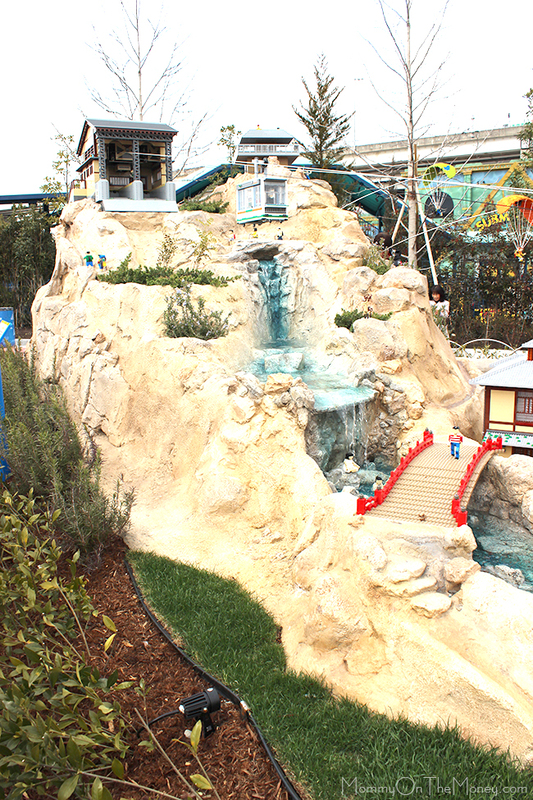 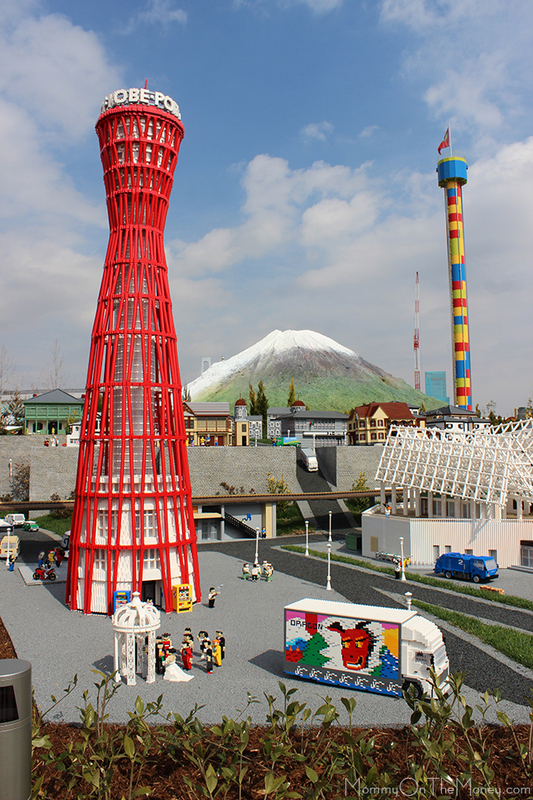 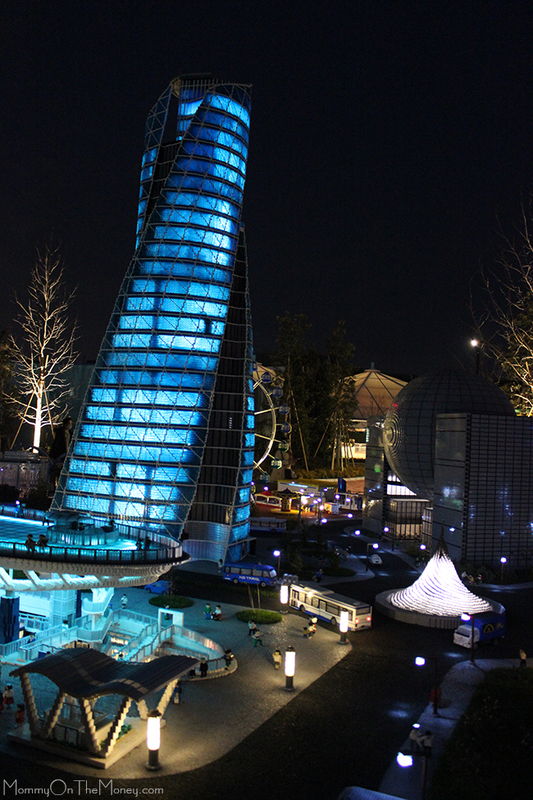 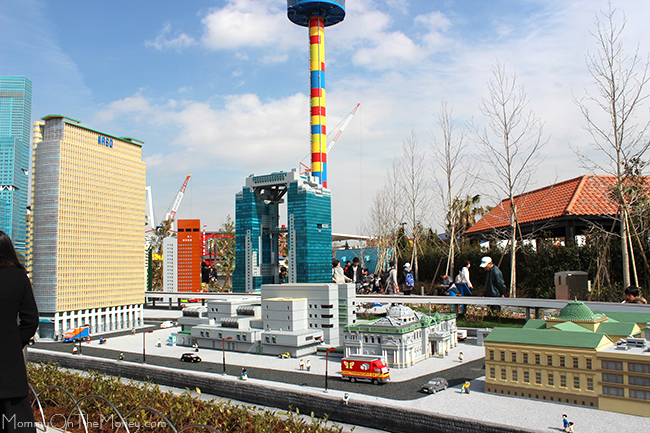 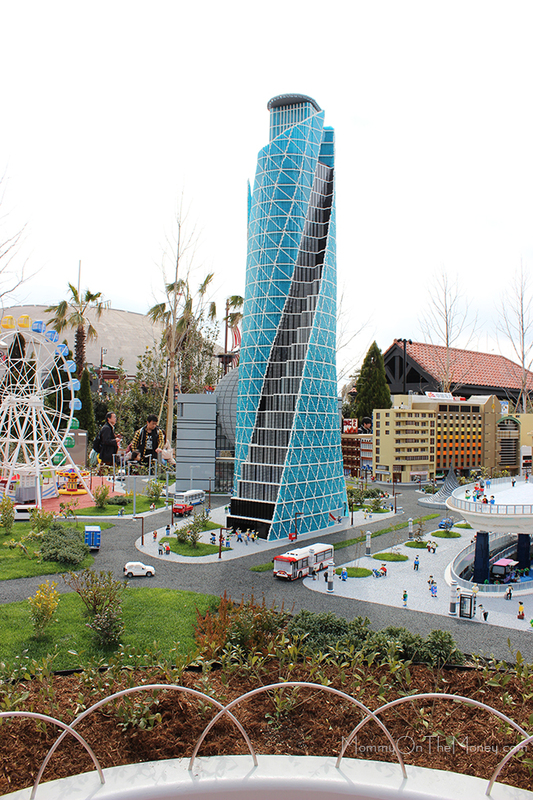 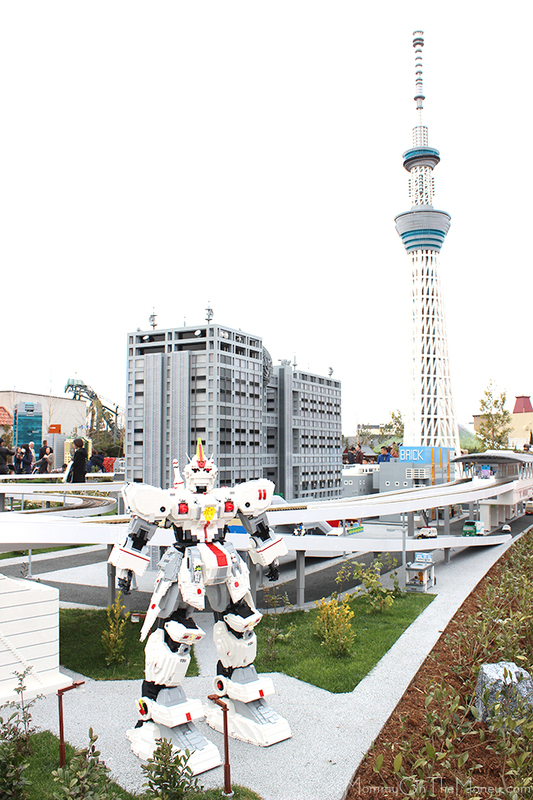 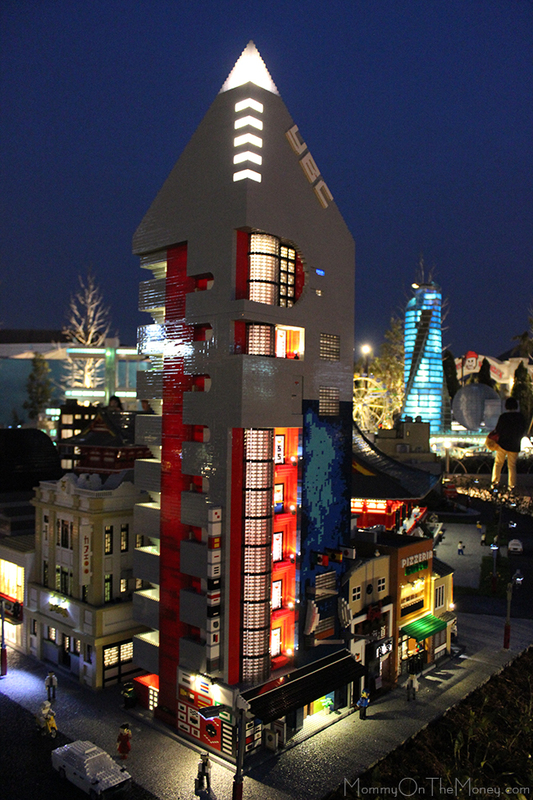 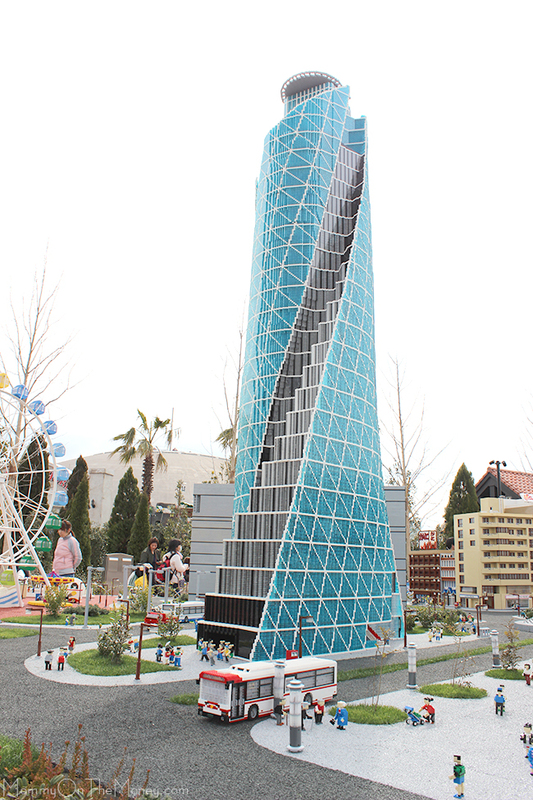 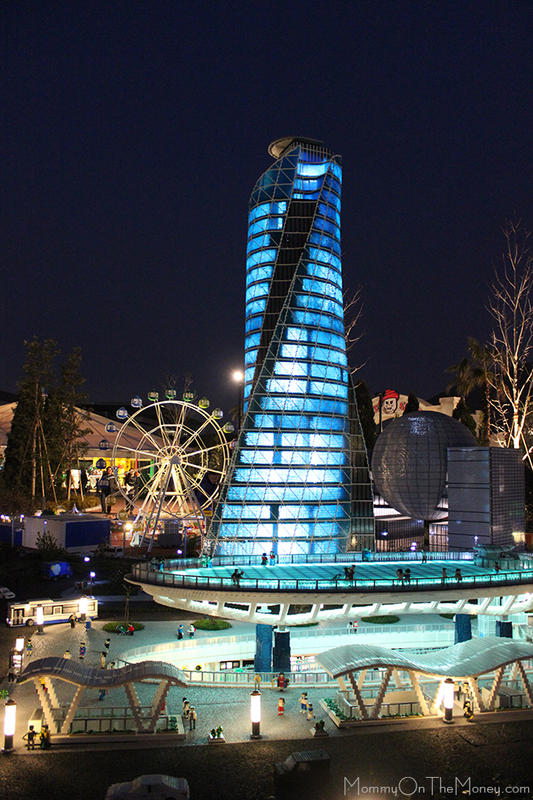 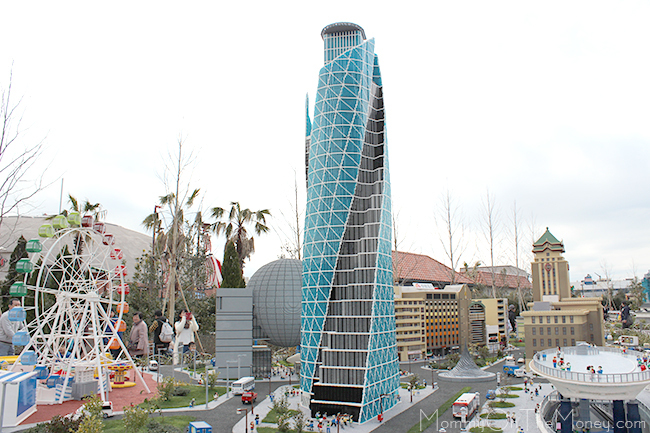 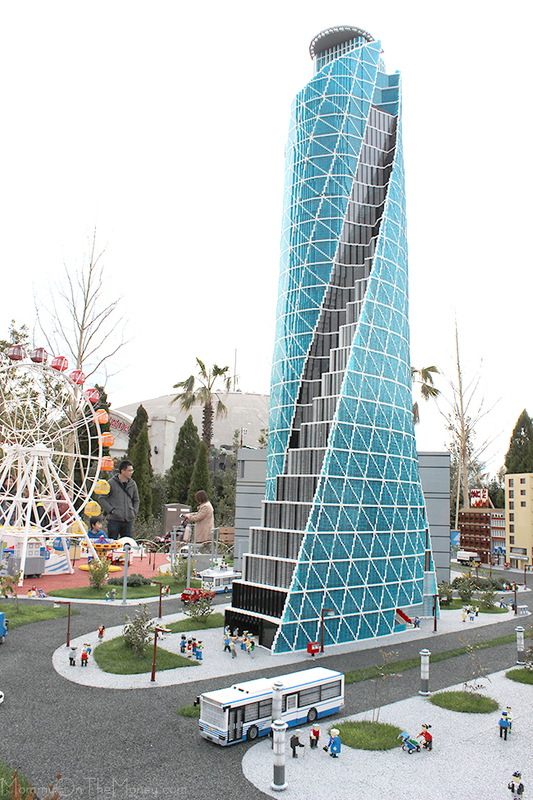 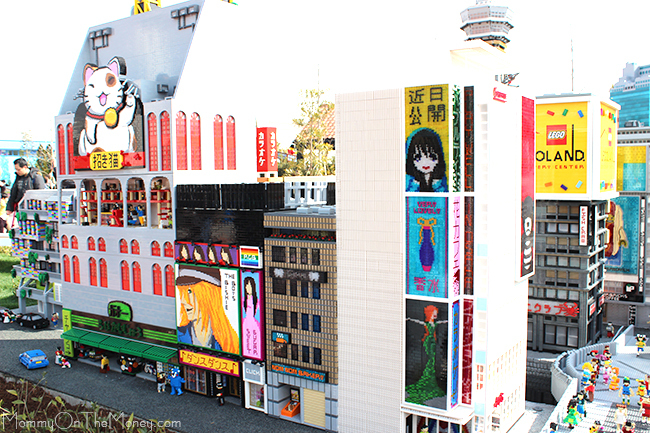 It is located in the center of the LEGOLAND Japan park. 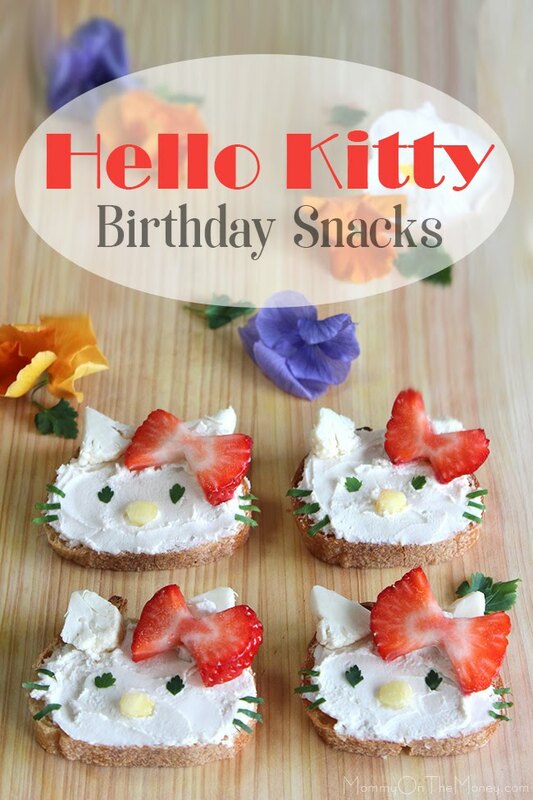 Here are all the cats. 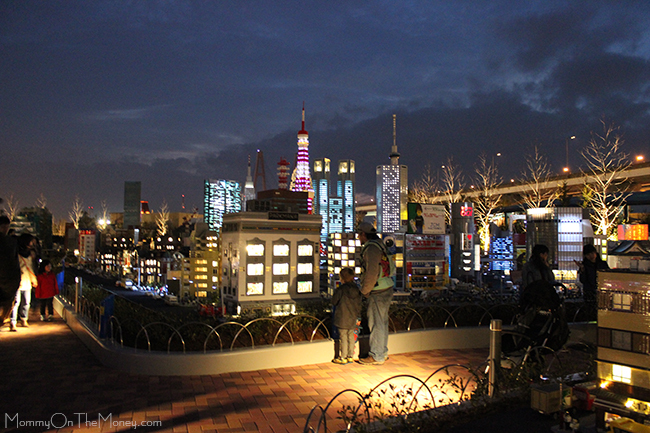 Everything was really amazing looking at night.